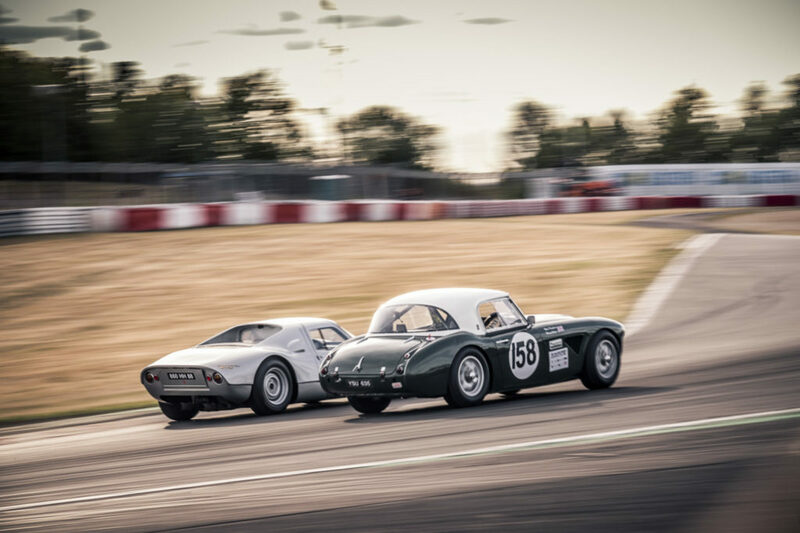 Legendary cars battling it out on a legendary track. 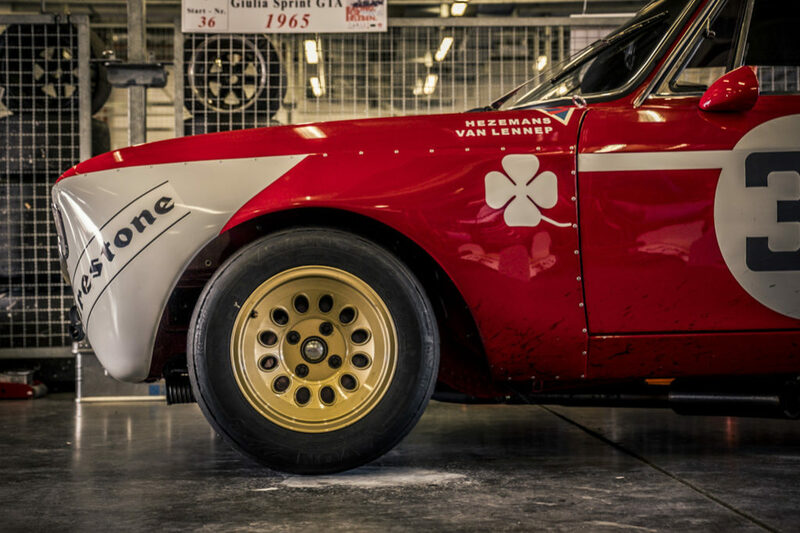 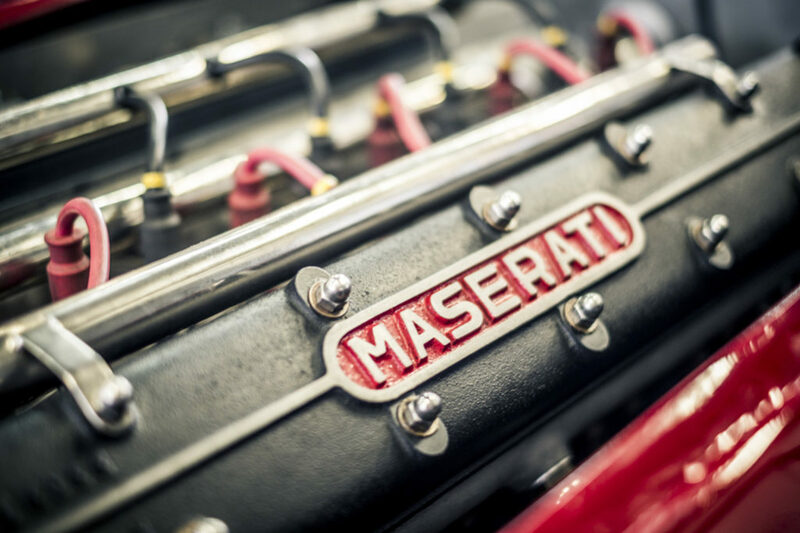 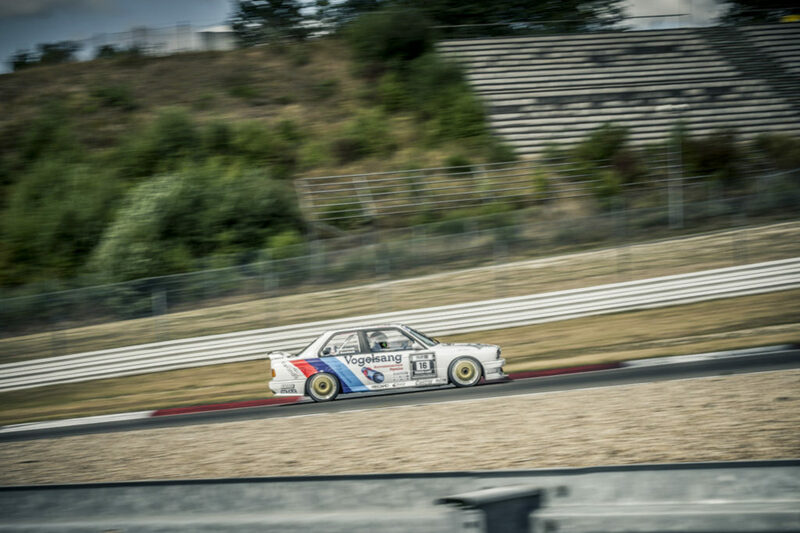 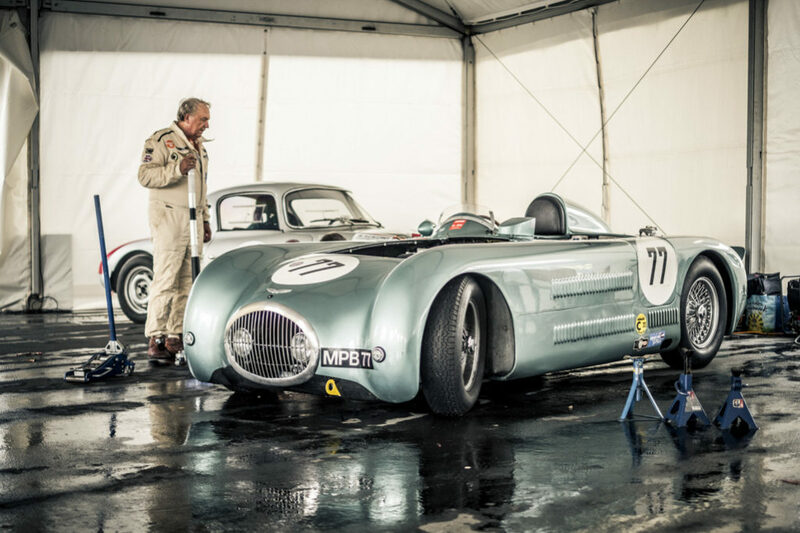 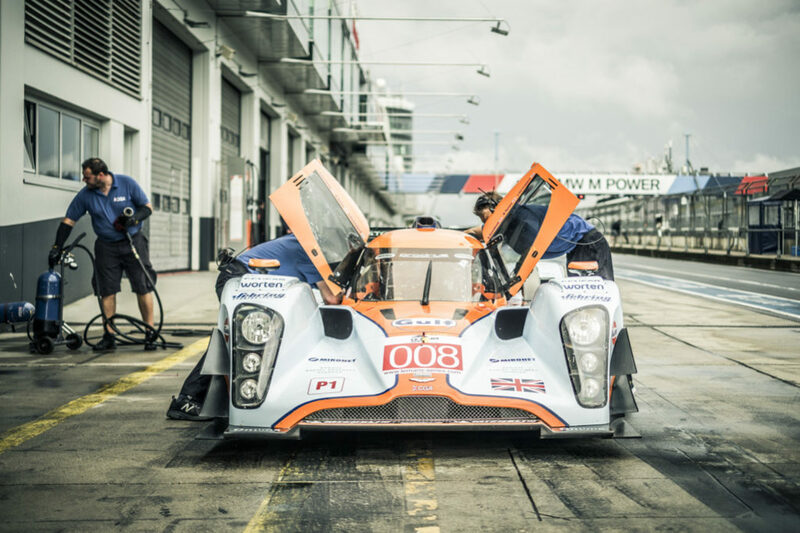 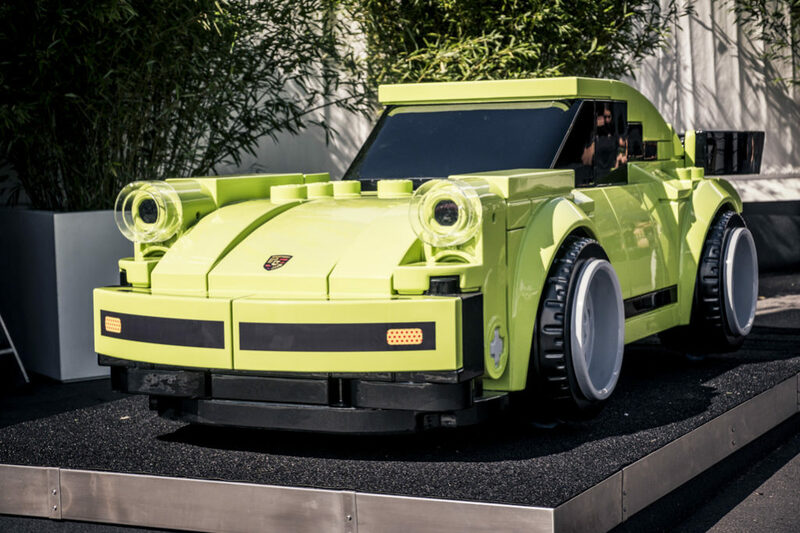 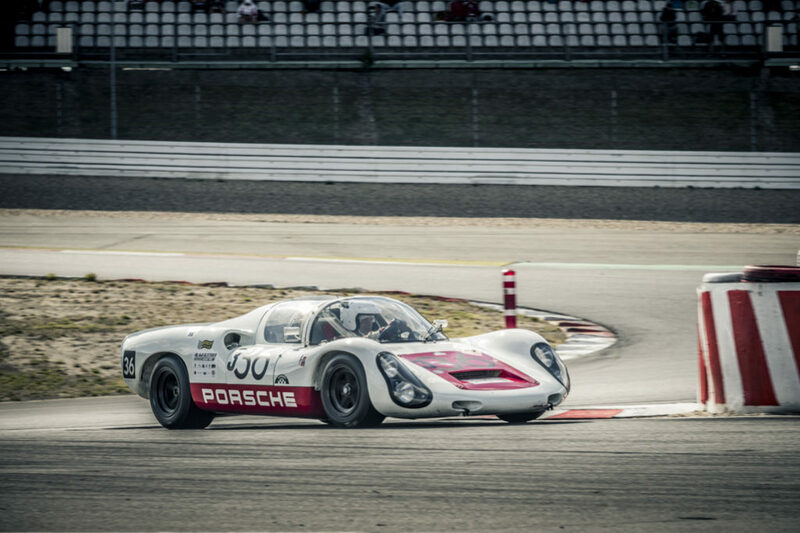 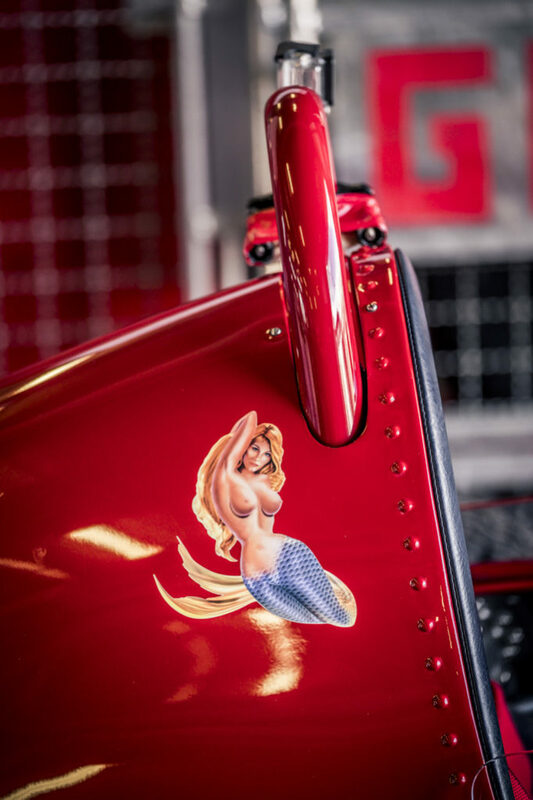 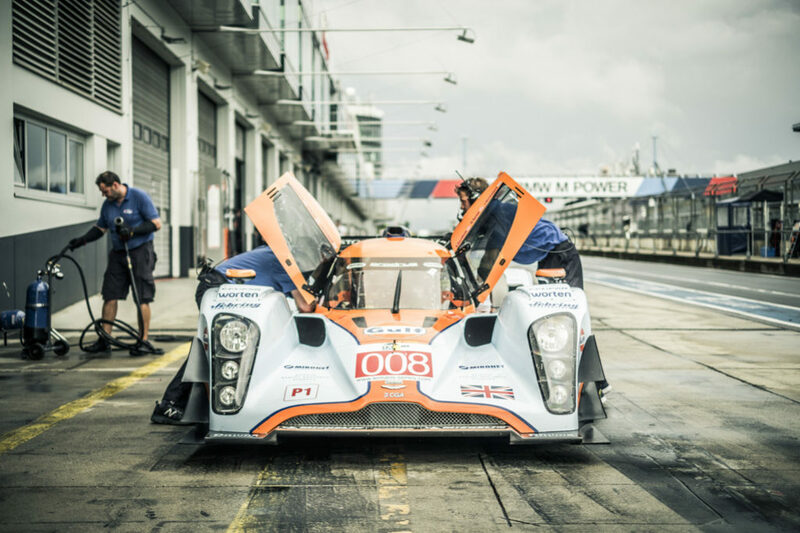 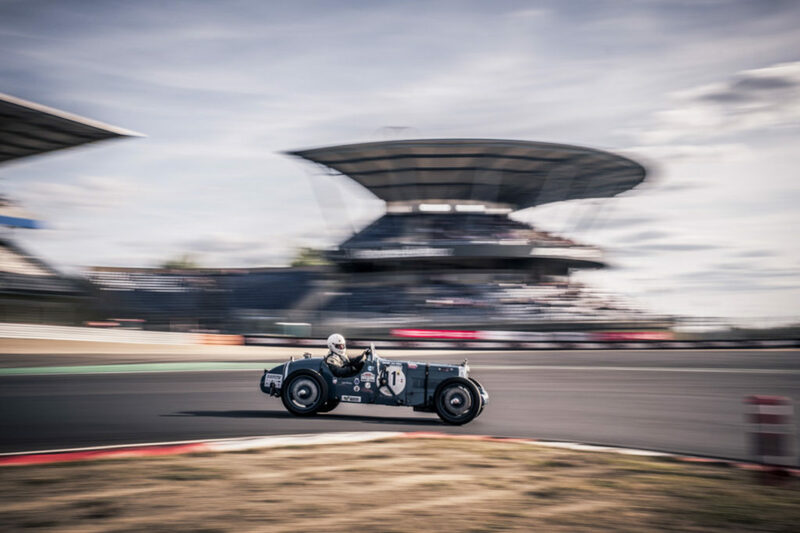 This year’s AvD Oldtimer Grand Prix was quite the show. 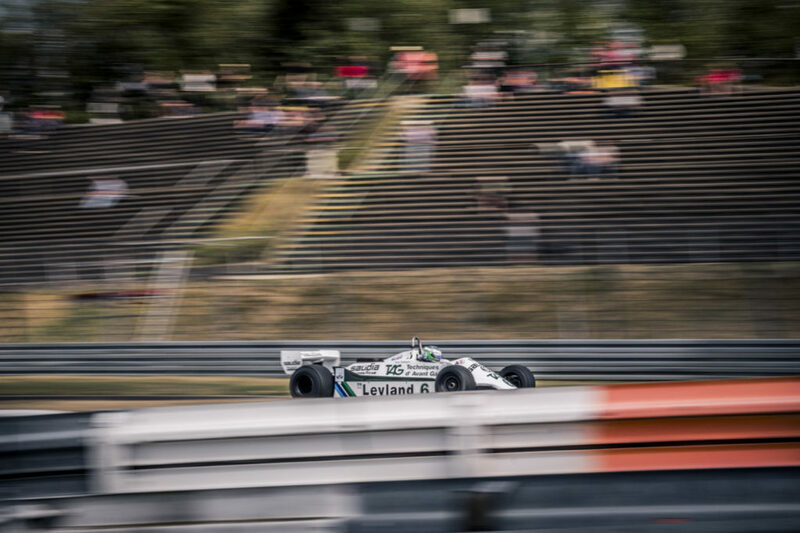 The entire crowd reaches for their ears as classic Formule One cars come up on the main straight. 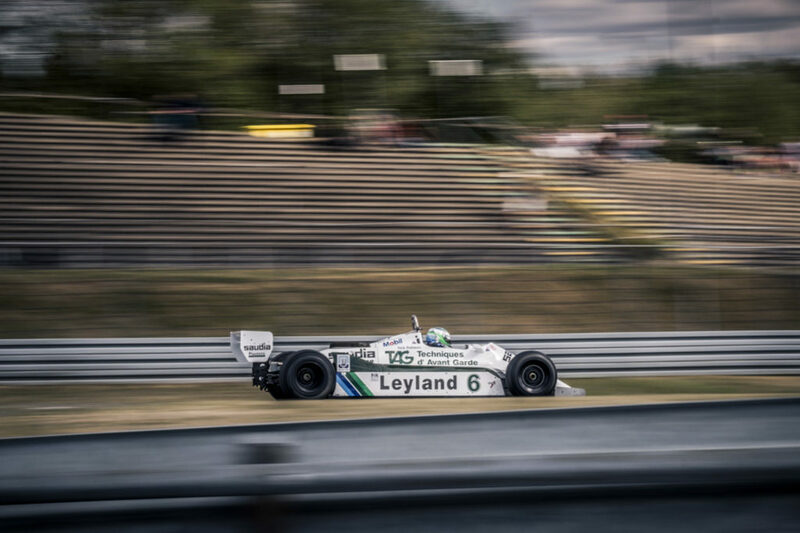 Two Williams FW07s come screaming by, chasing a Tyrrell 012. 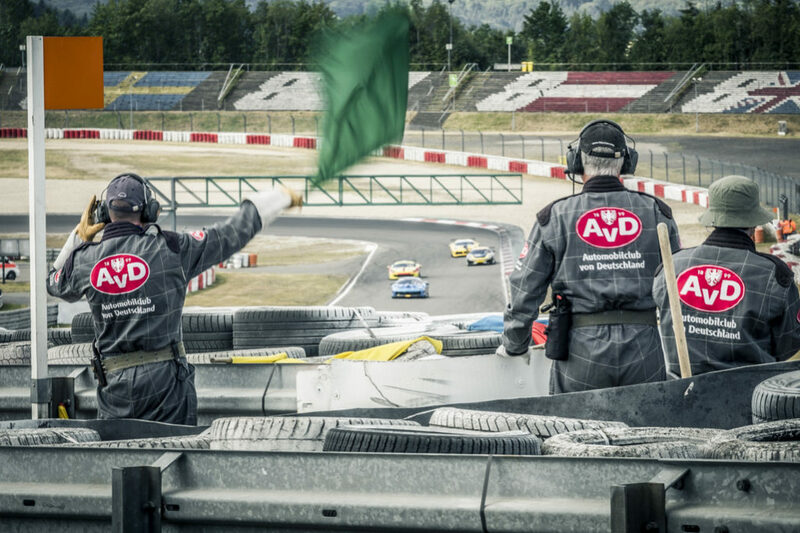 It’s the last lap of the race and the first four cars are close together. 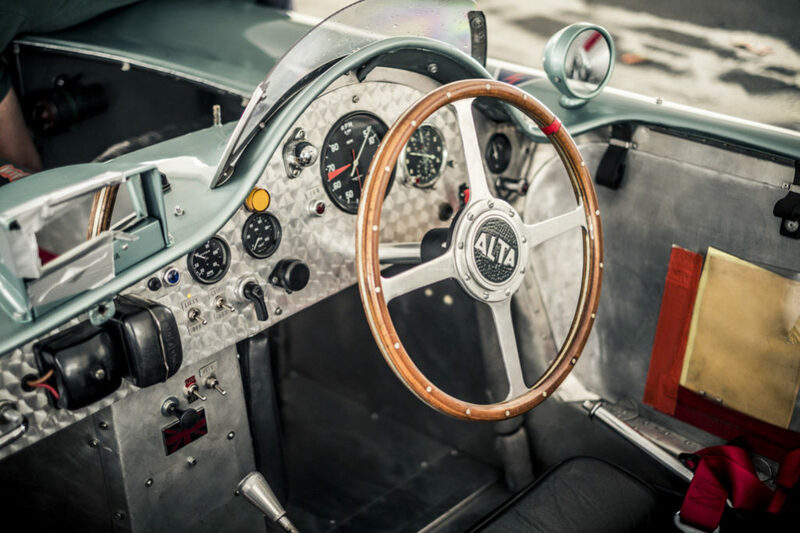 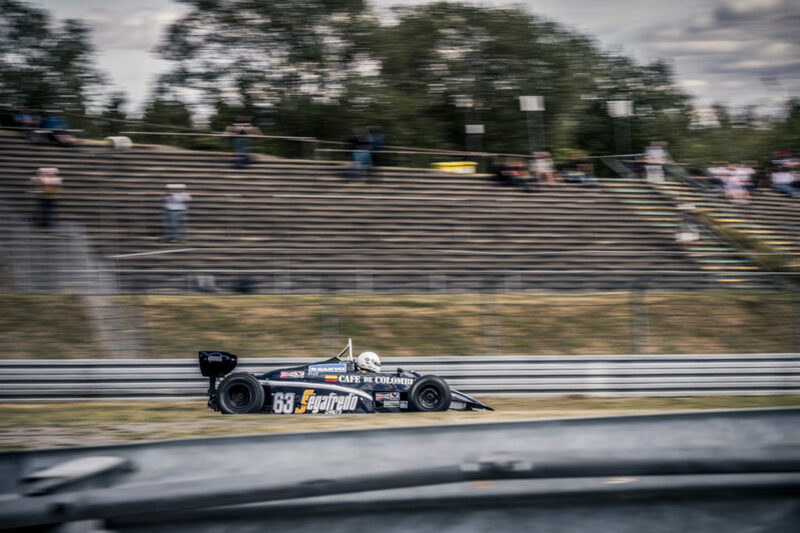 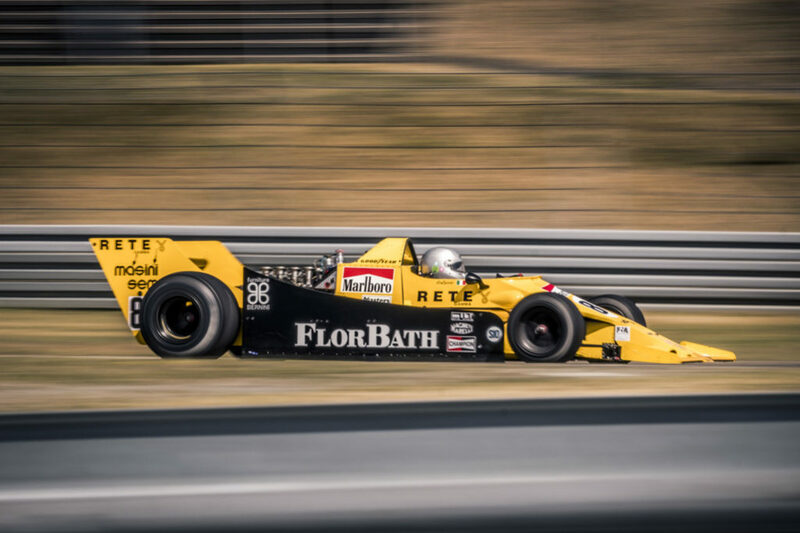 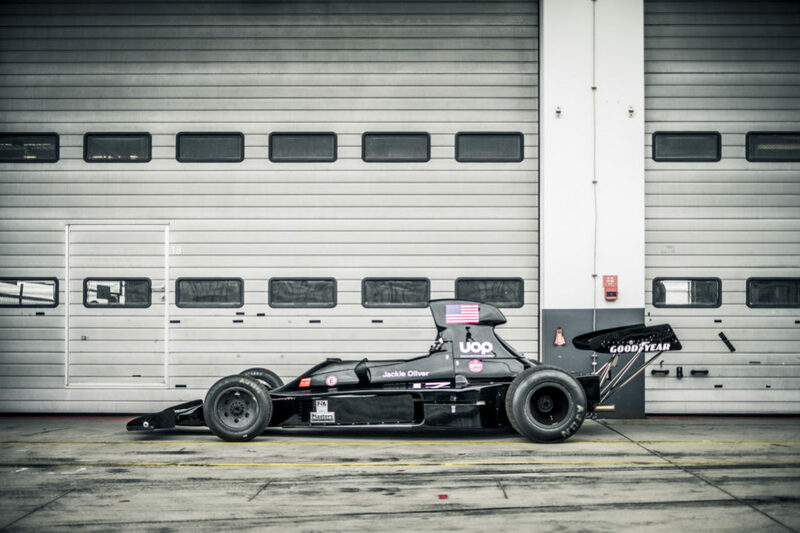 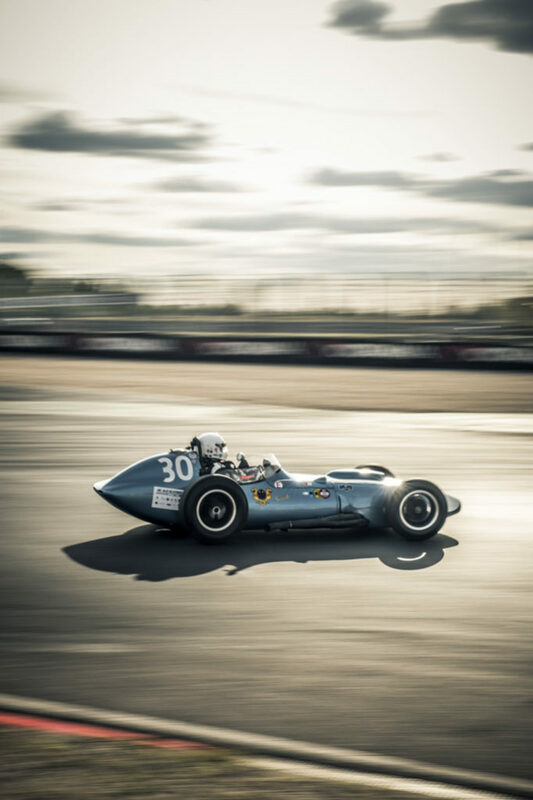 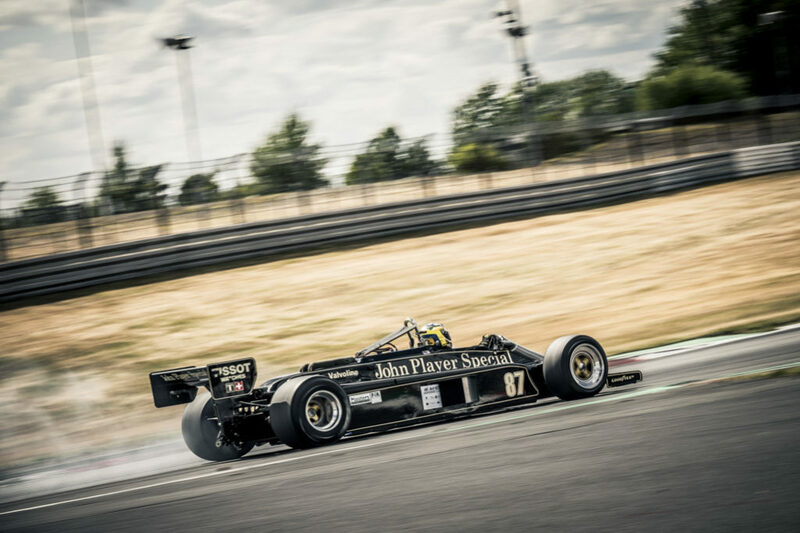 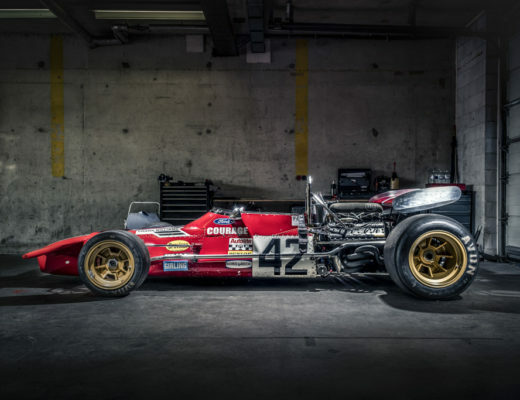 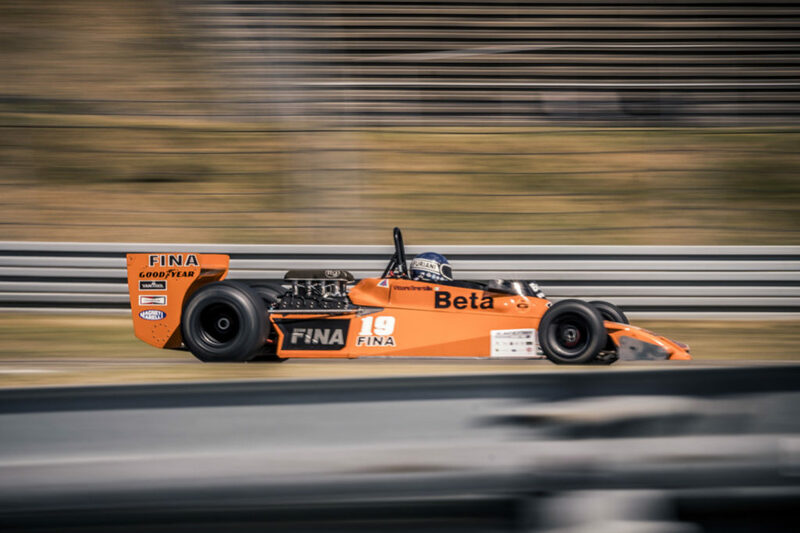 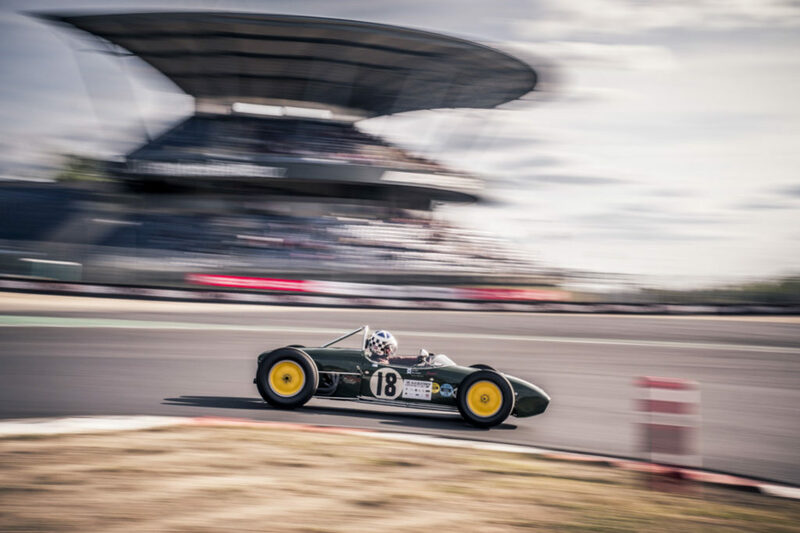 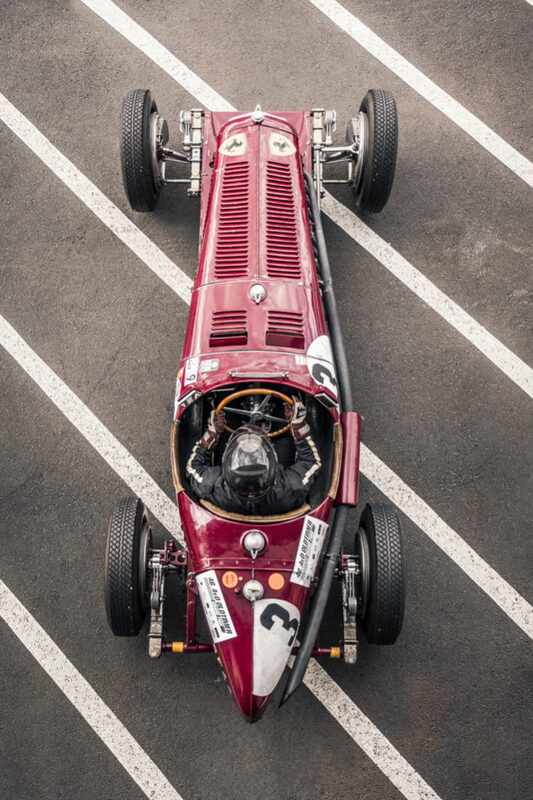 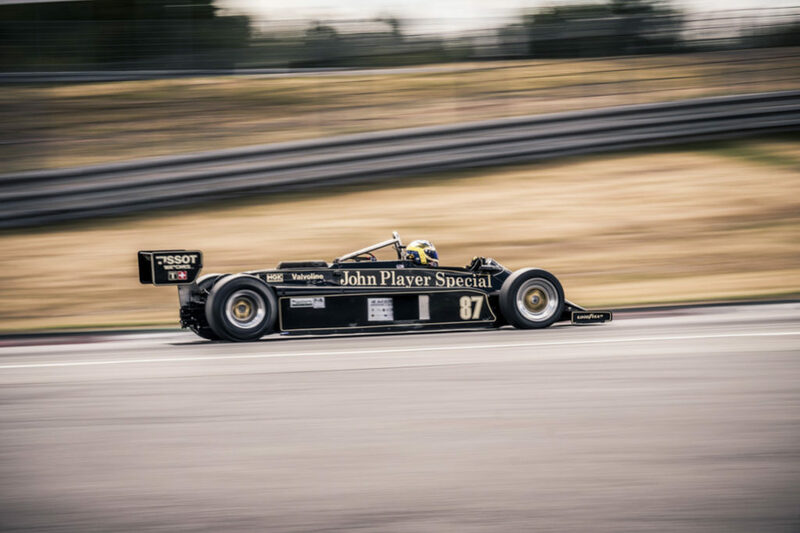 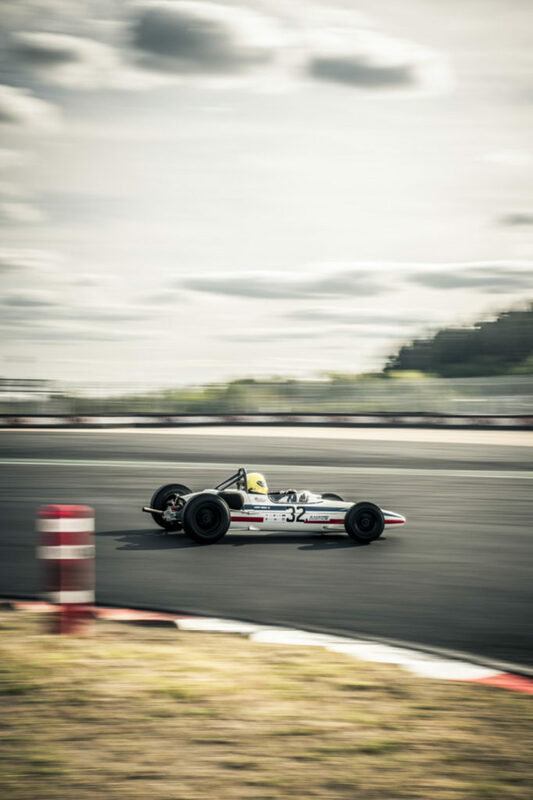 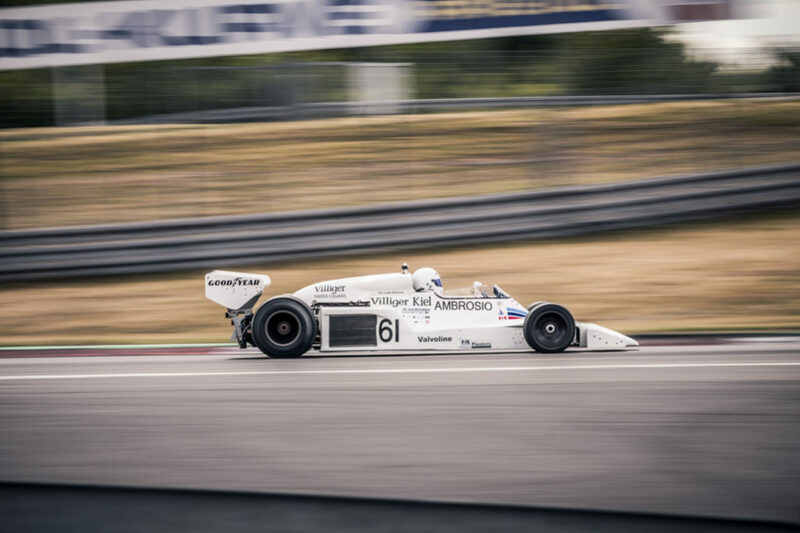 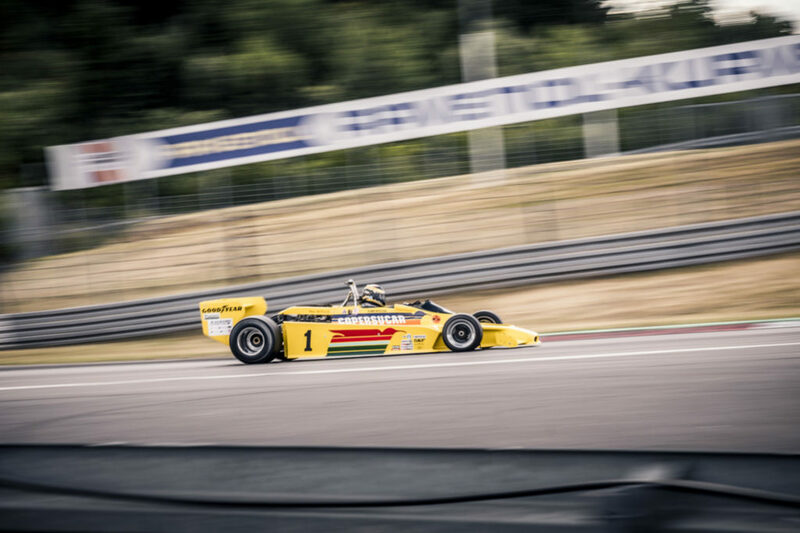 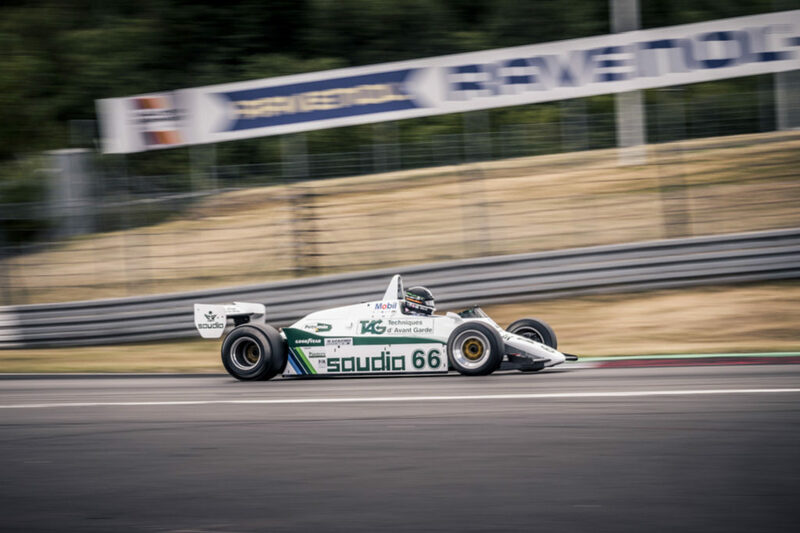 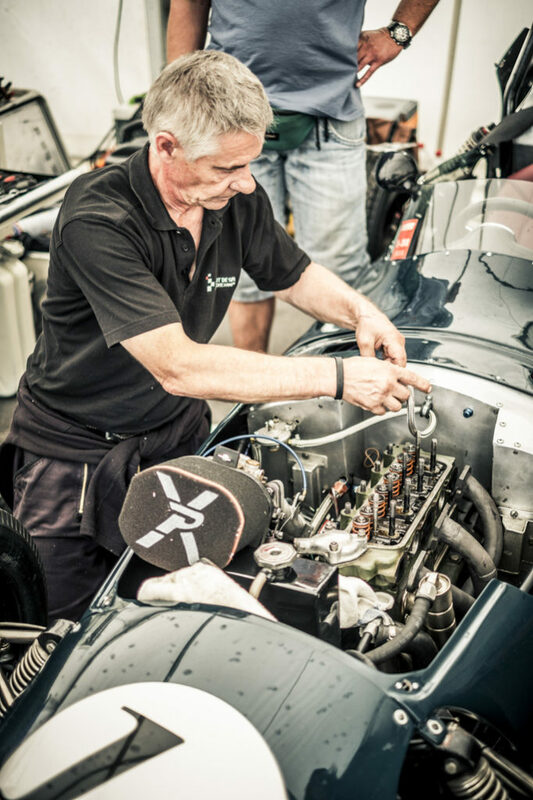 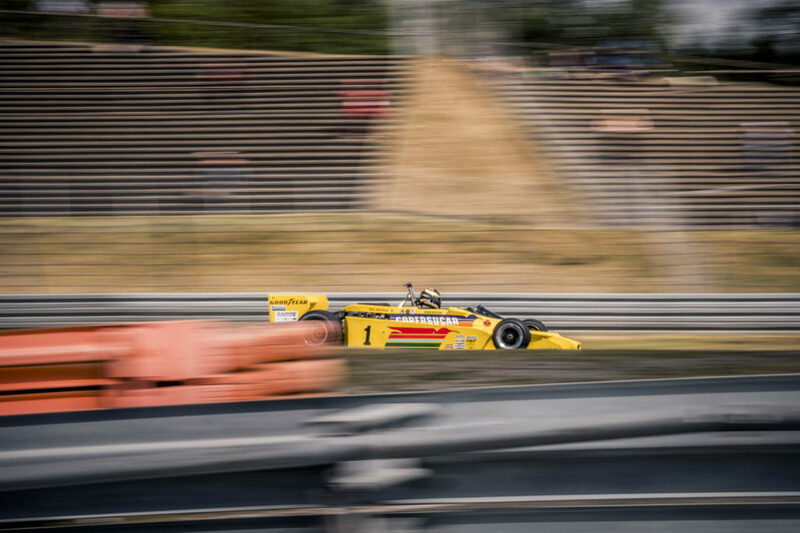 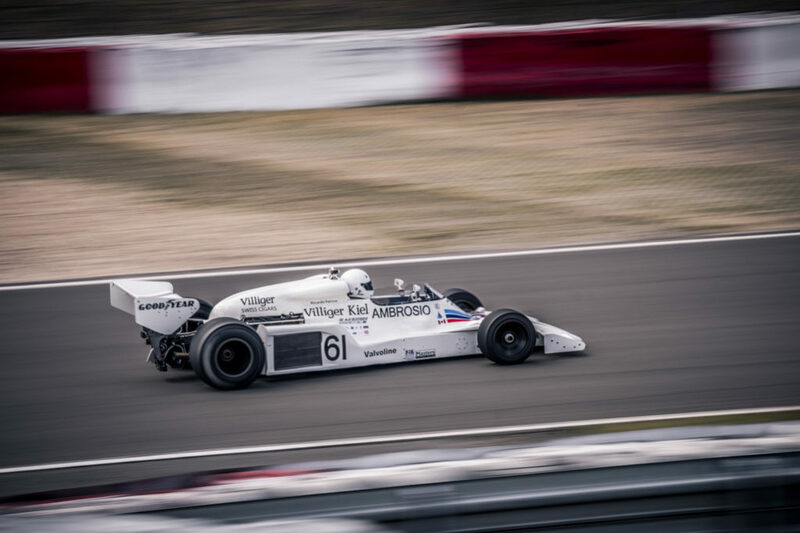 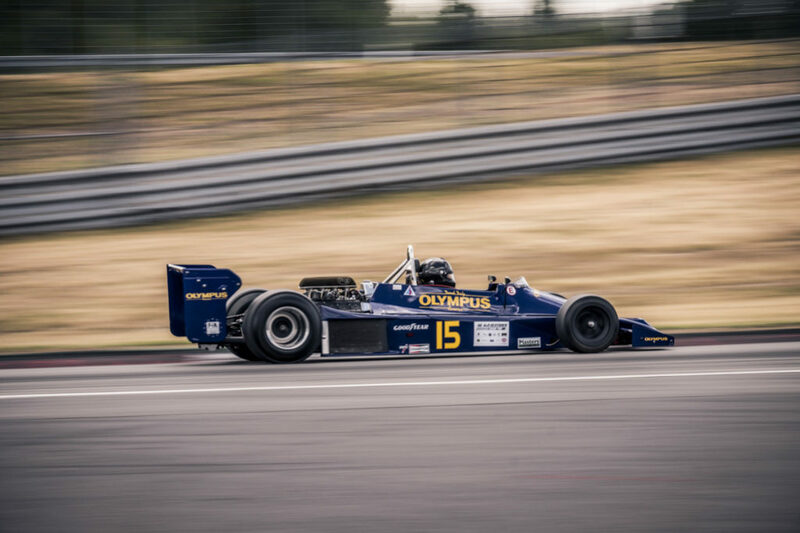 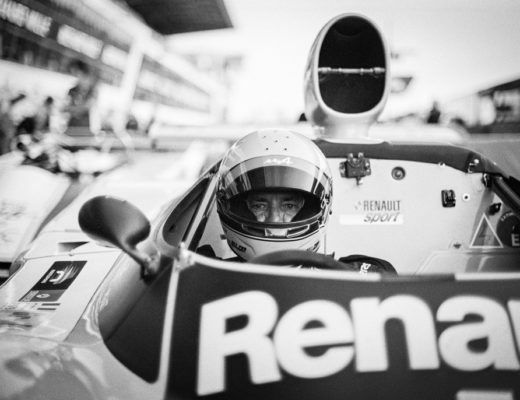 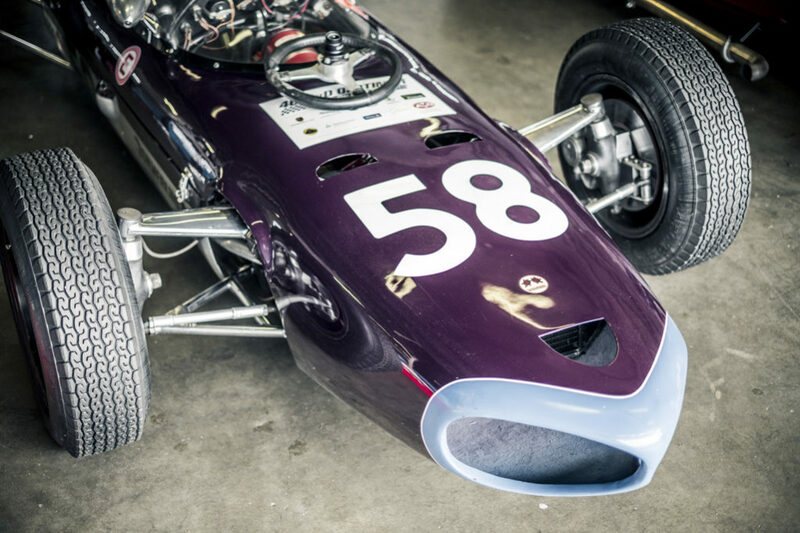 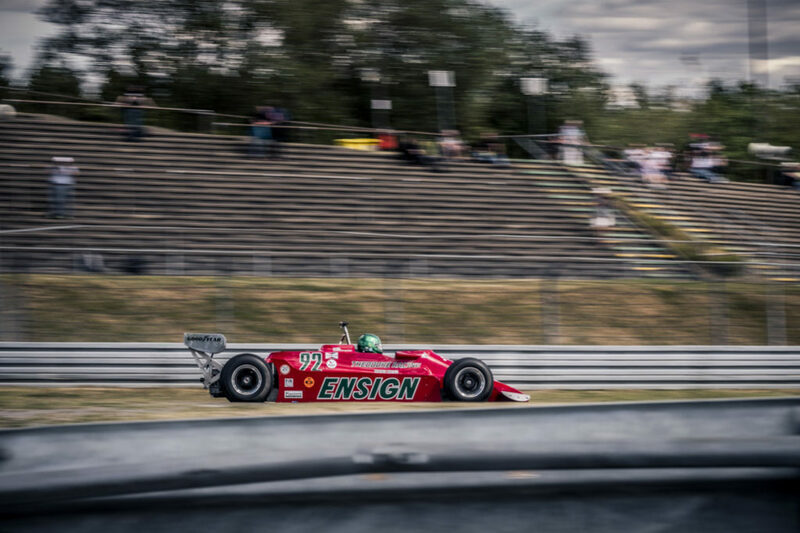 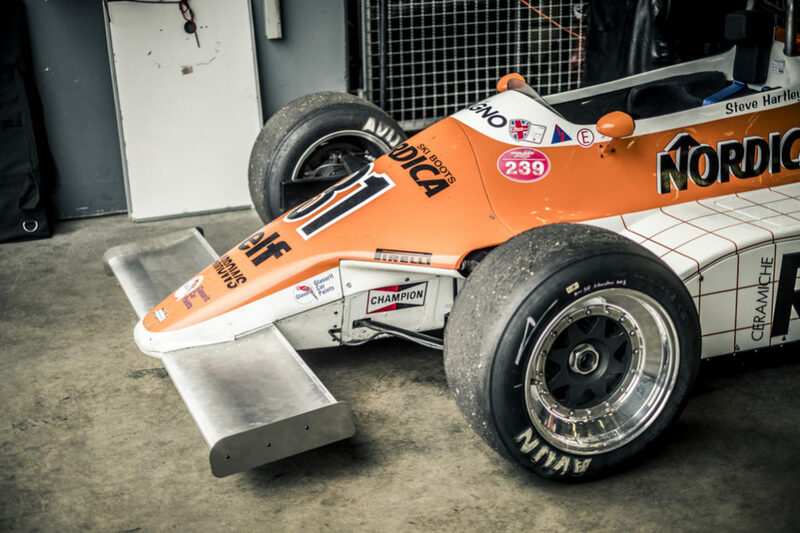 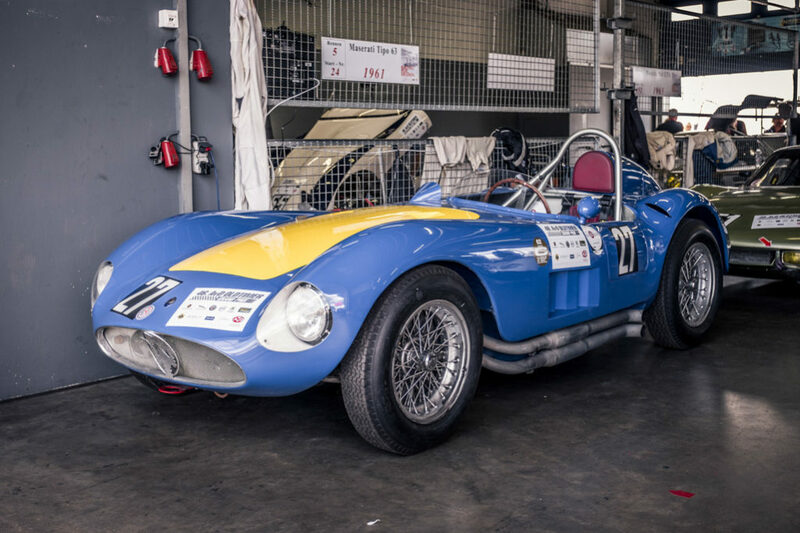 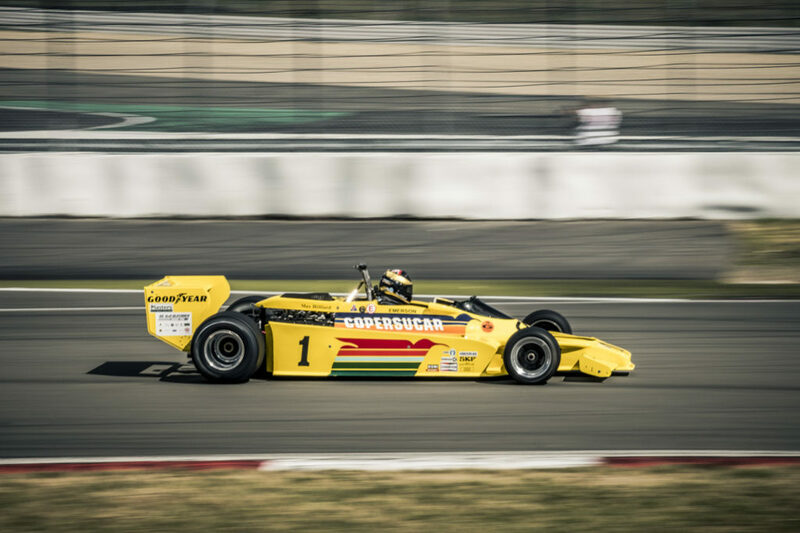 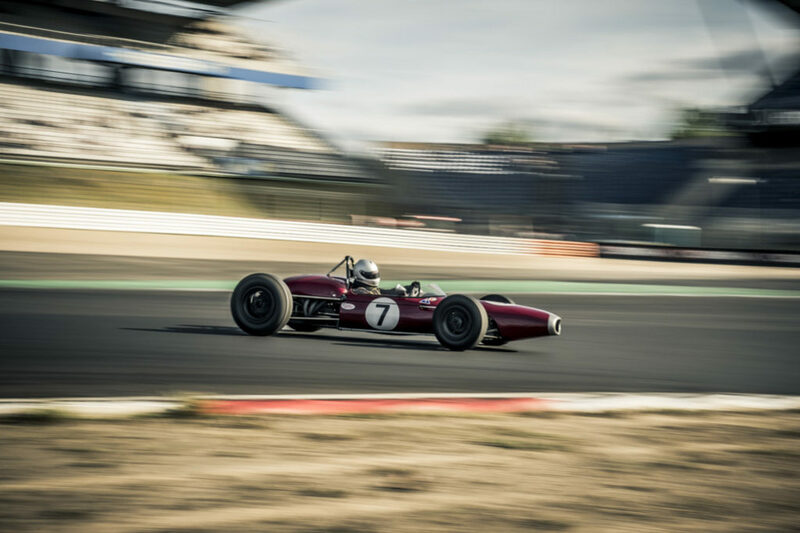 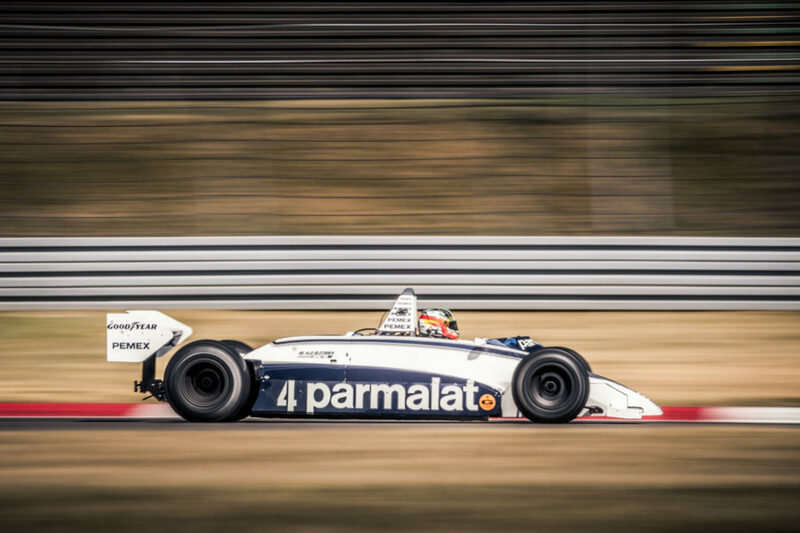 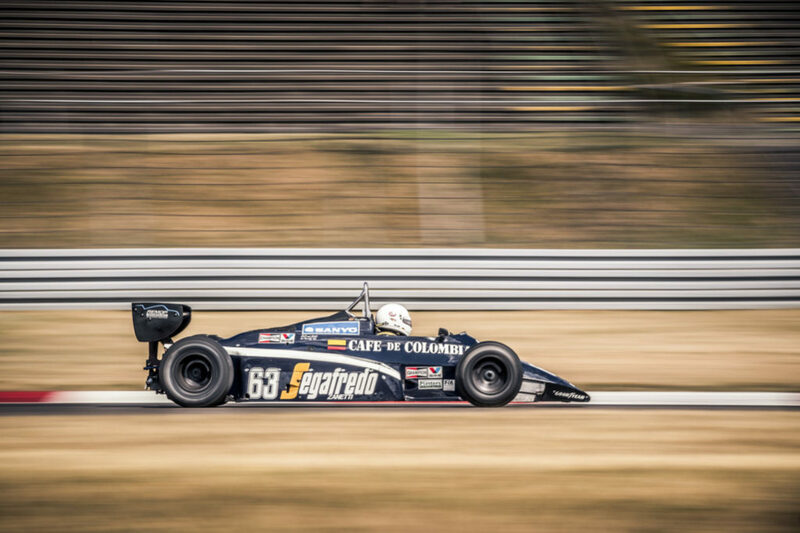 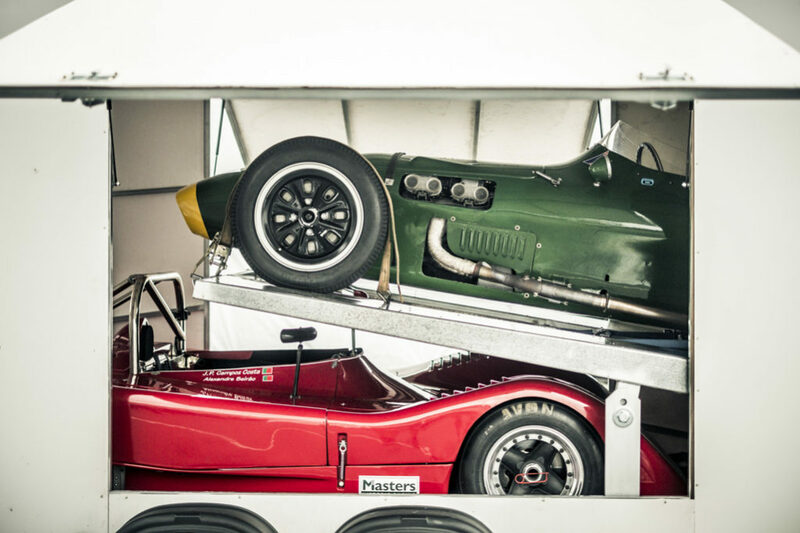 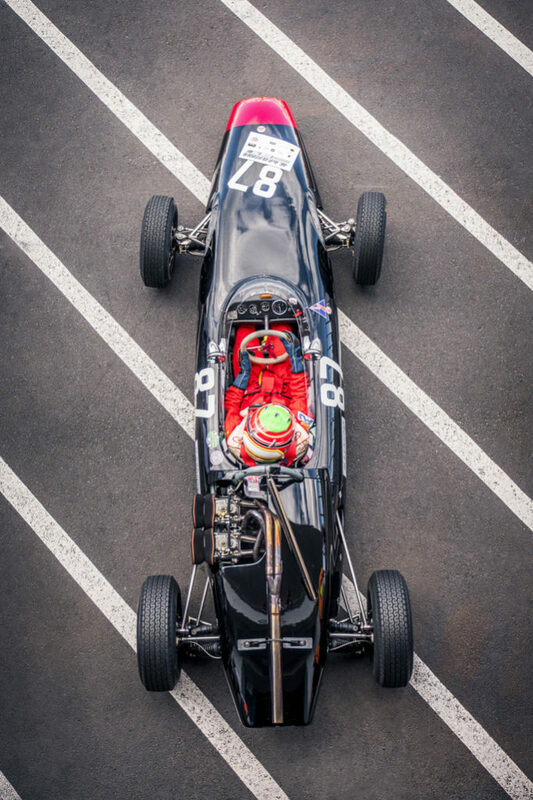 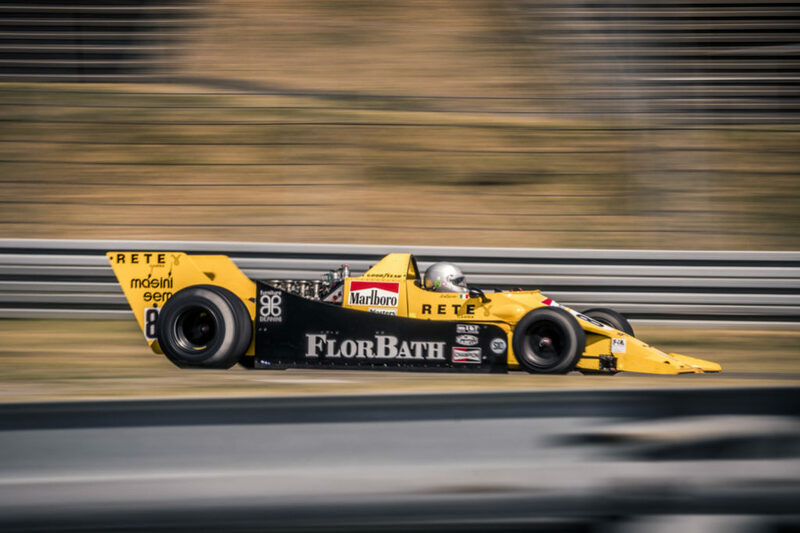 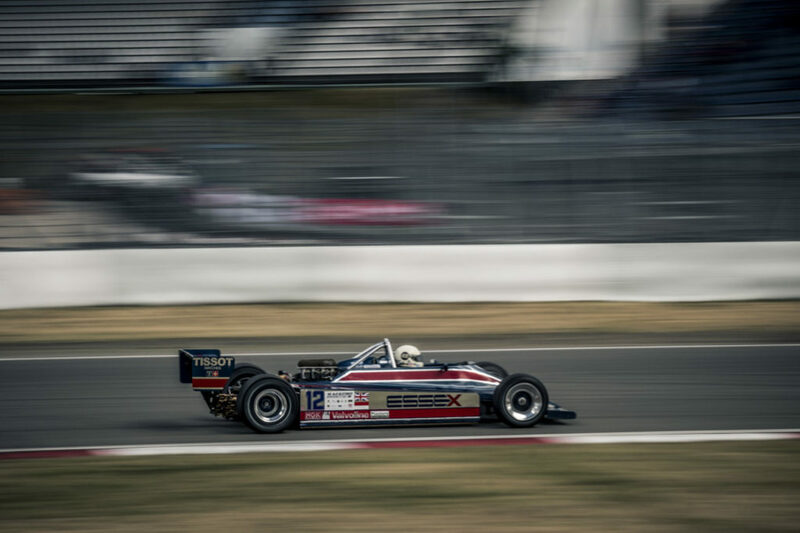 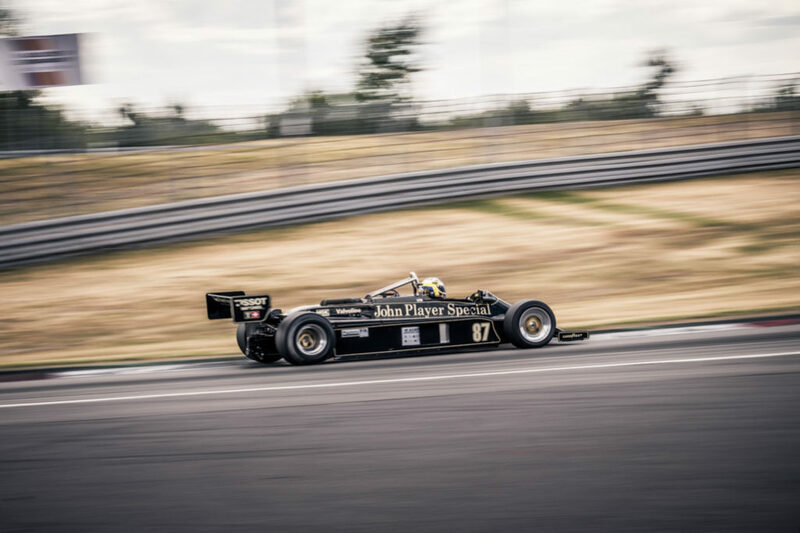 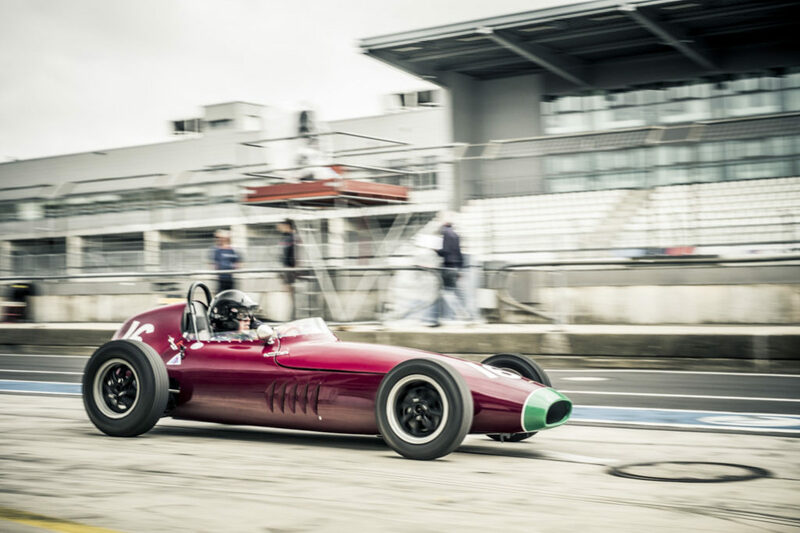 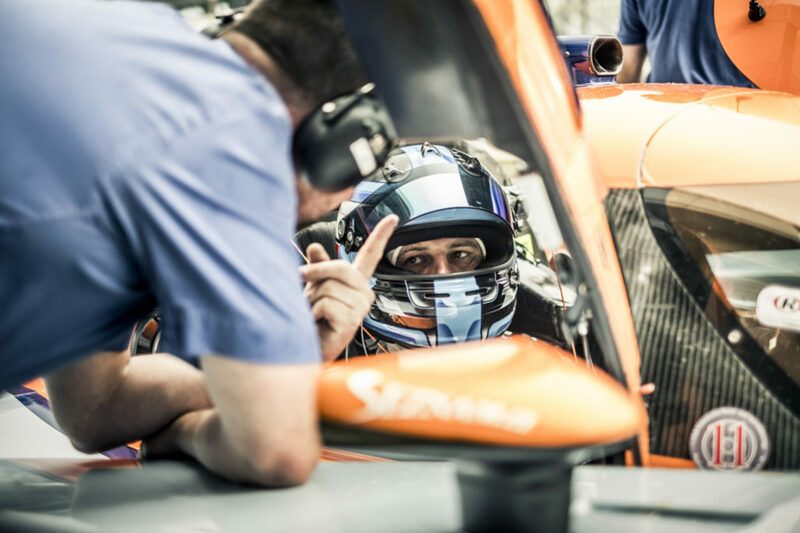 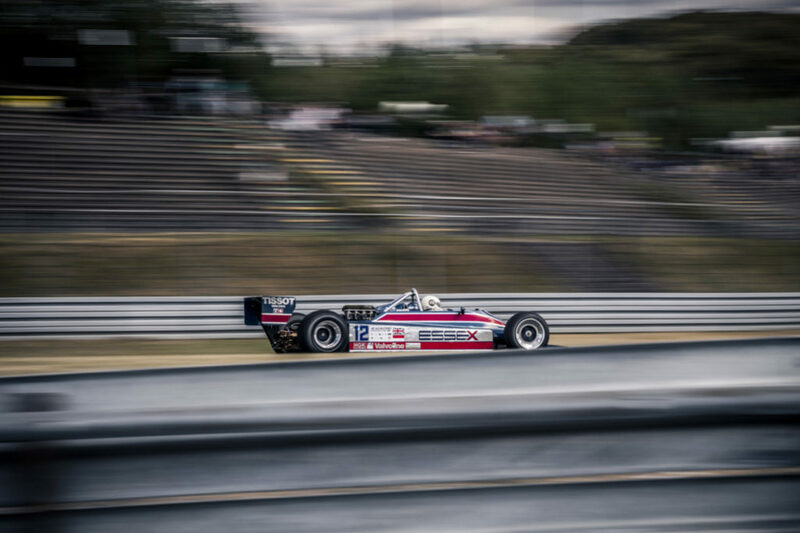 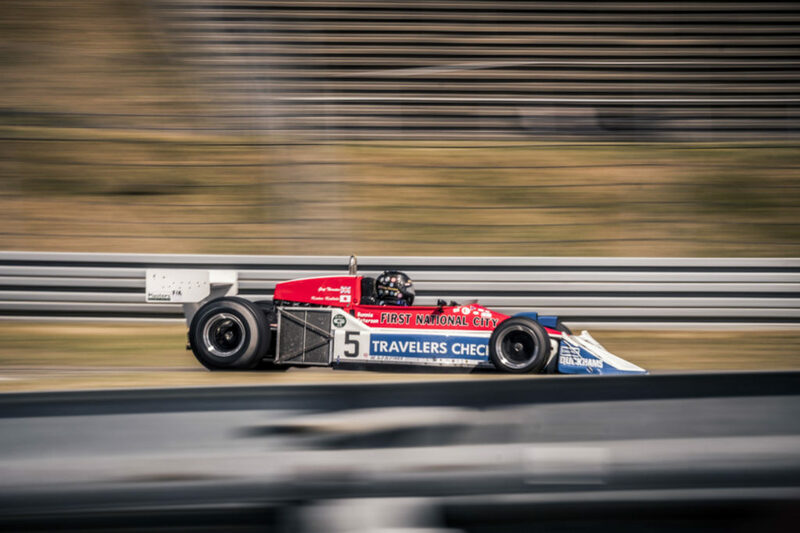 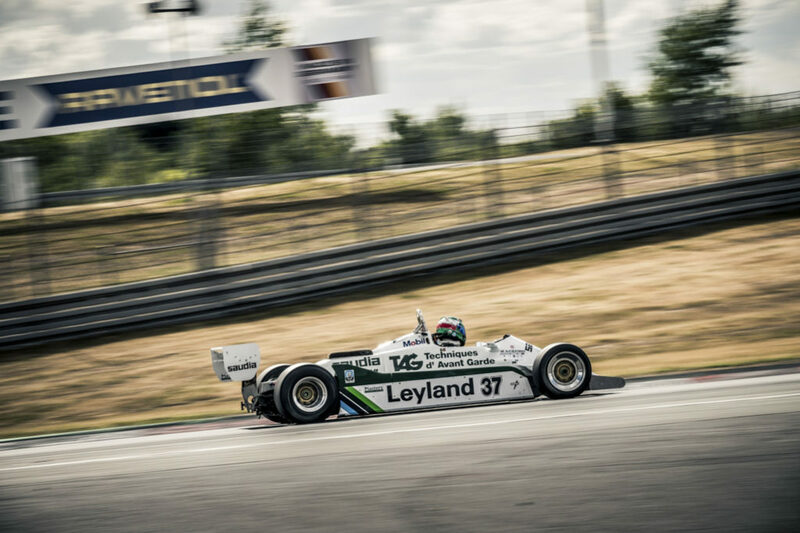 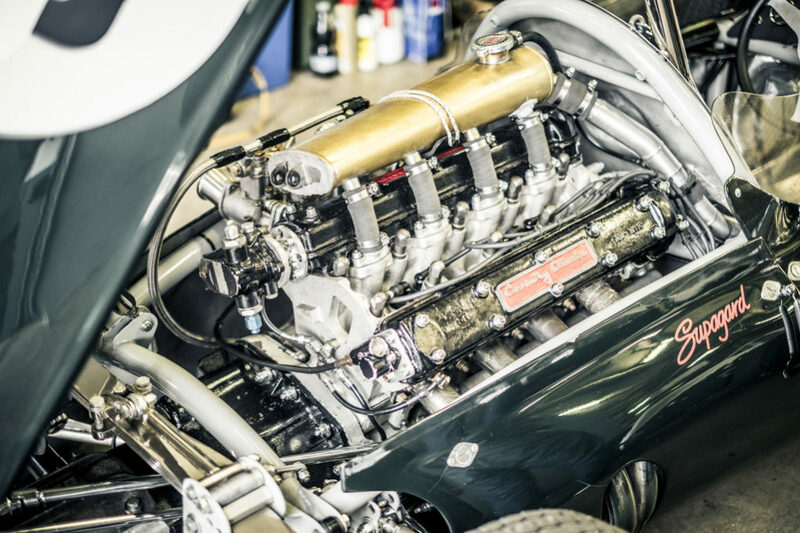 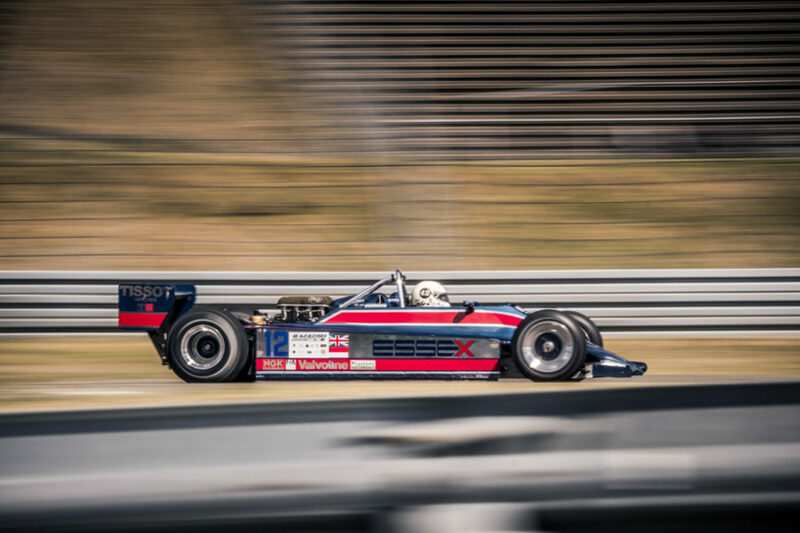 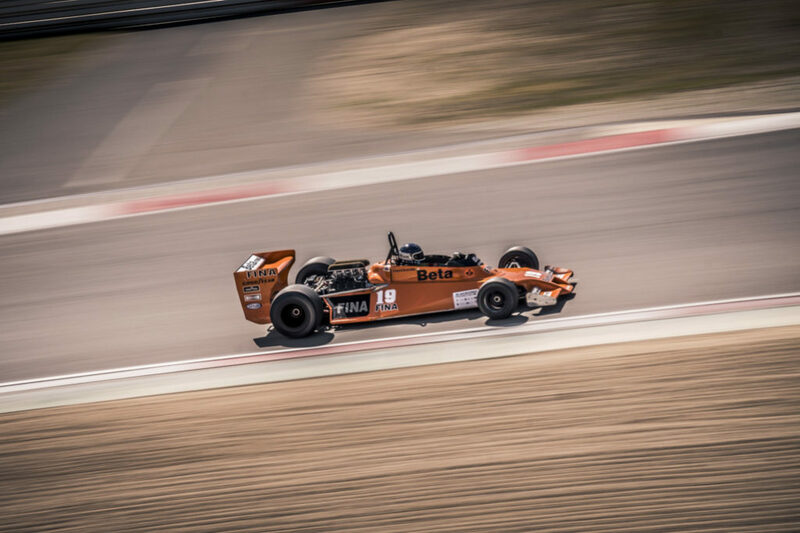 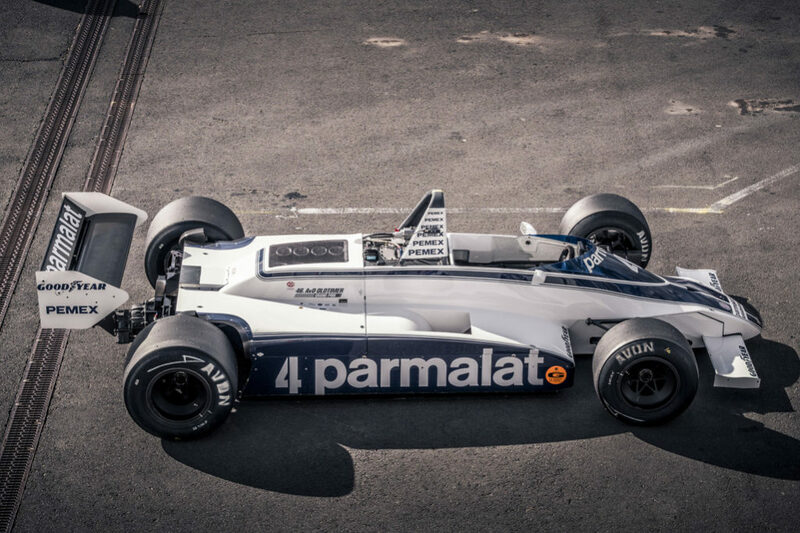 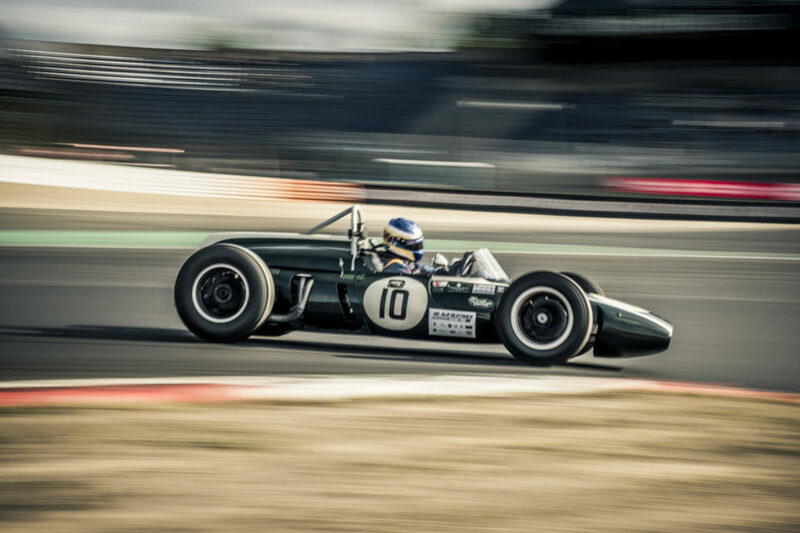 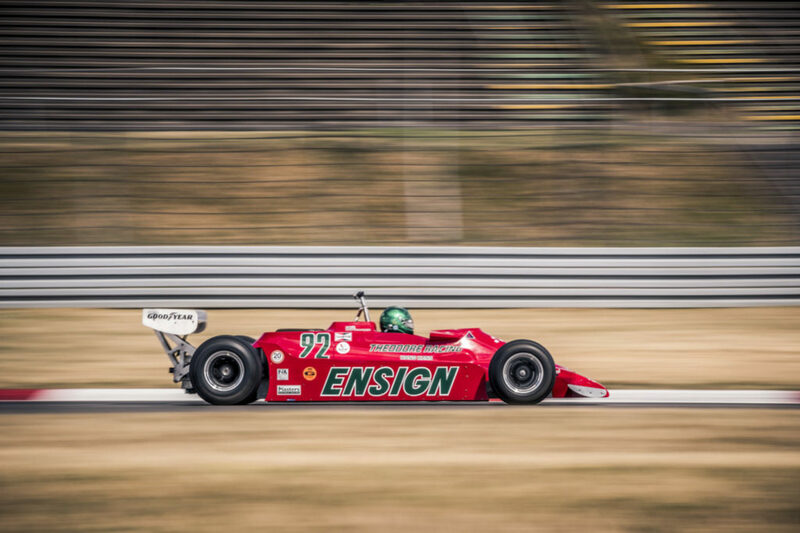 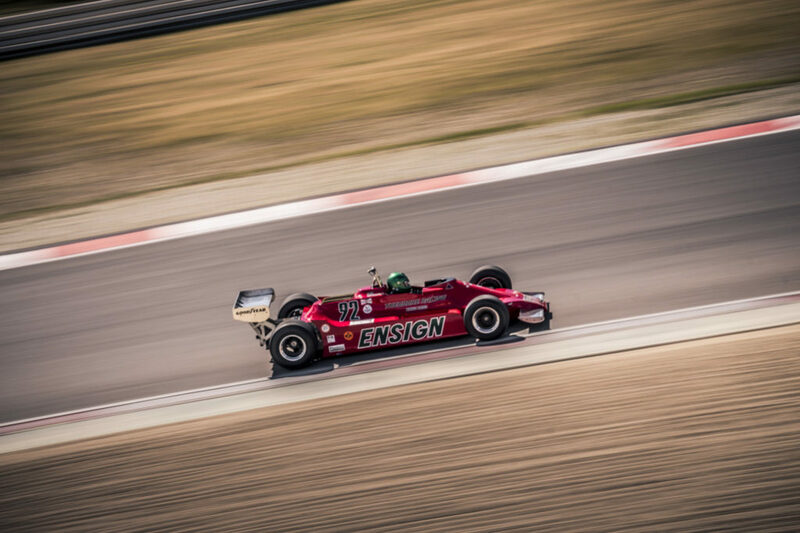 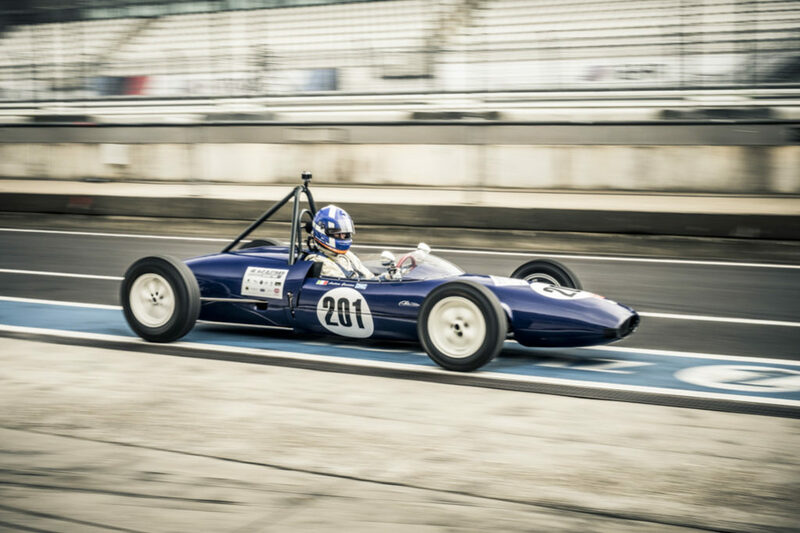 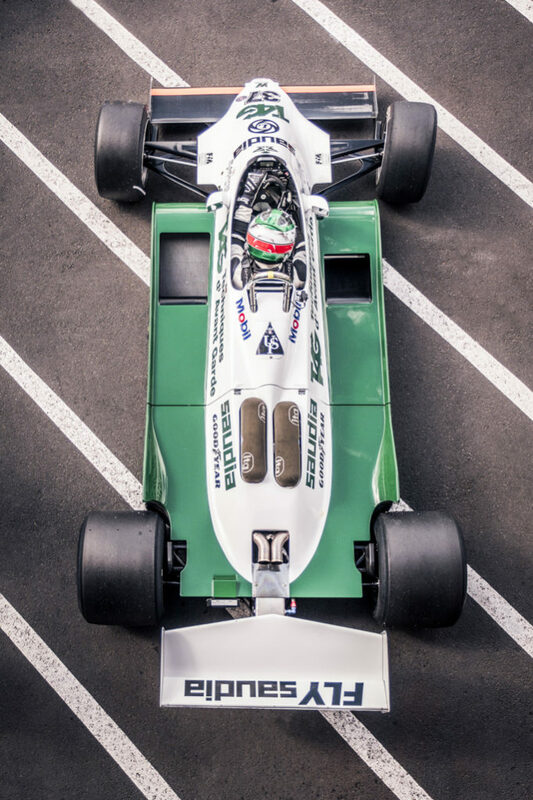 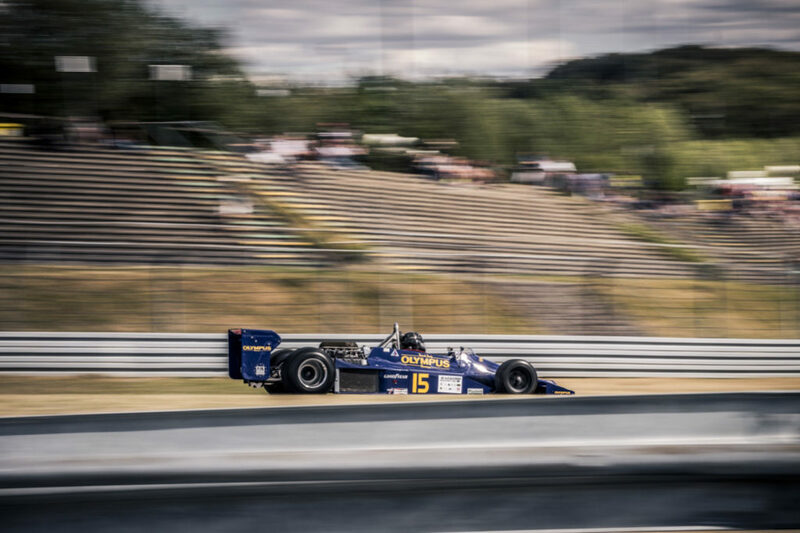 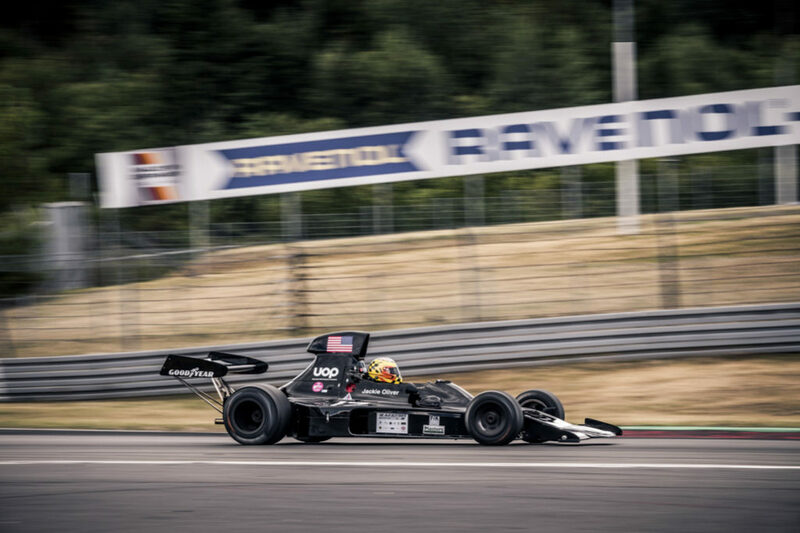 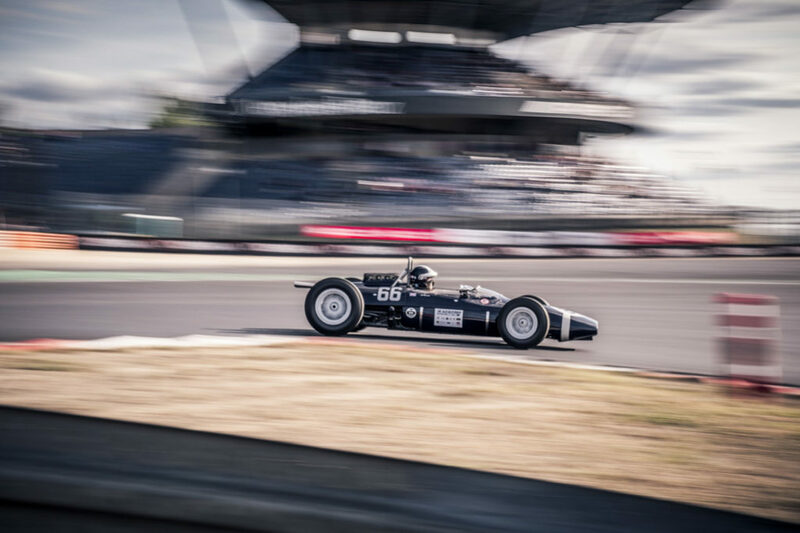 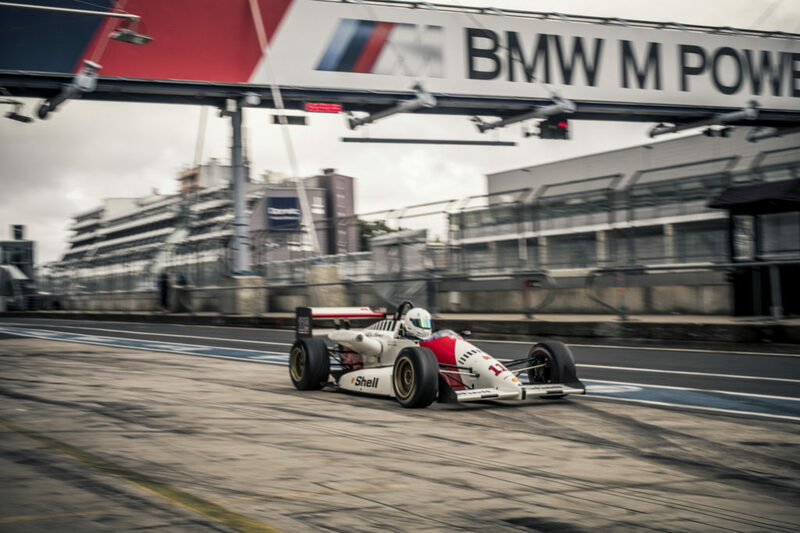 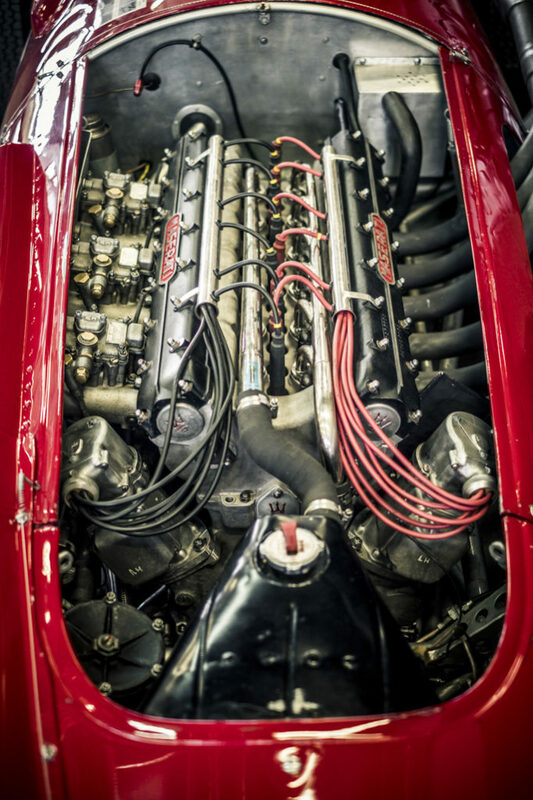 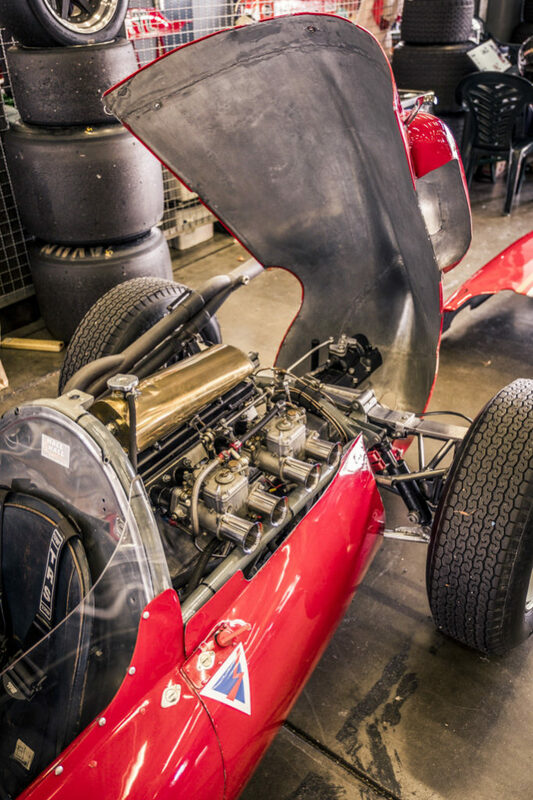 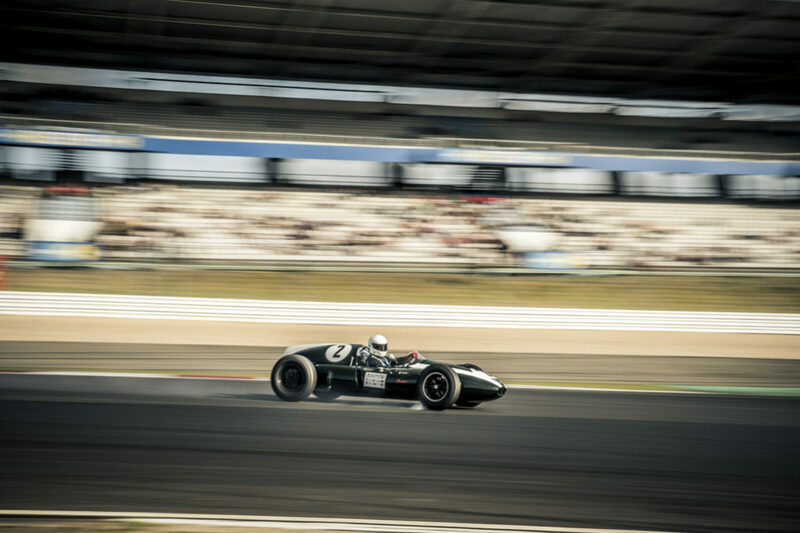 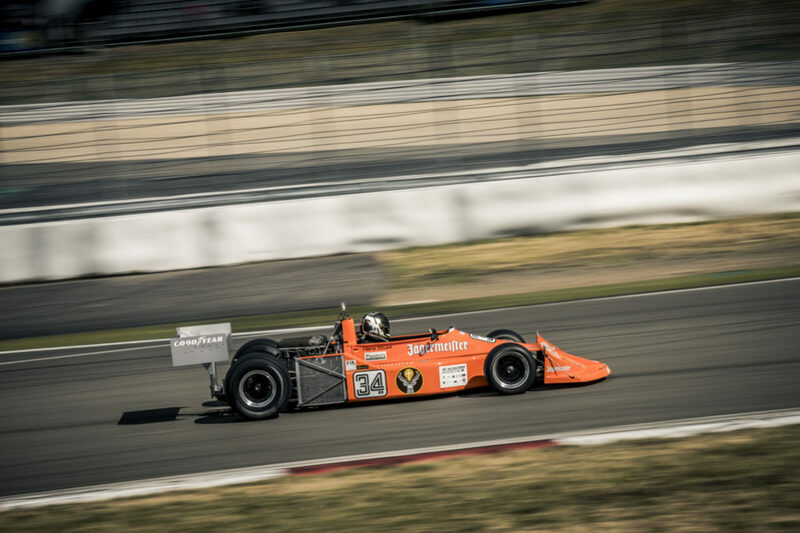 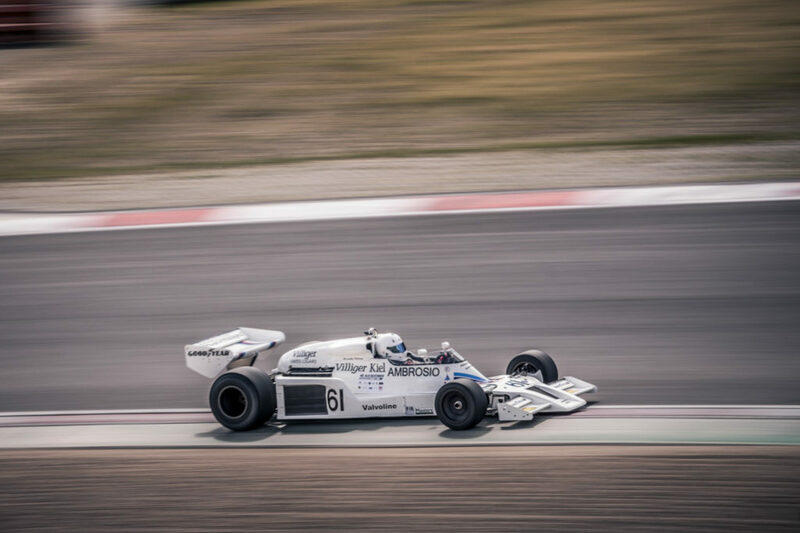 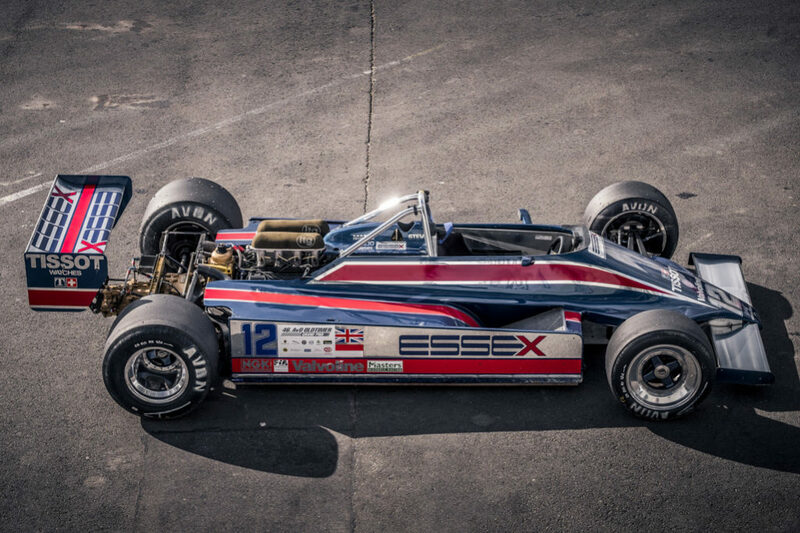 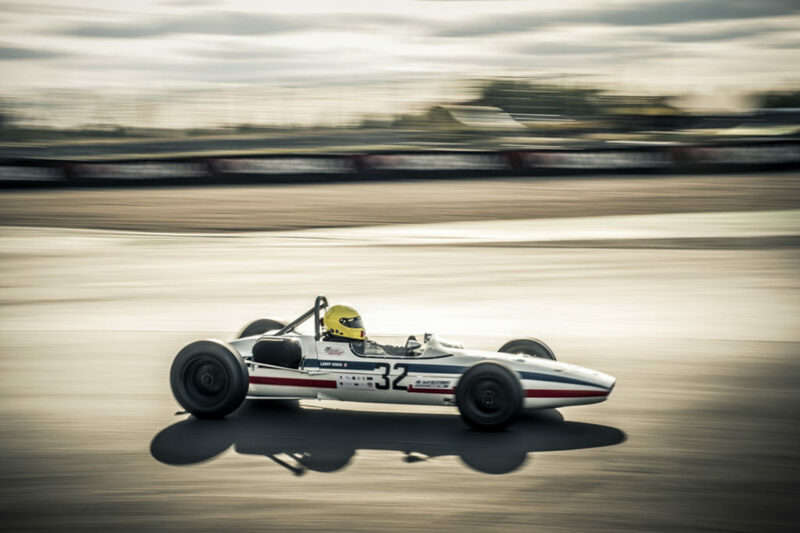 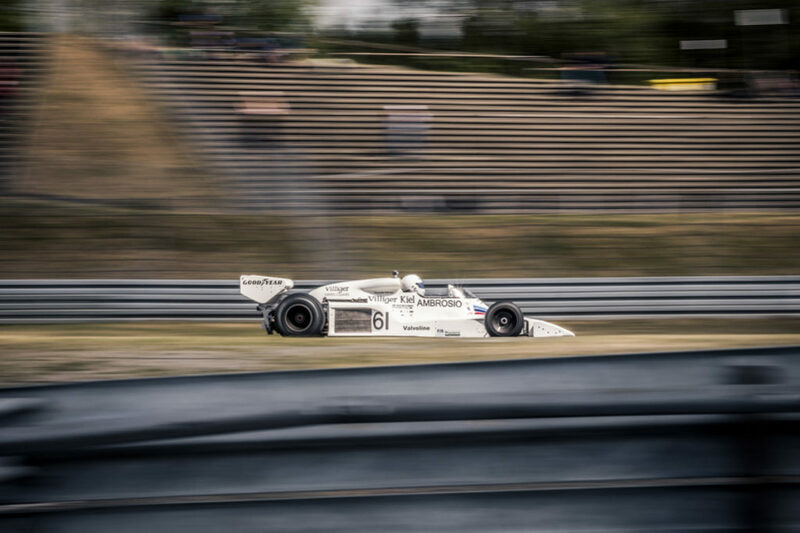 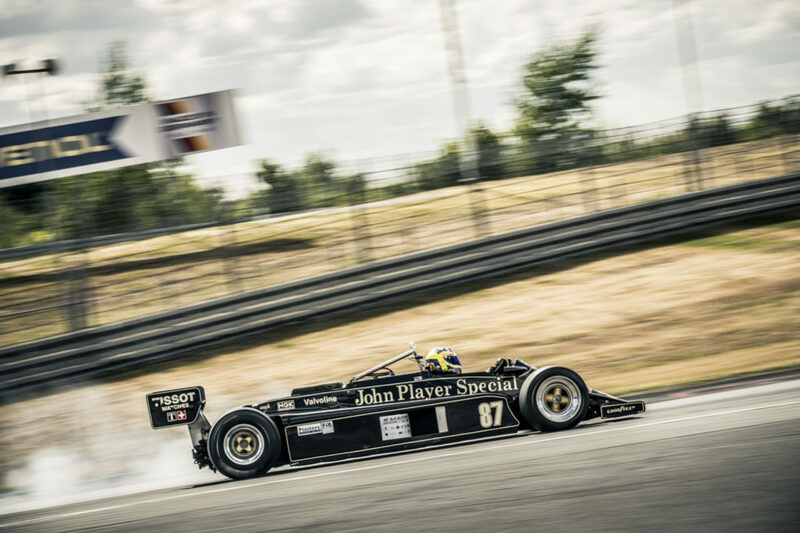 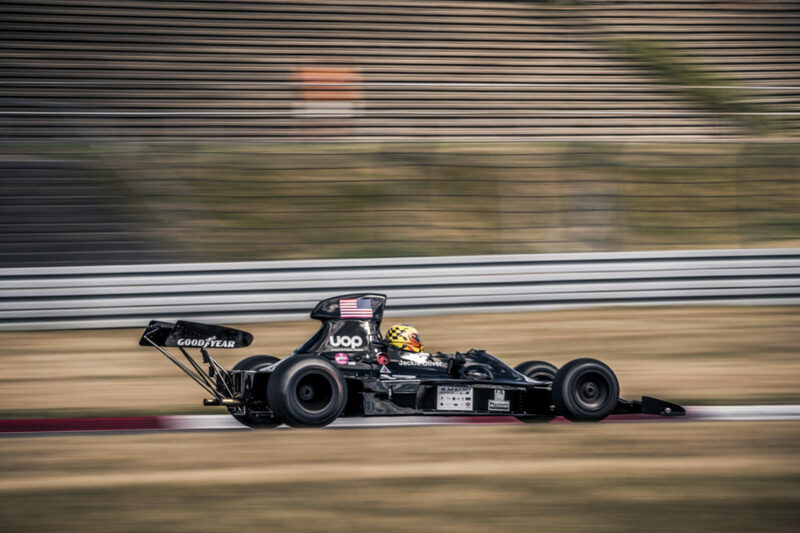 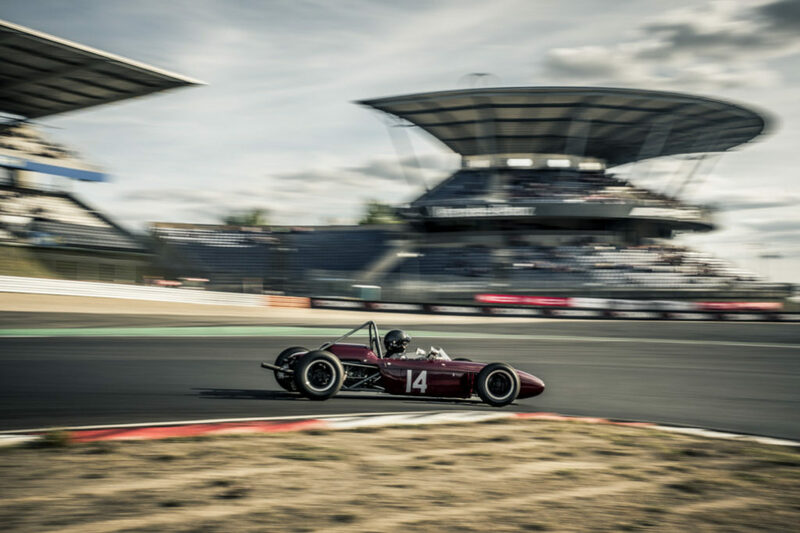 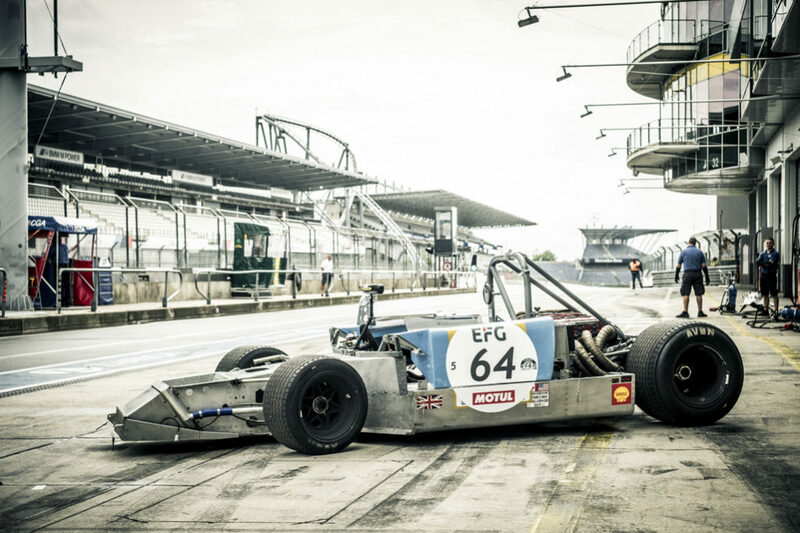 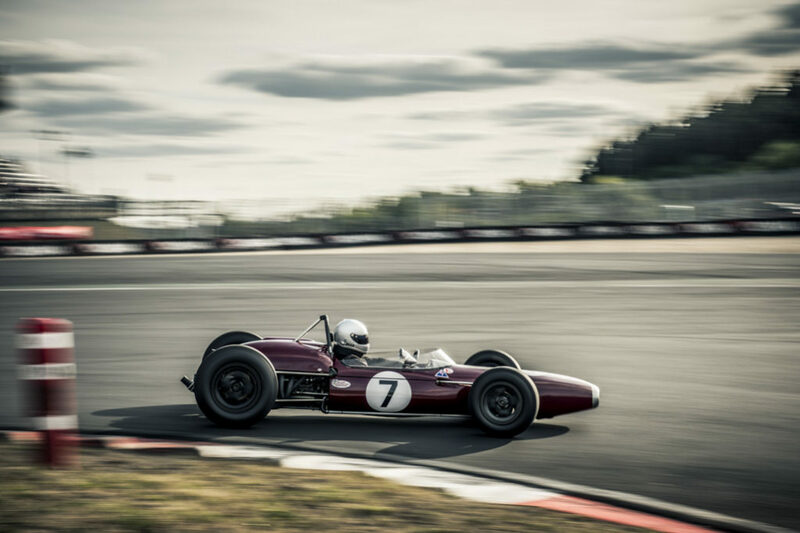 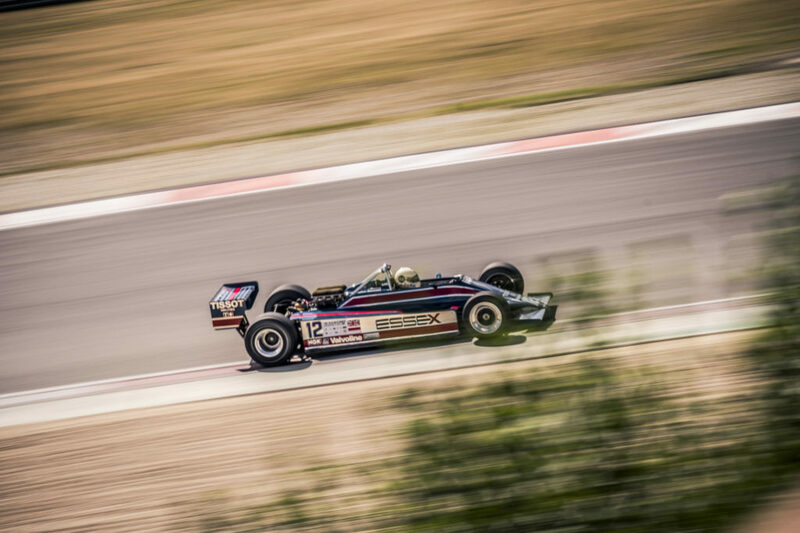 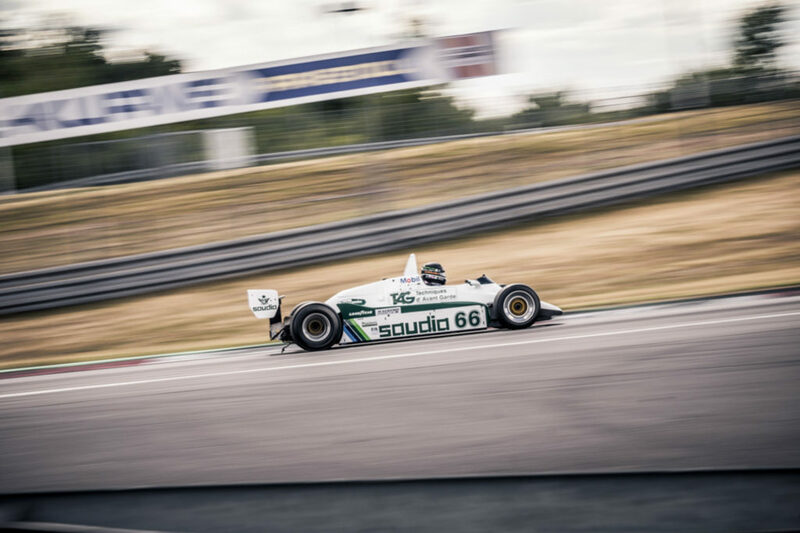 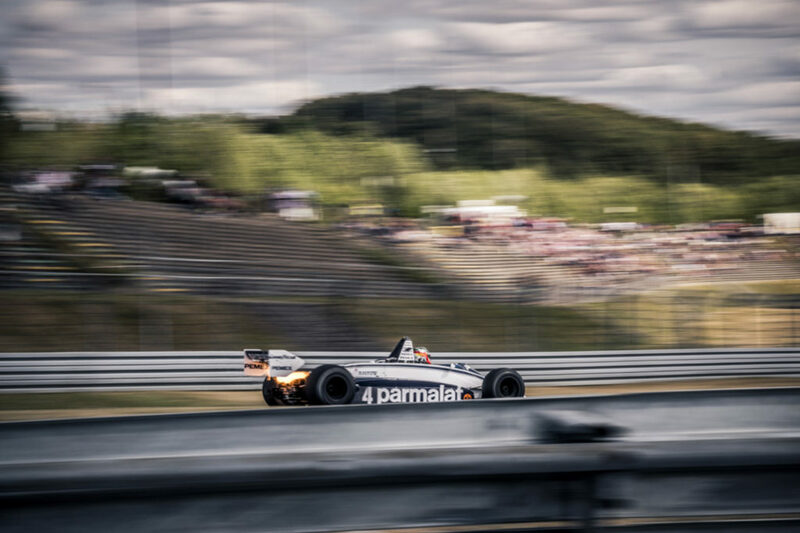 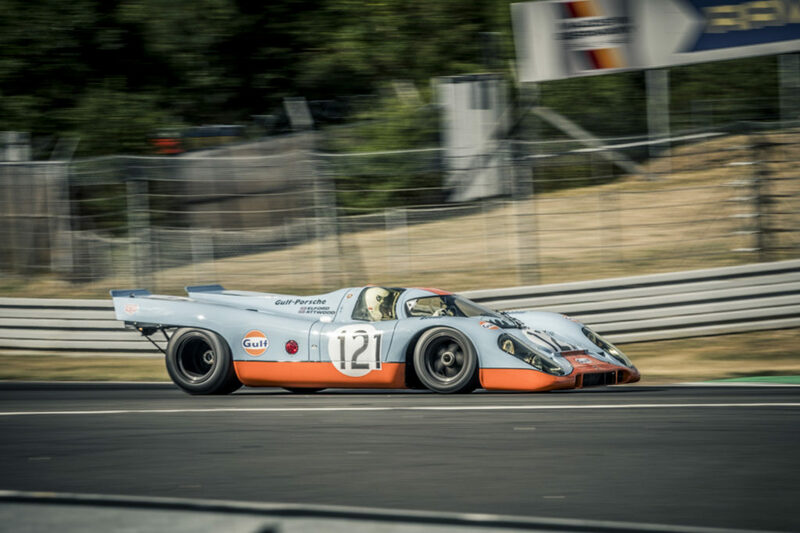 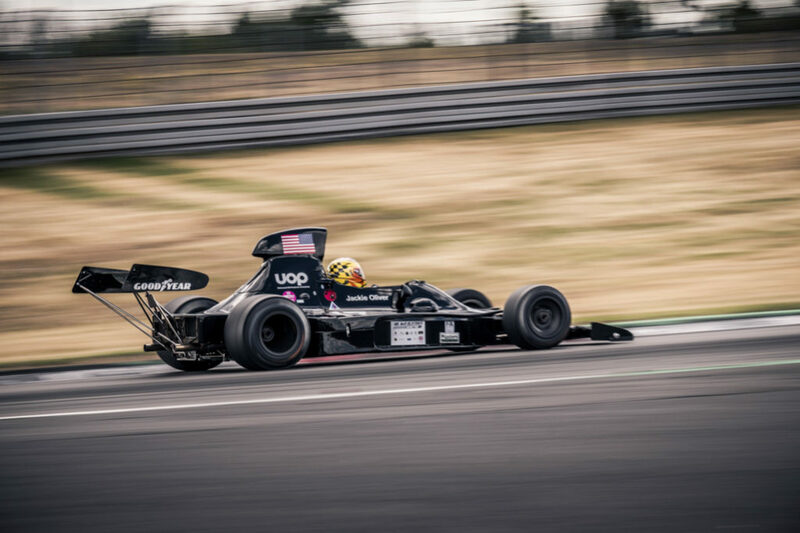 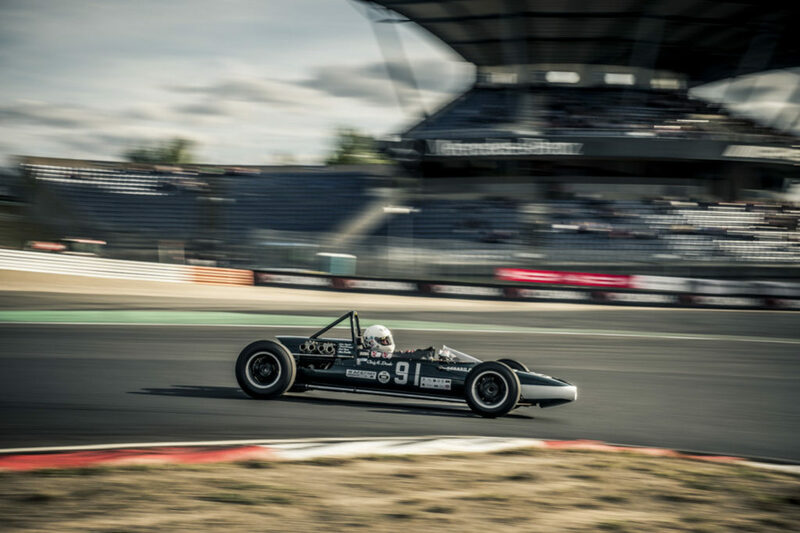 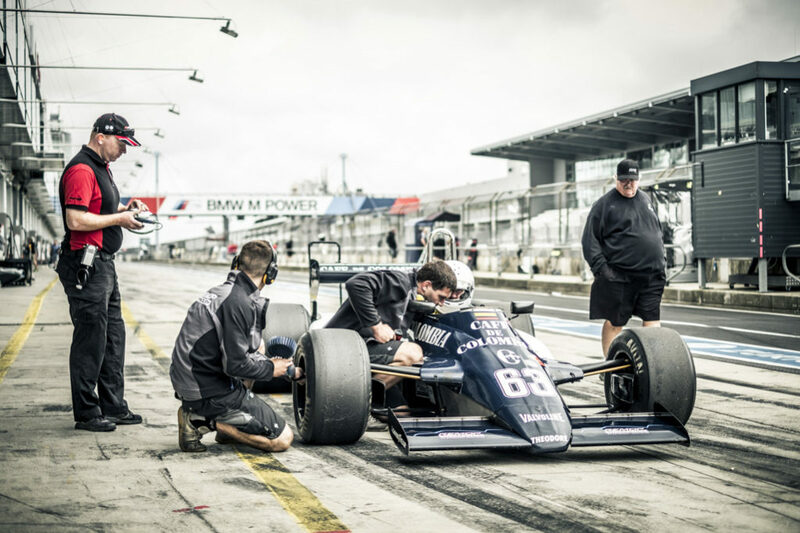 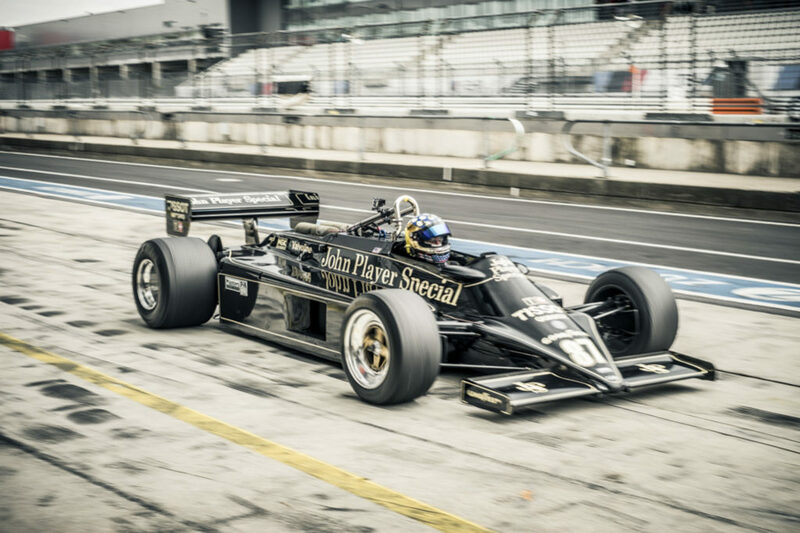 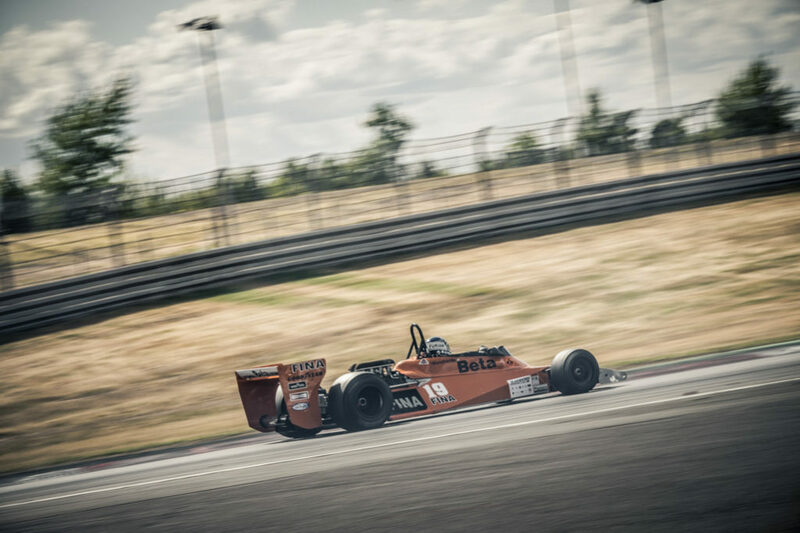 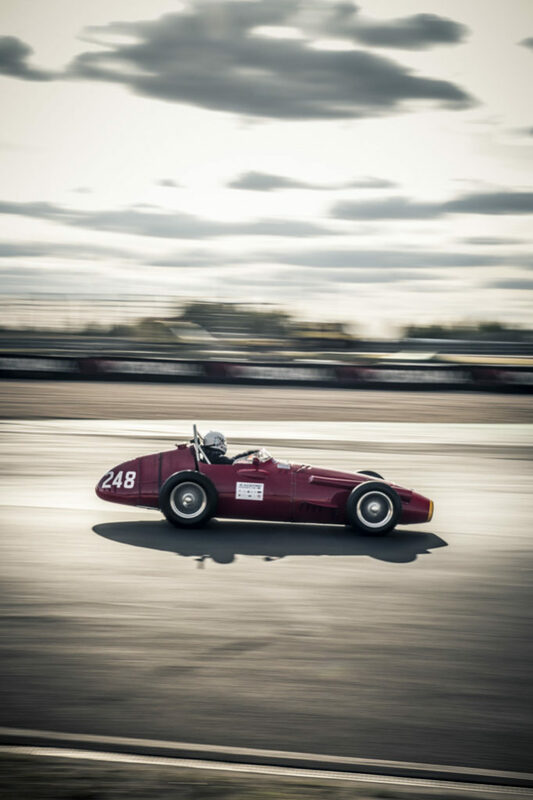 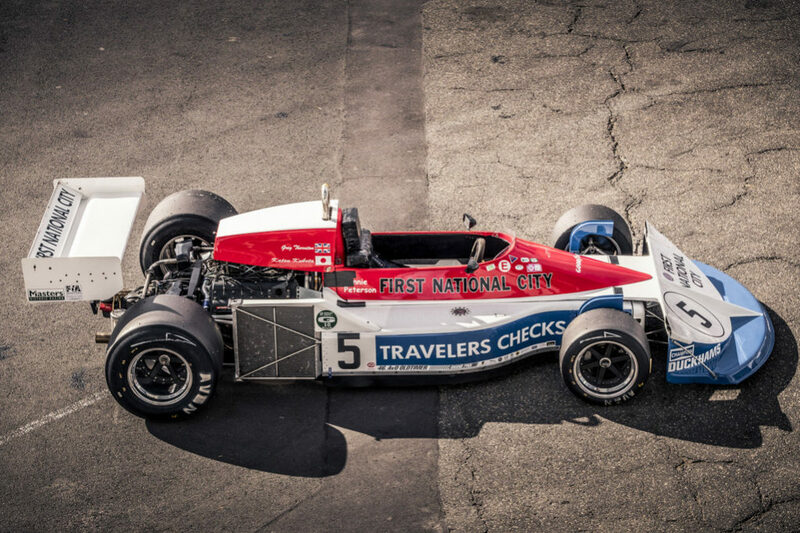 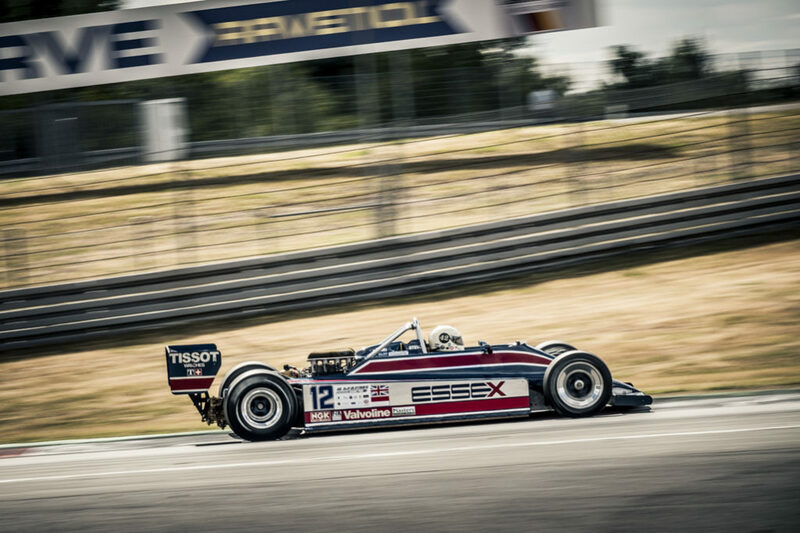 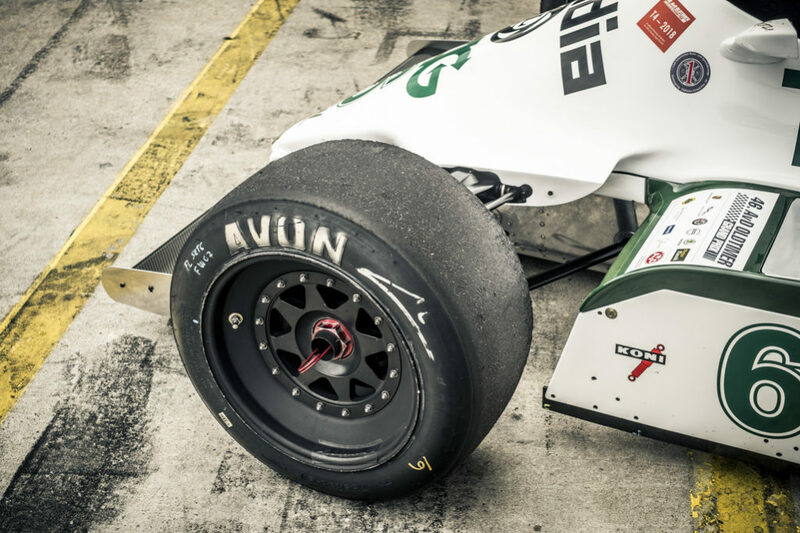 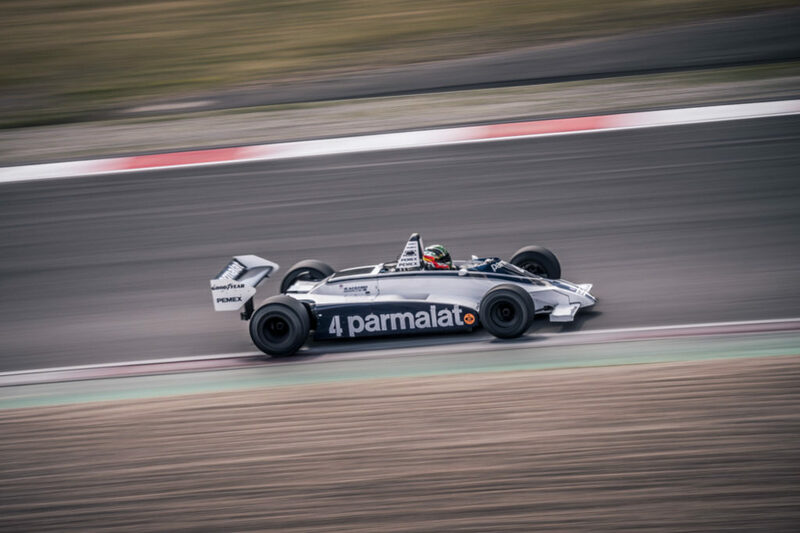 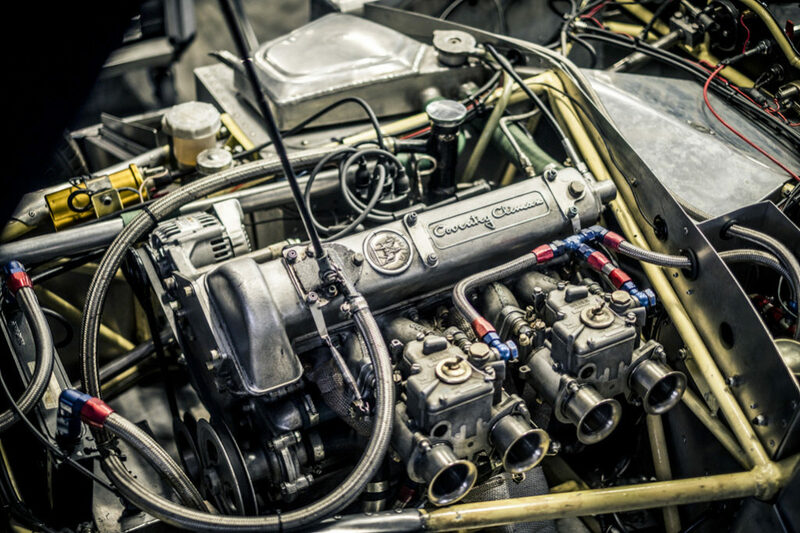 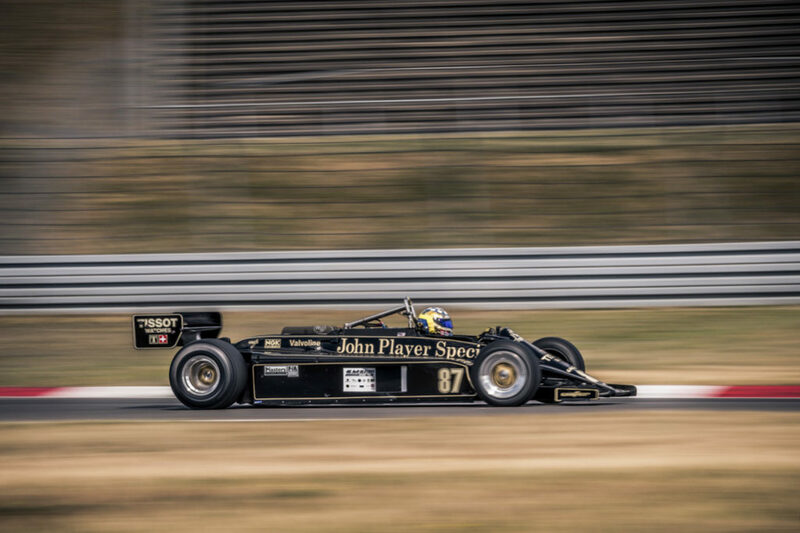 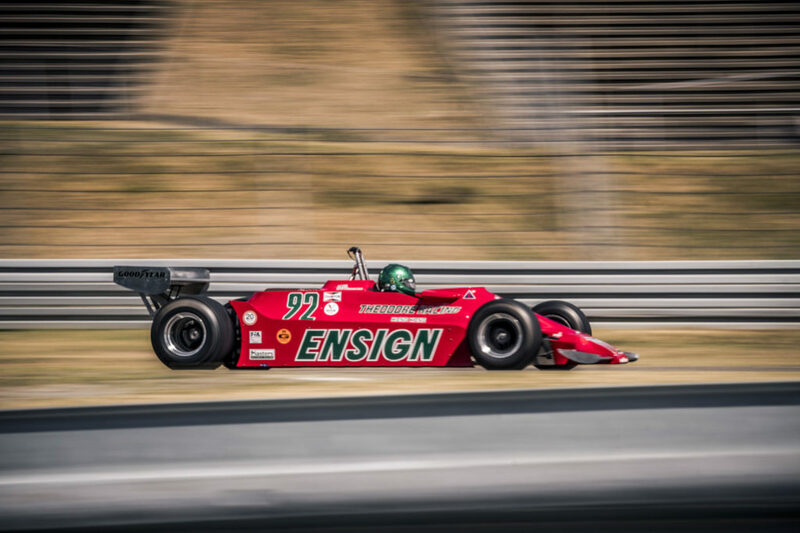 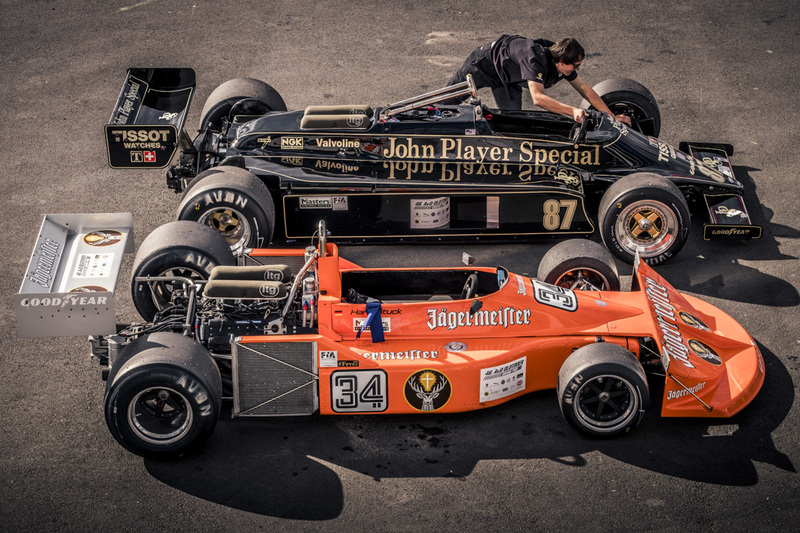 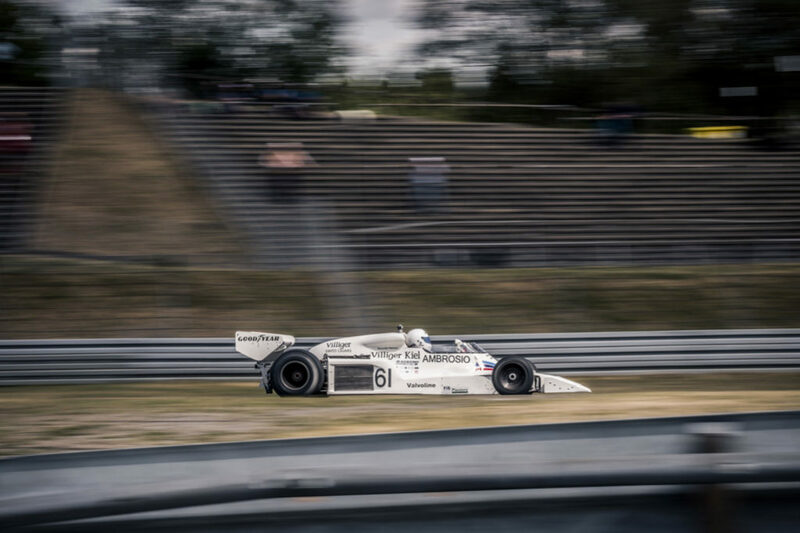 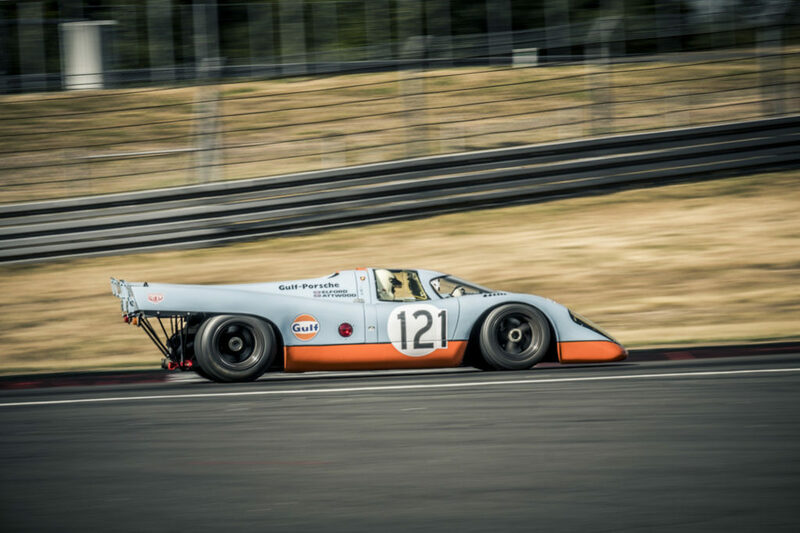 As always, the FIA ​​Masters Historic Formula One Championship is one of the highlights of any classic car event, but in the case of the AvD Oldtimer Grand Prix, it was one of many. 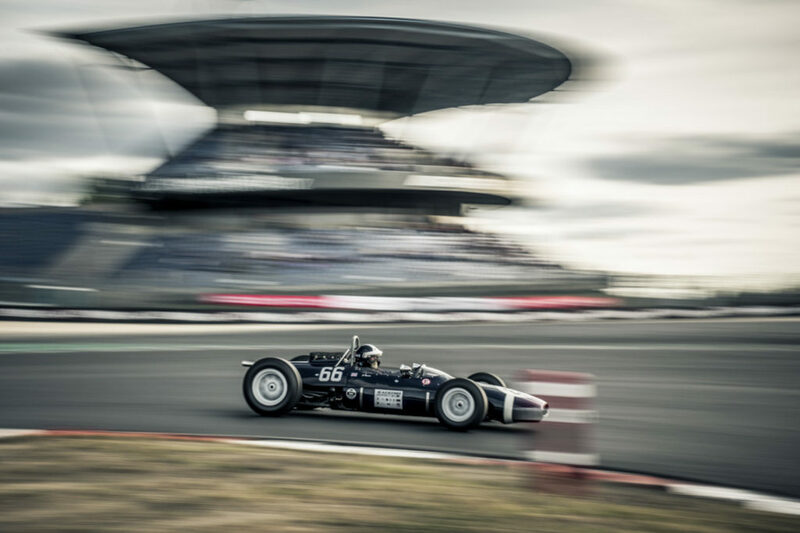 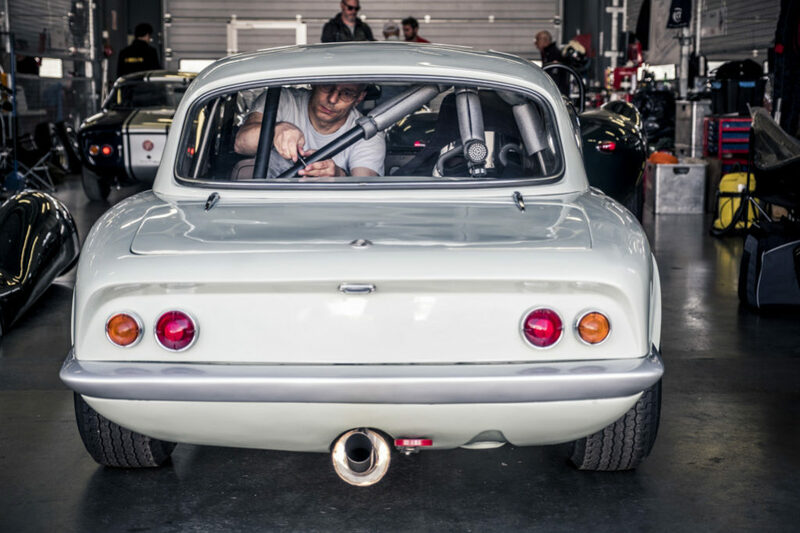 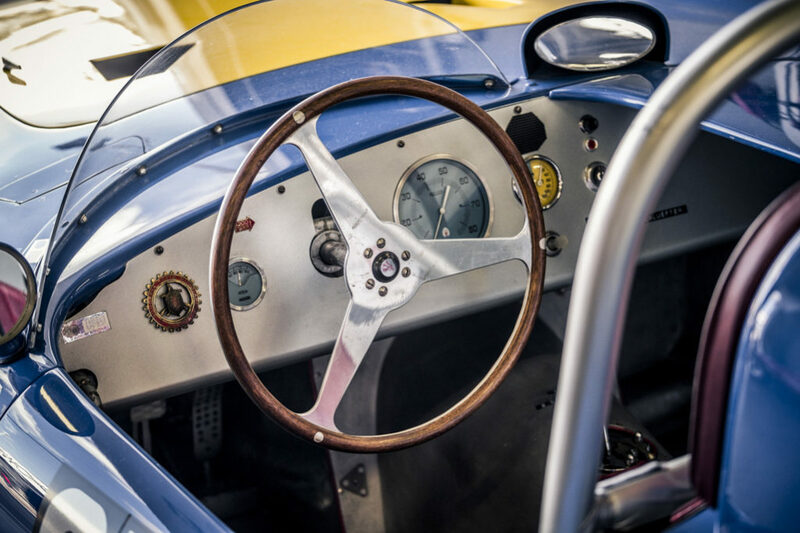 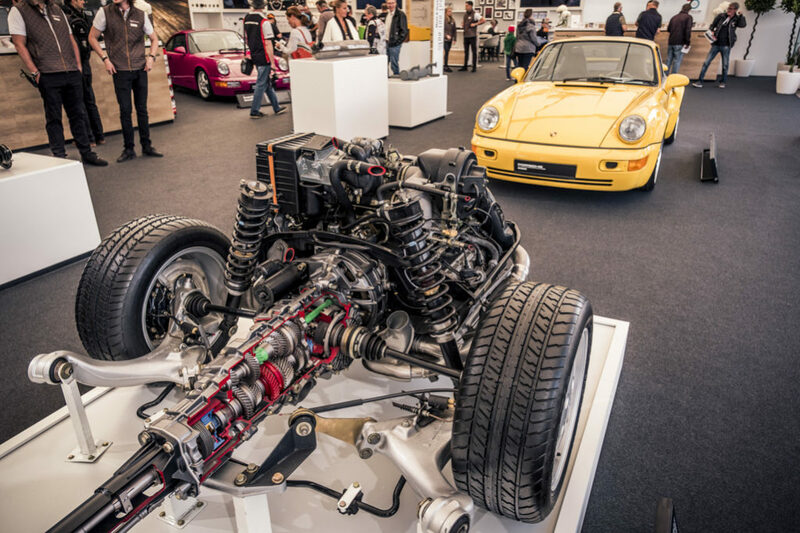 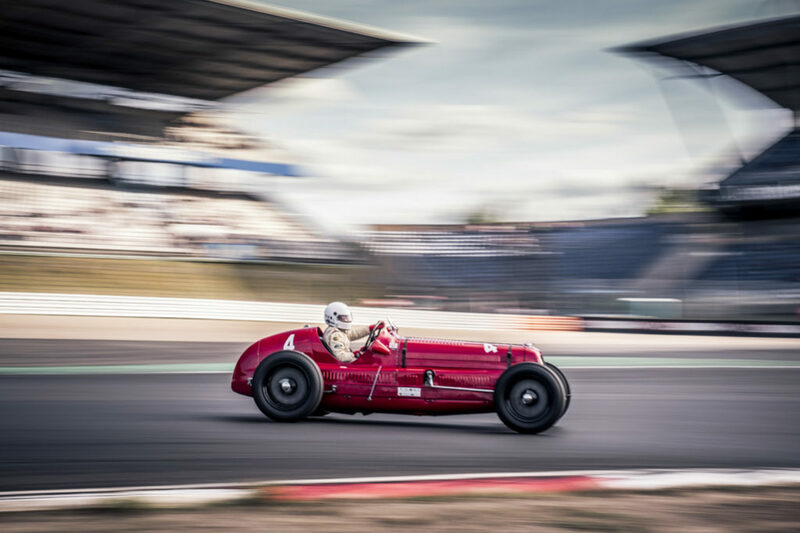 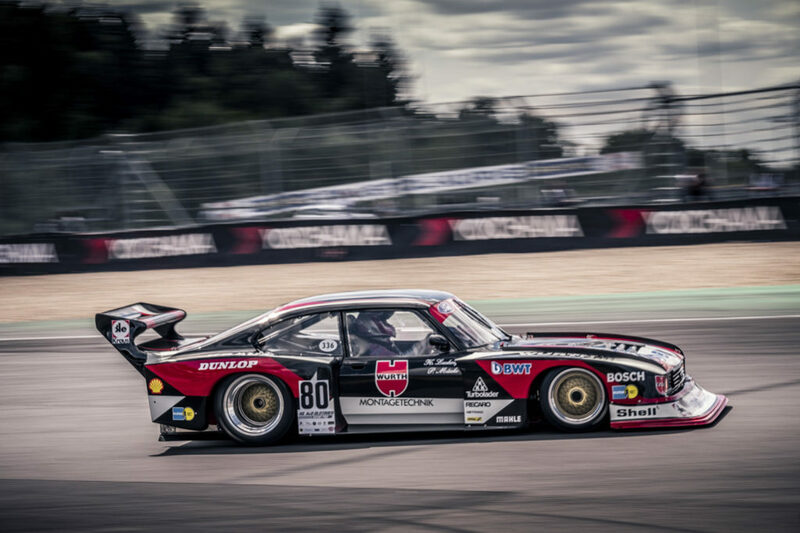 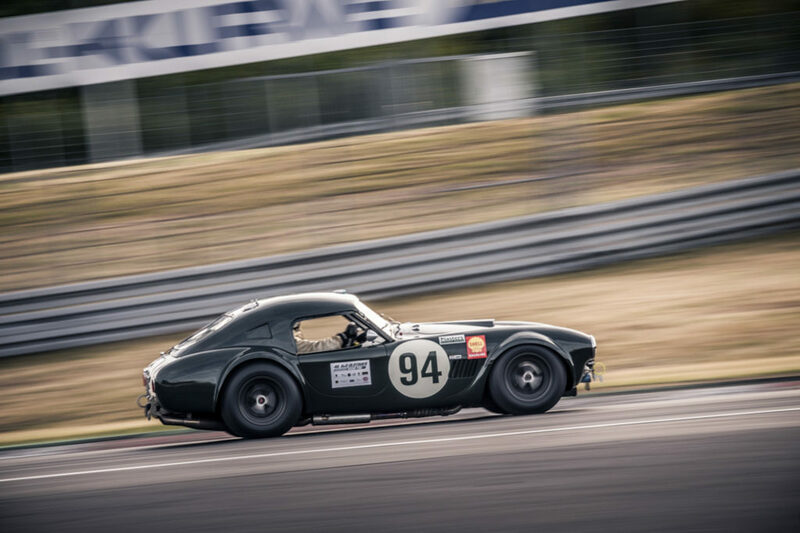 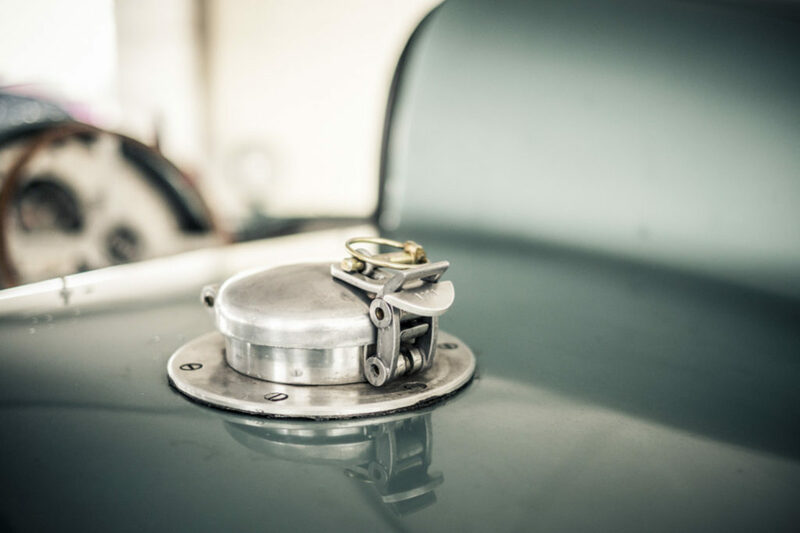 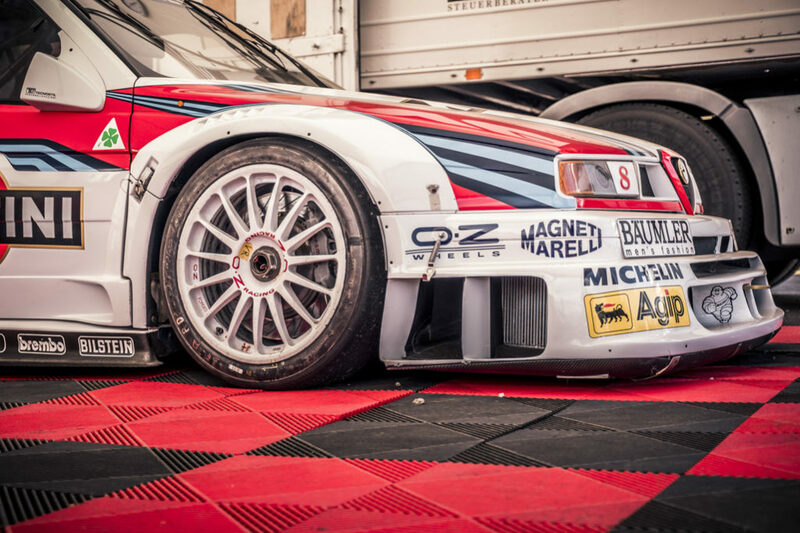 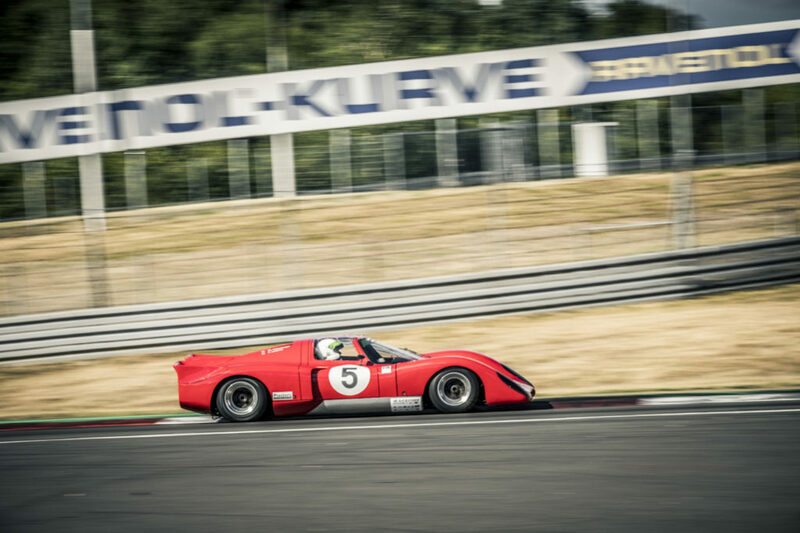 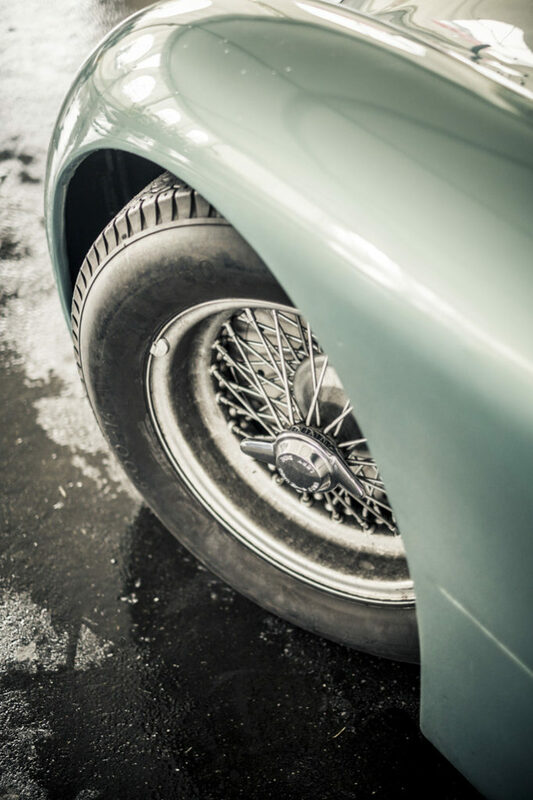 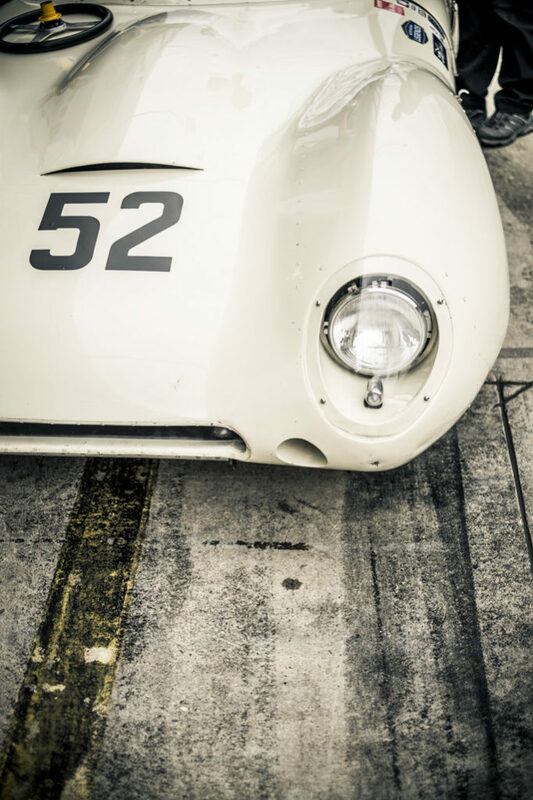 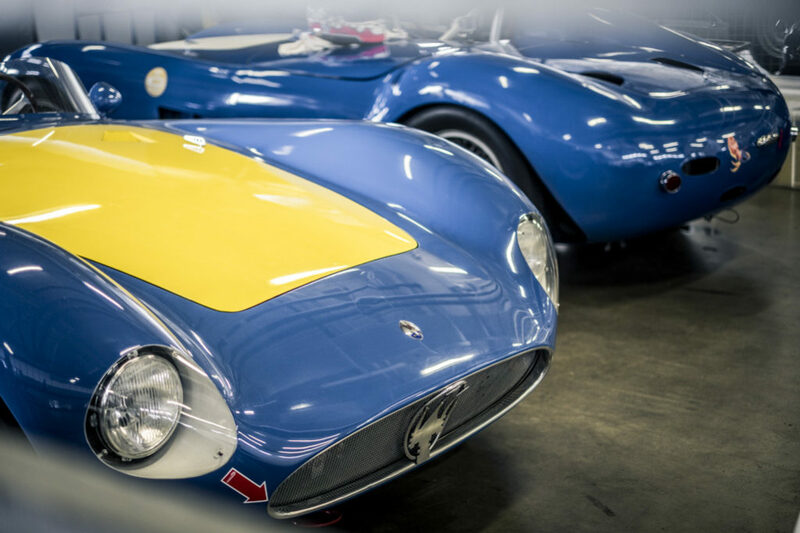 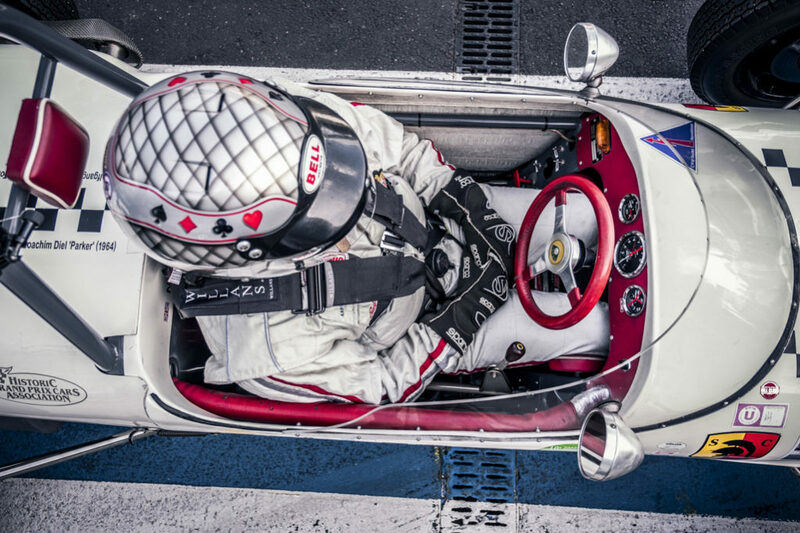 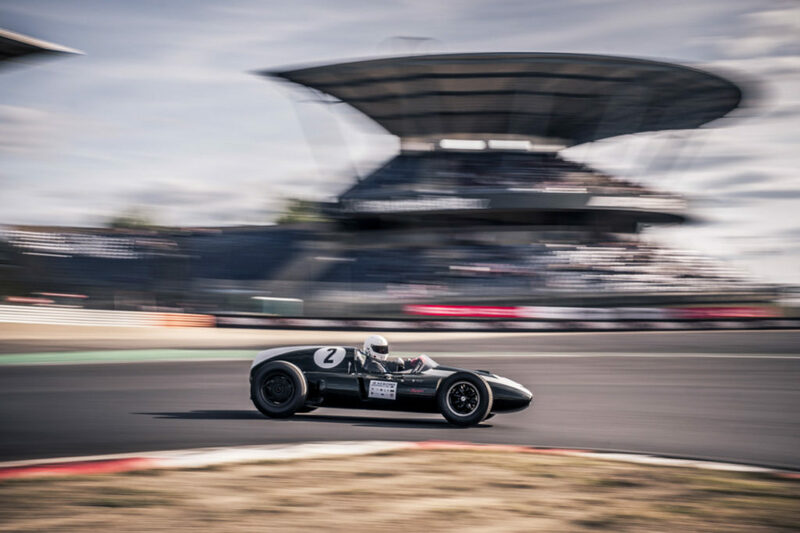 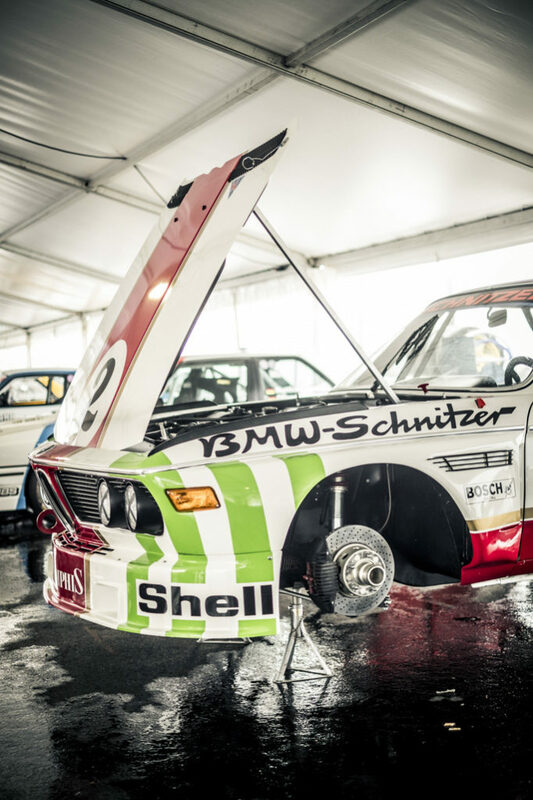 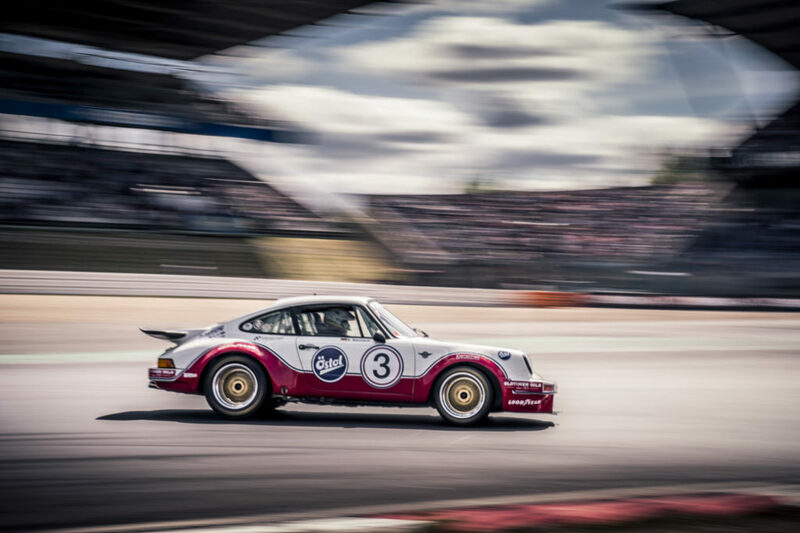 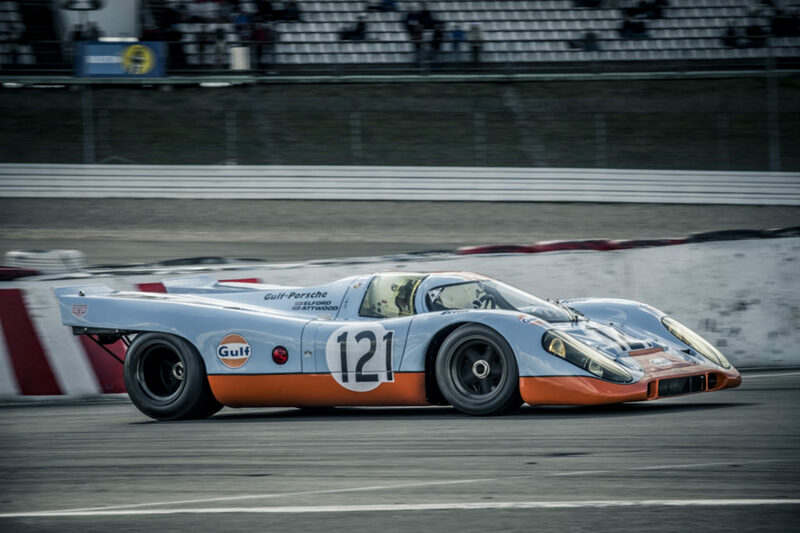 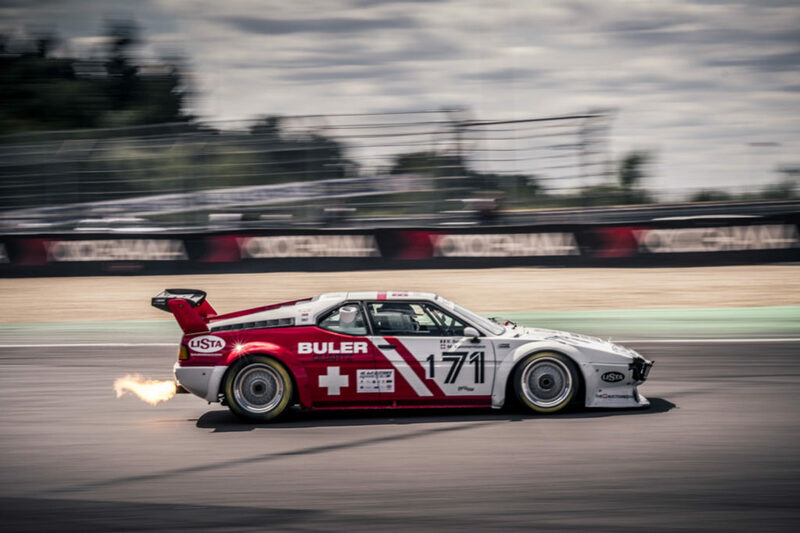 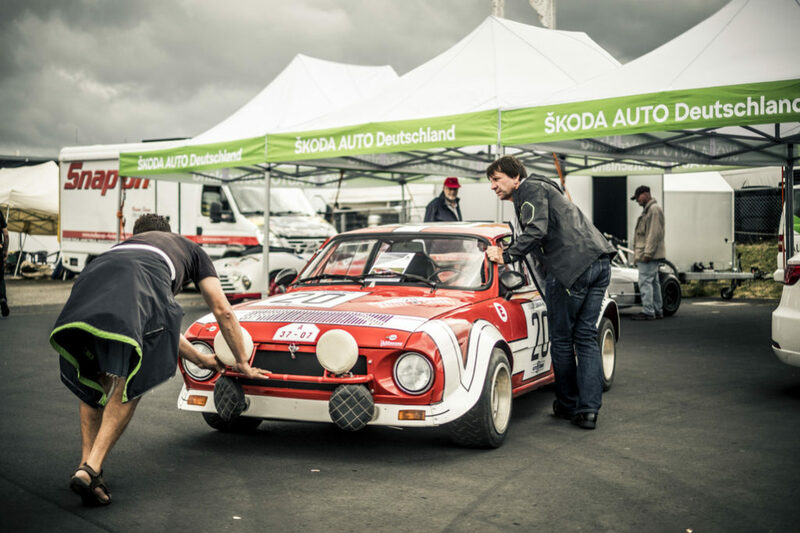 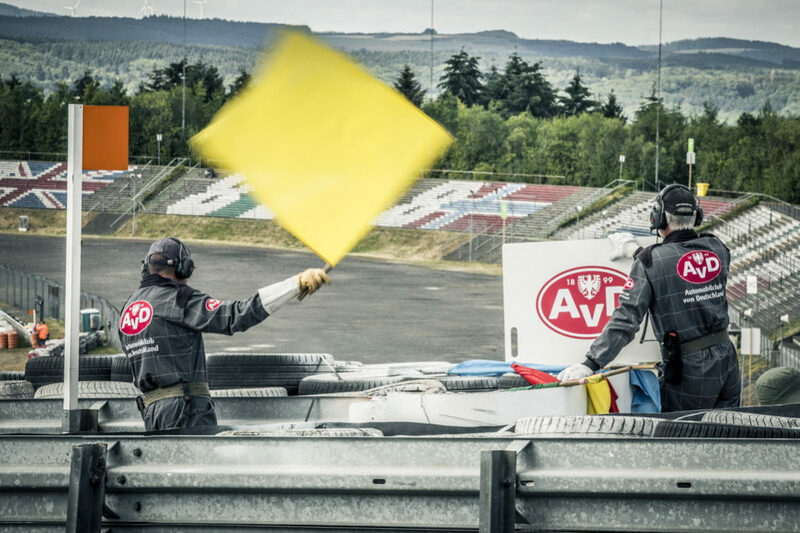 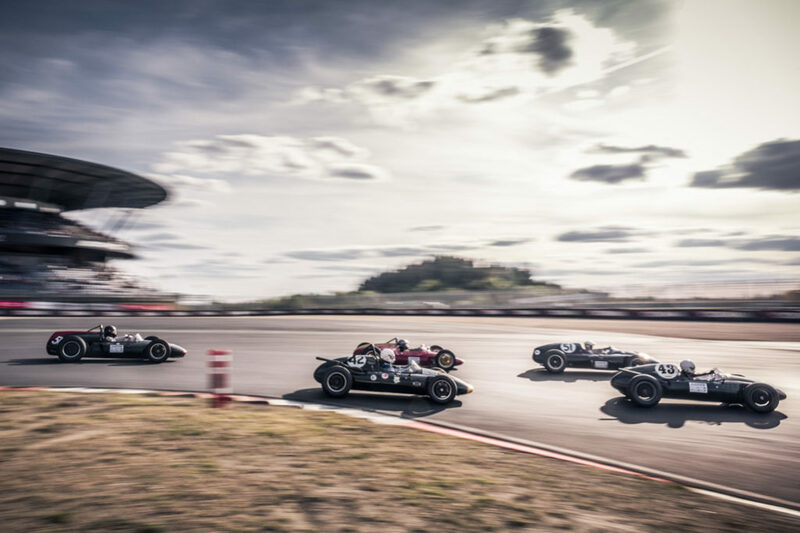 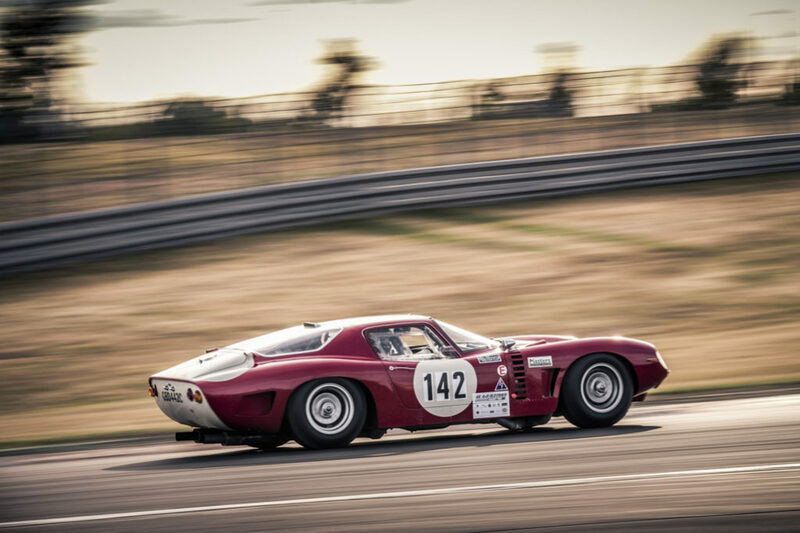 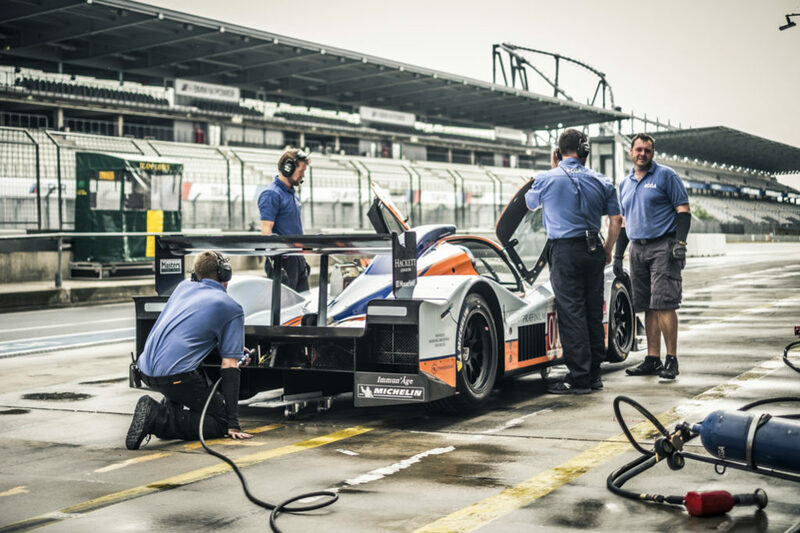 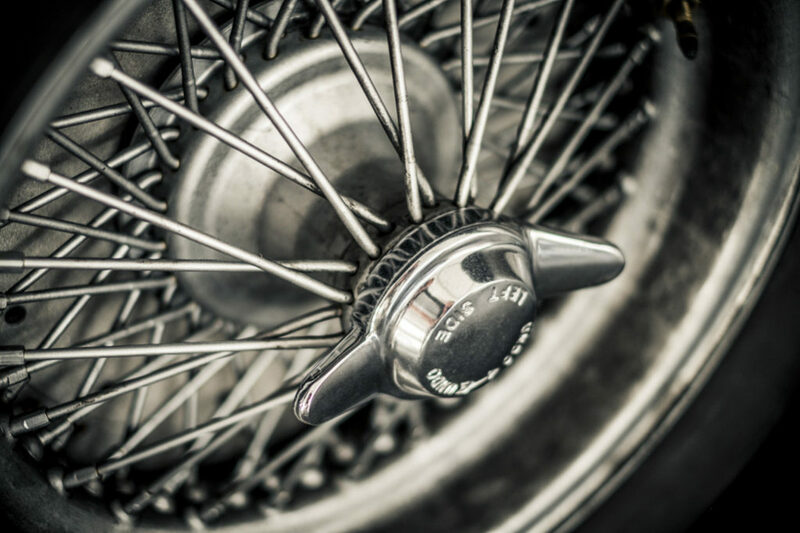 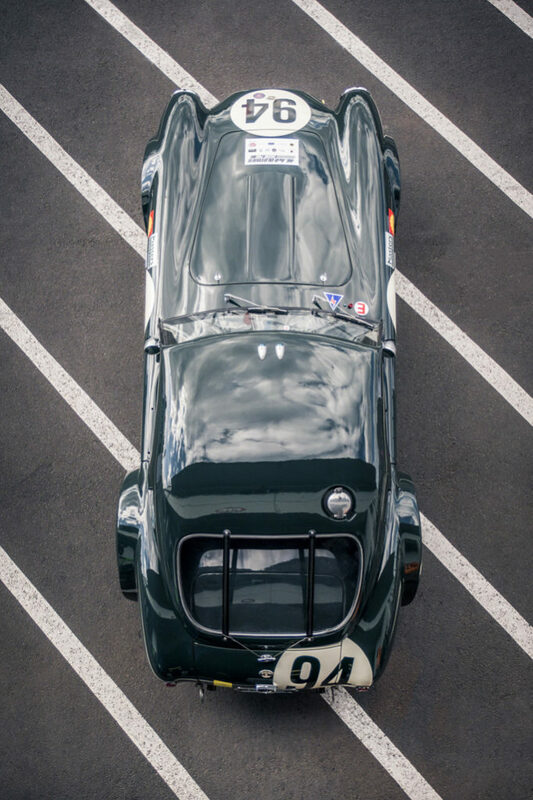 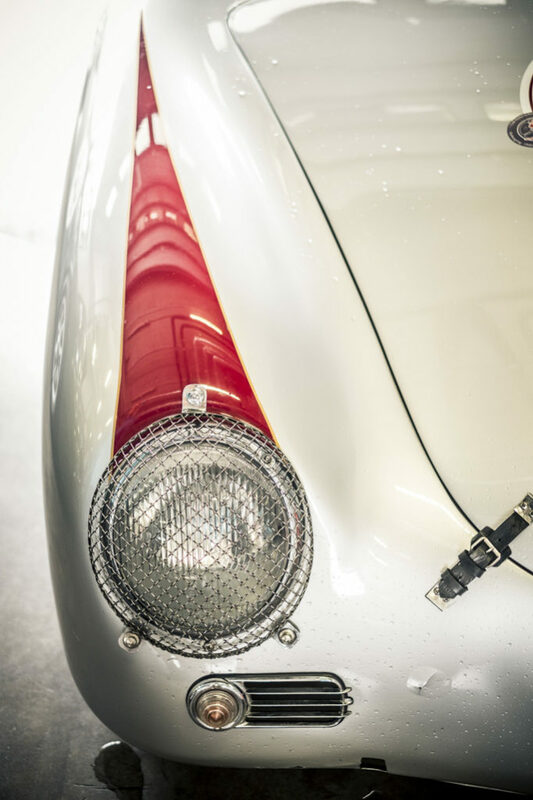 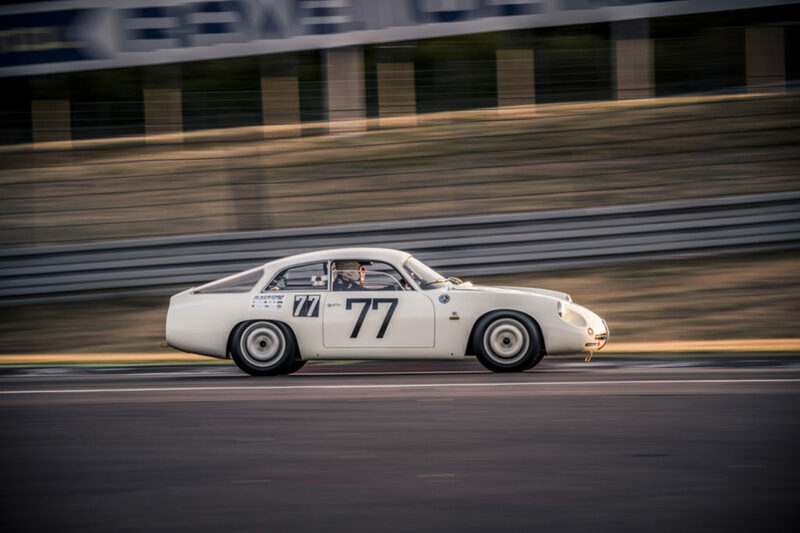 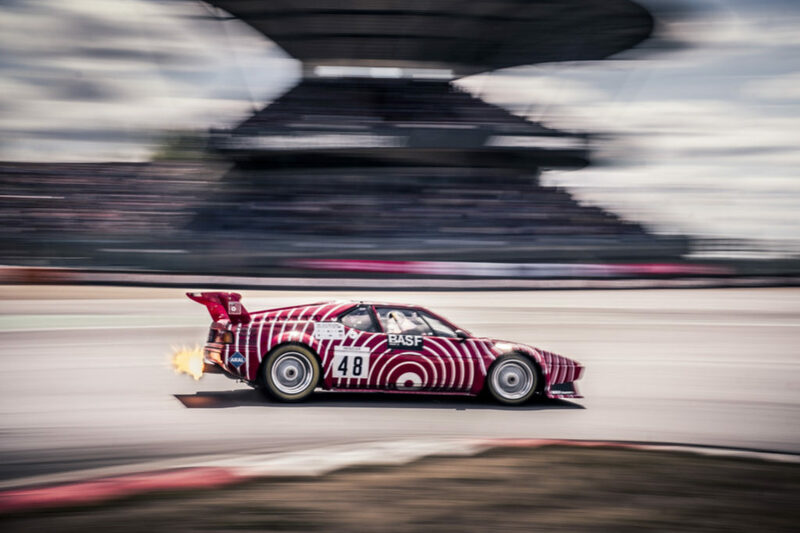 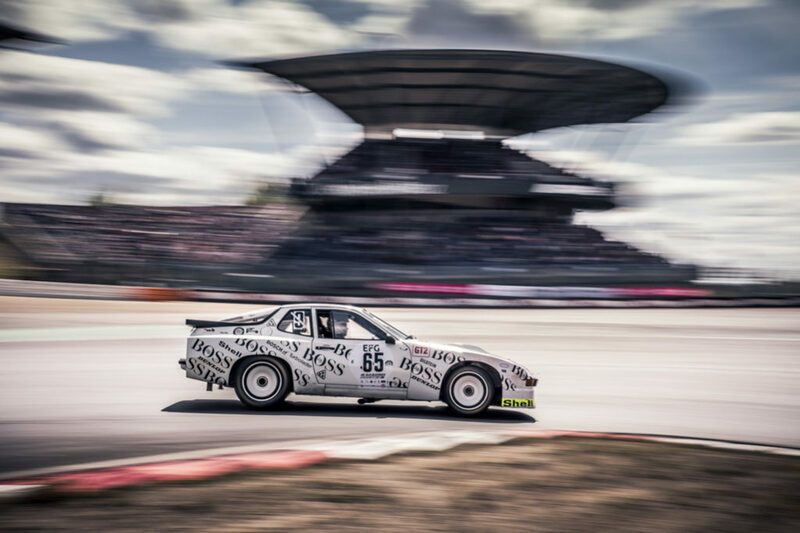 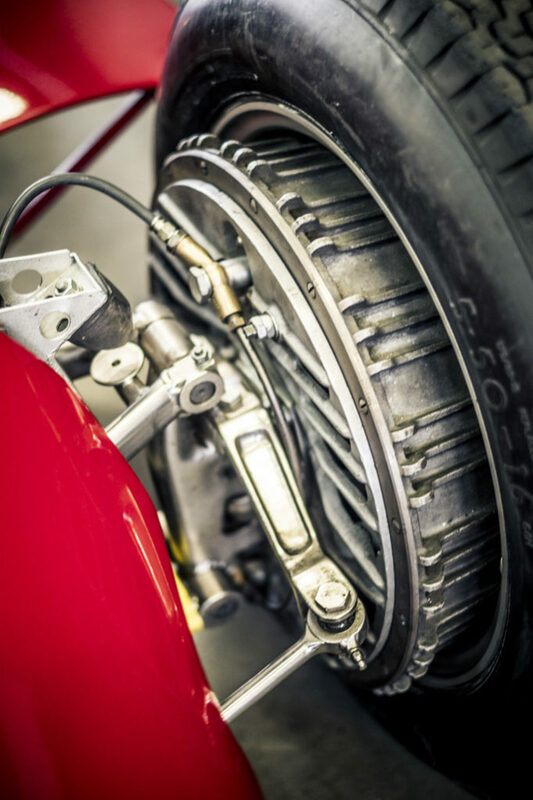 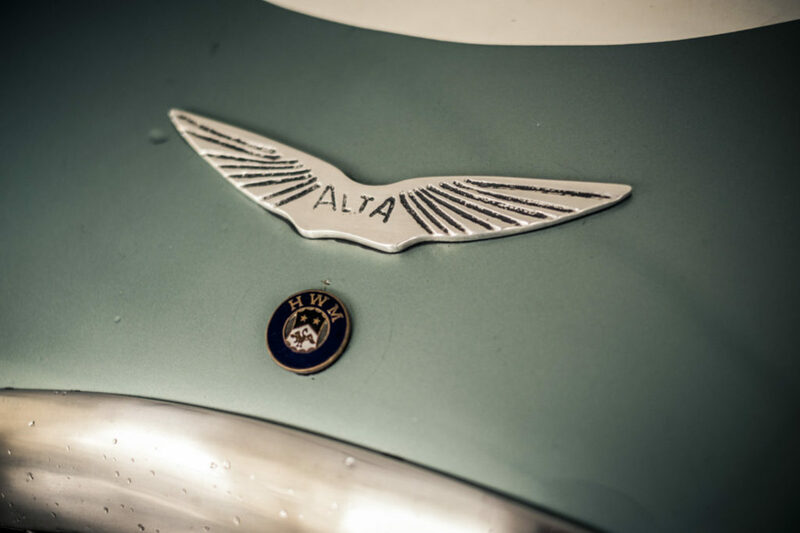 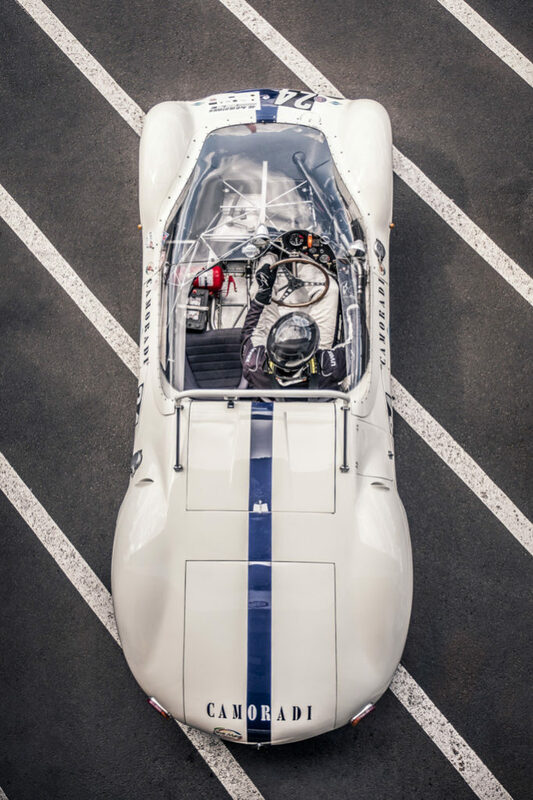 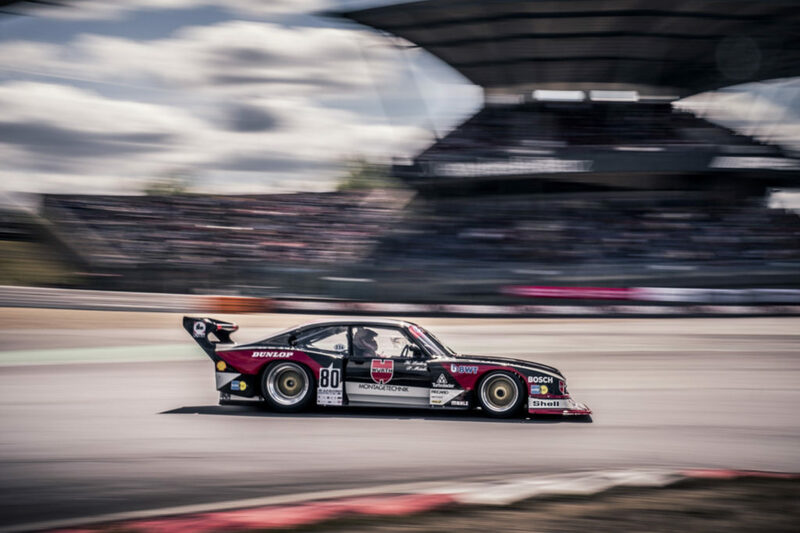 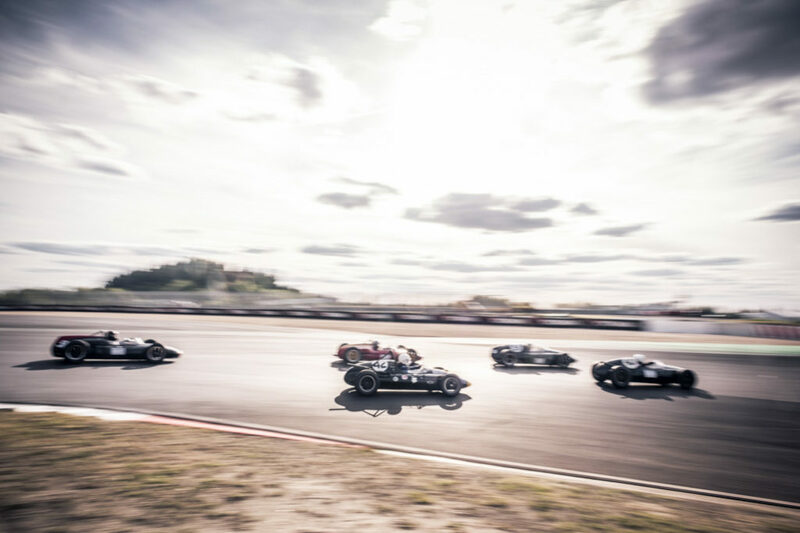 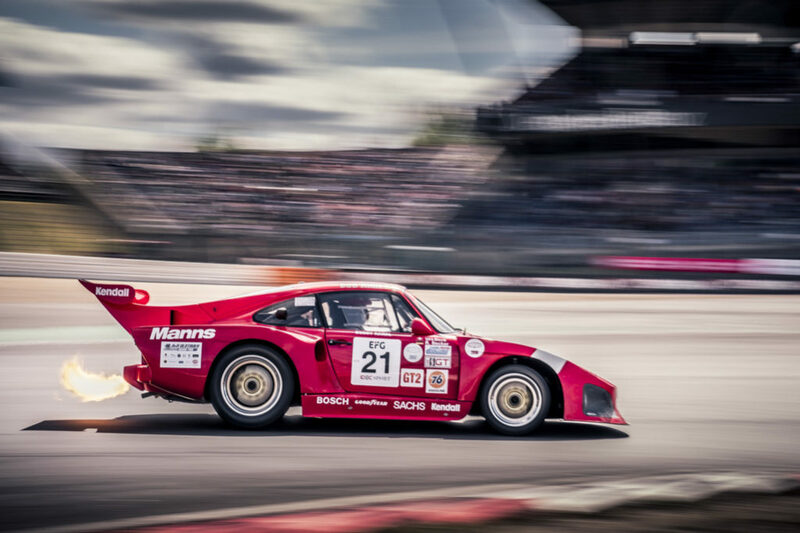 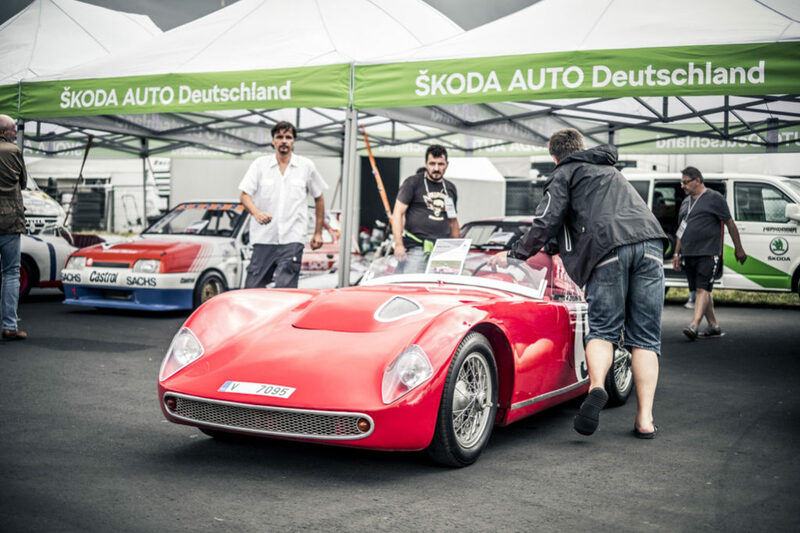 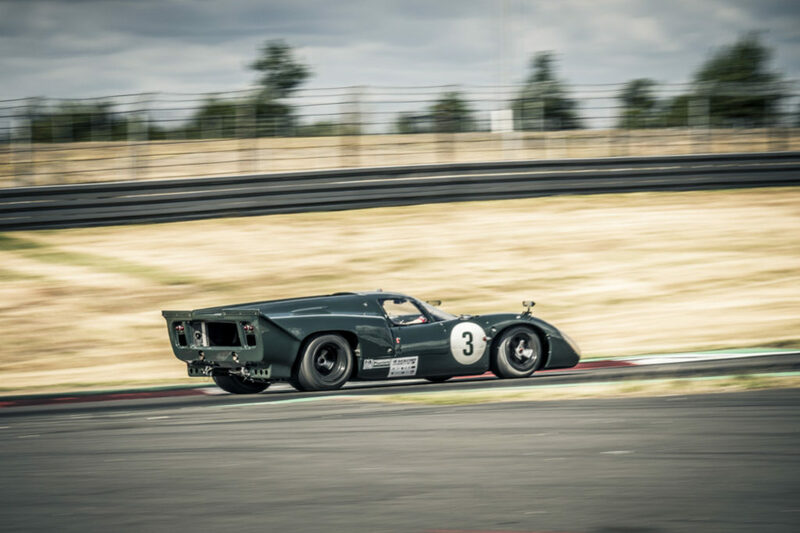 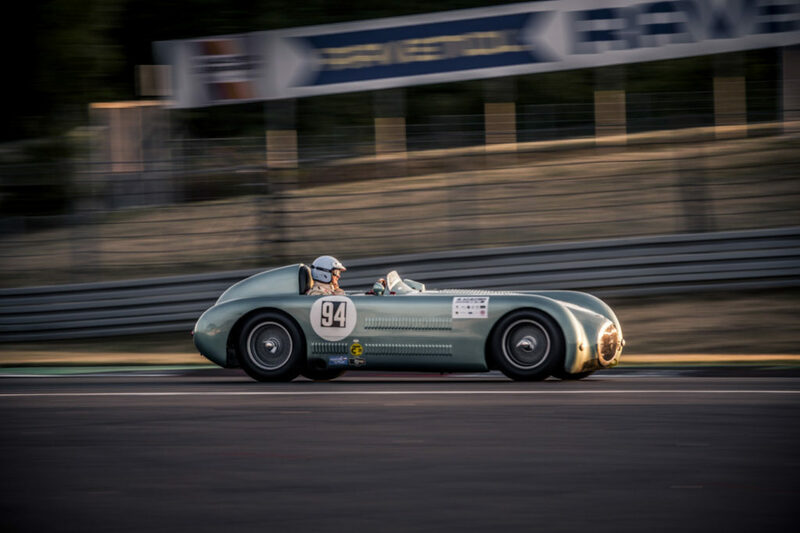 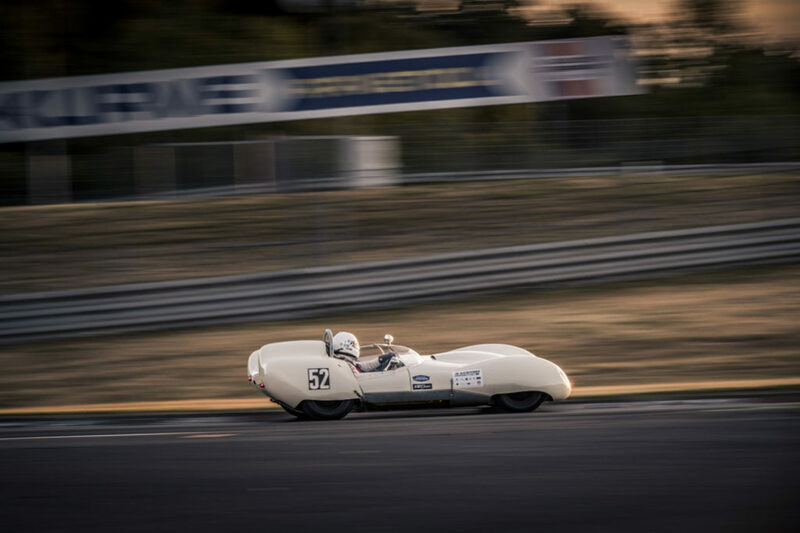 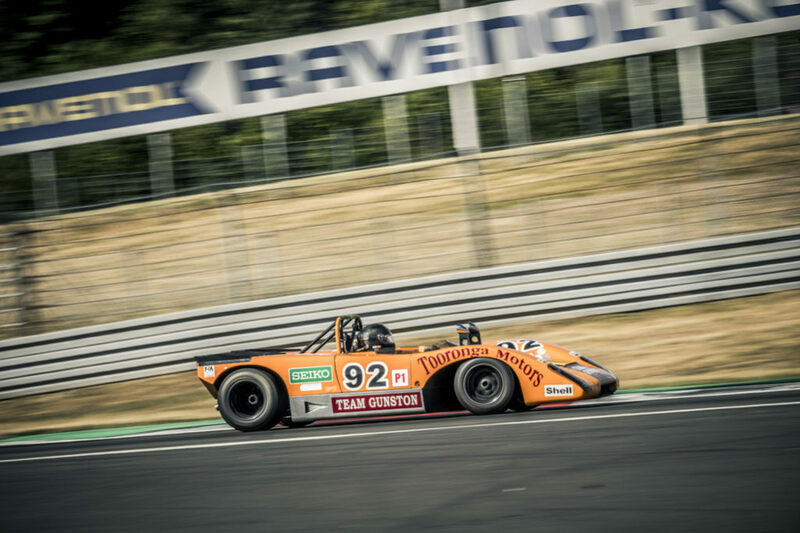 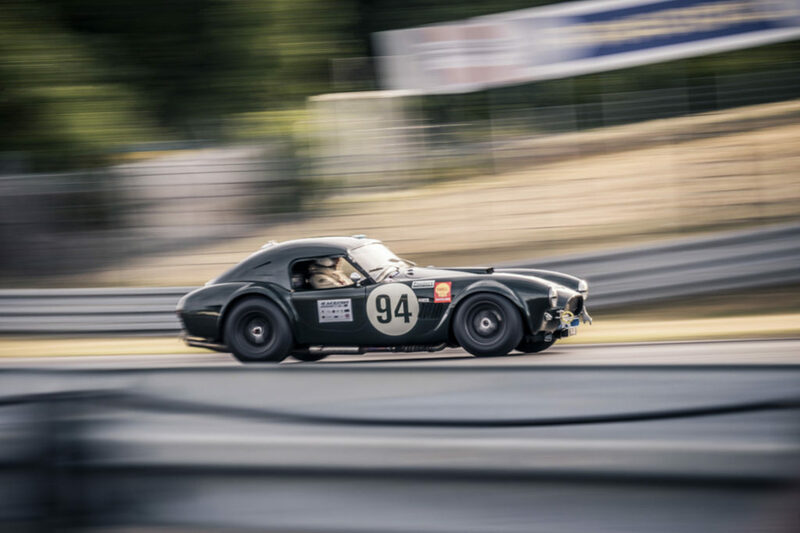 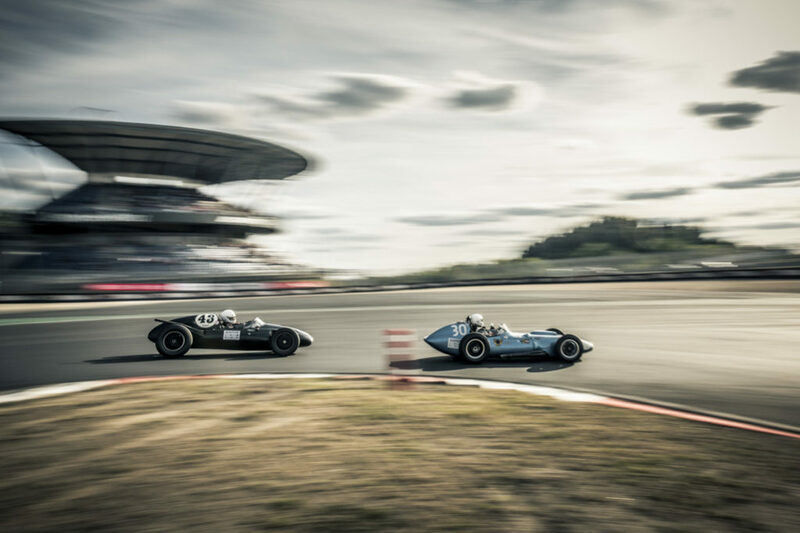 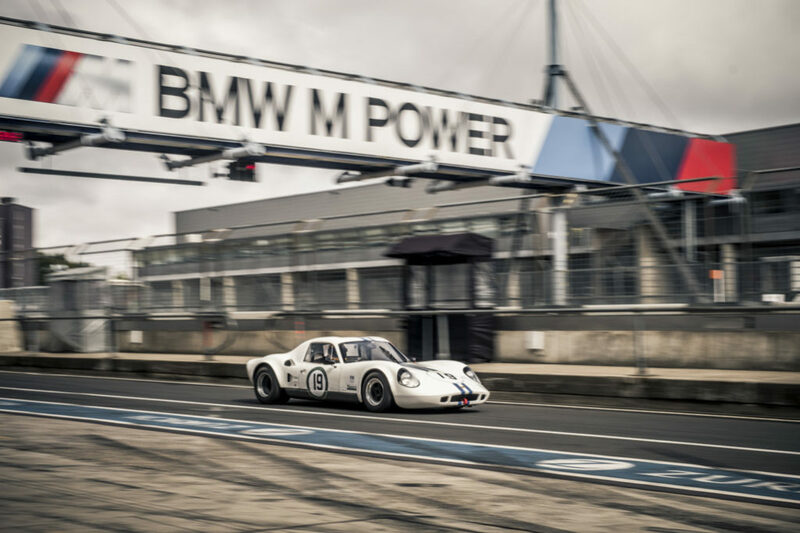 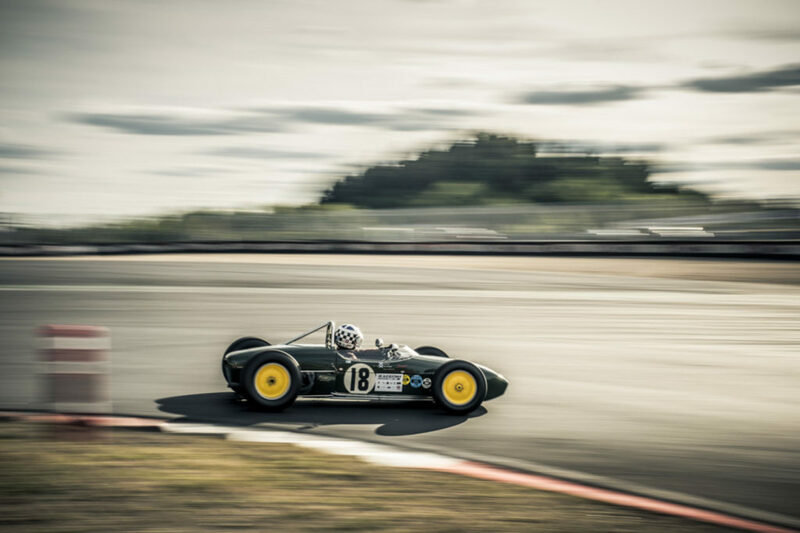 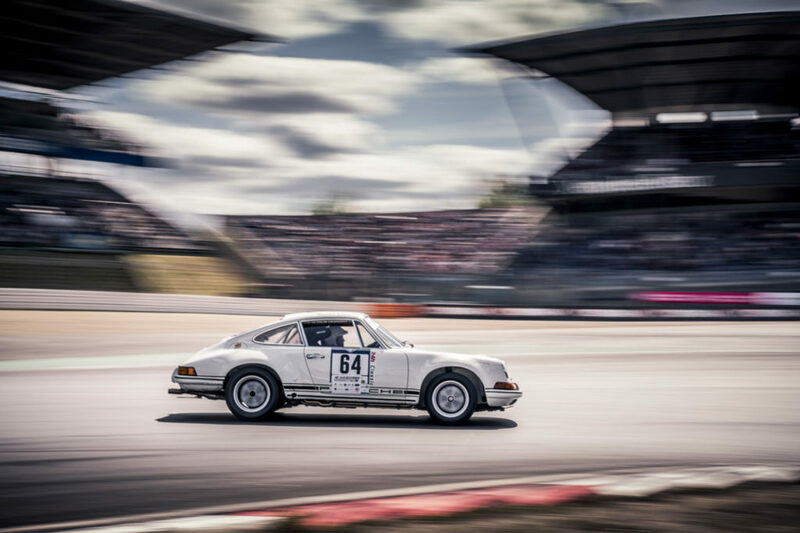 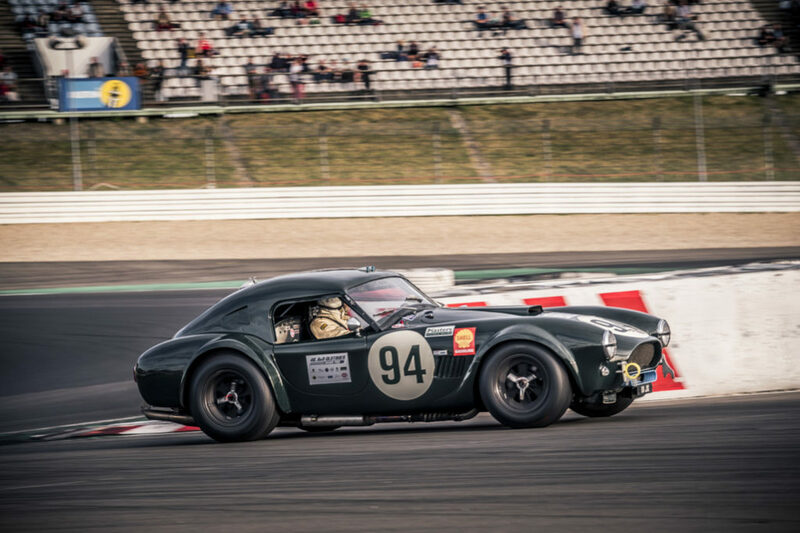 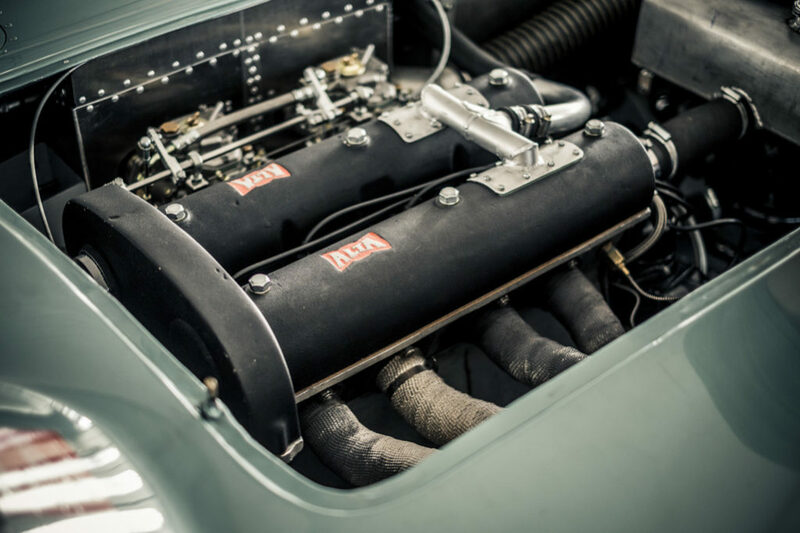 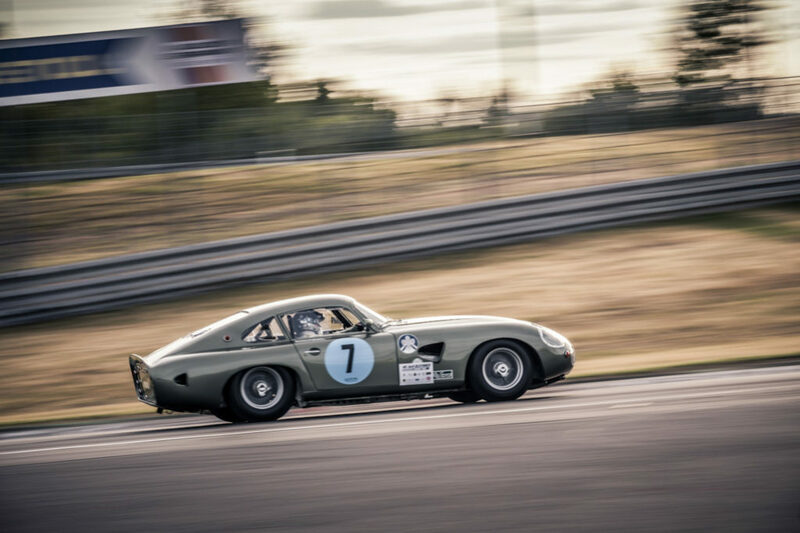 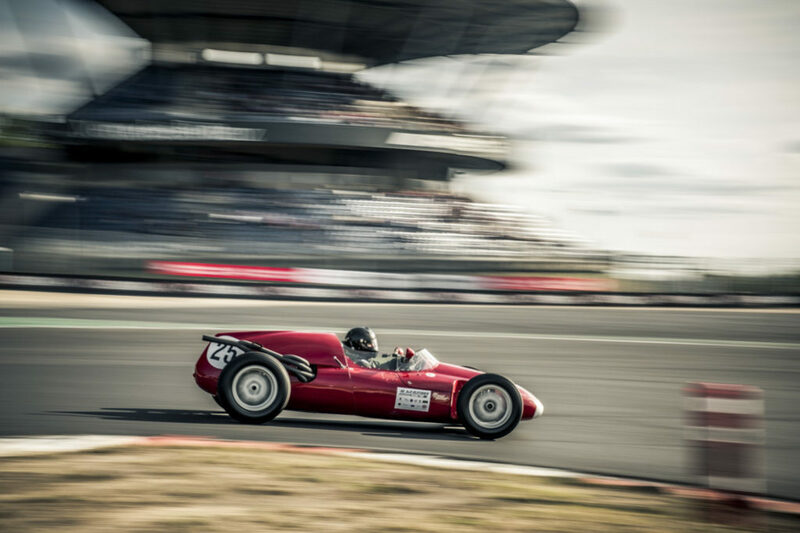 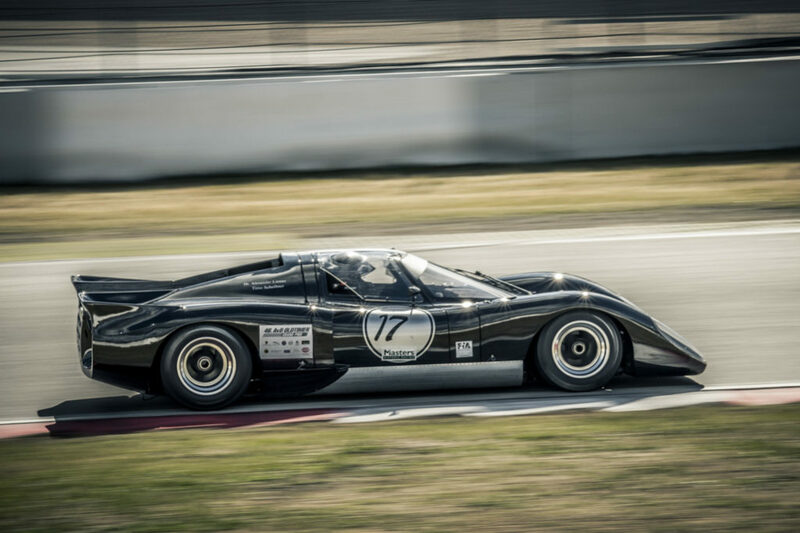 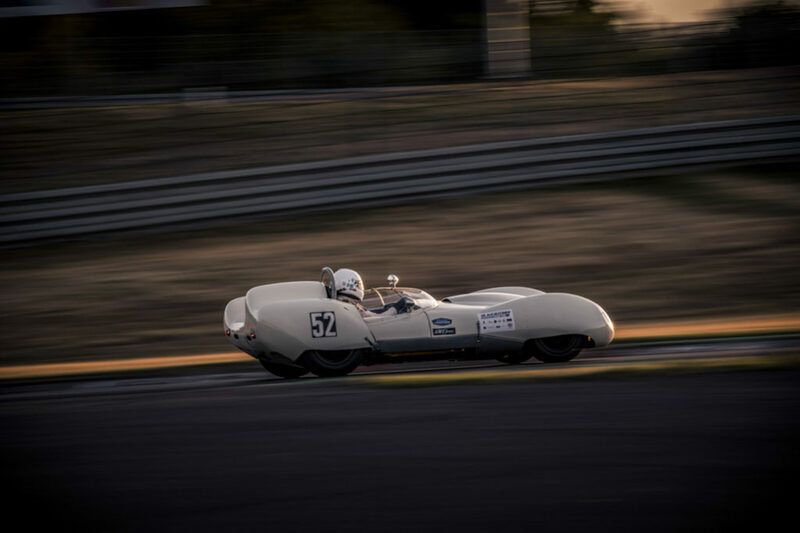 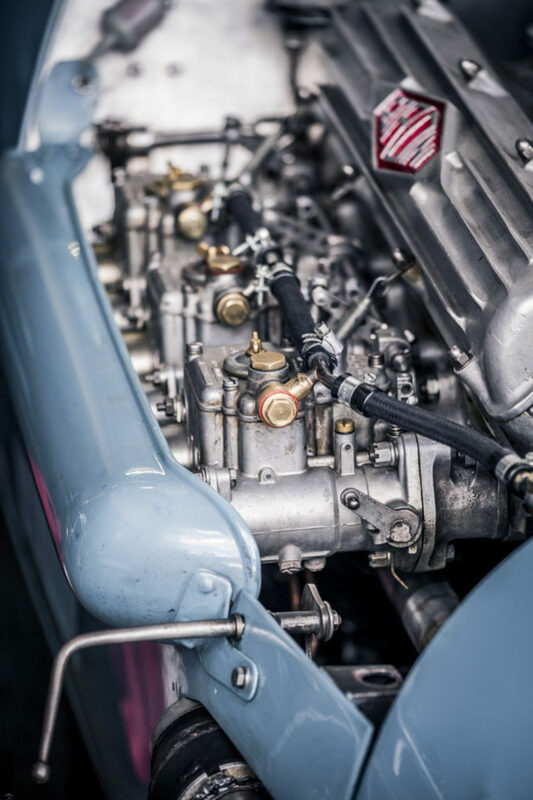 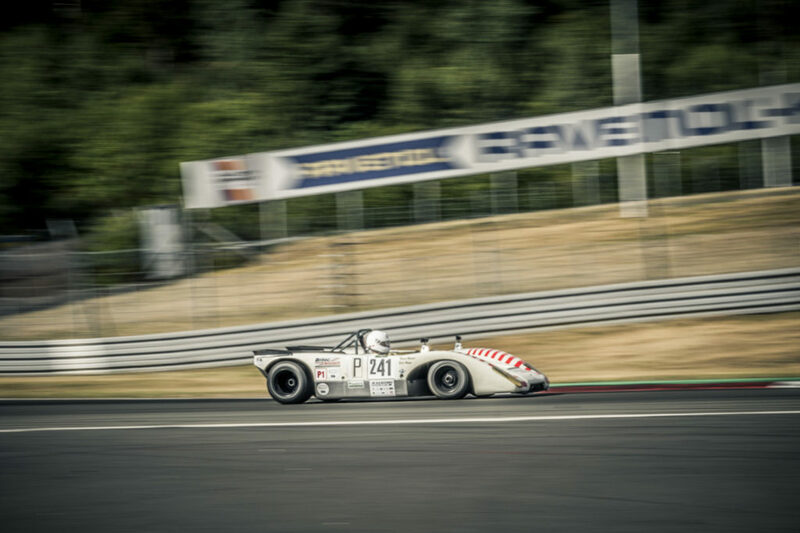 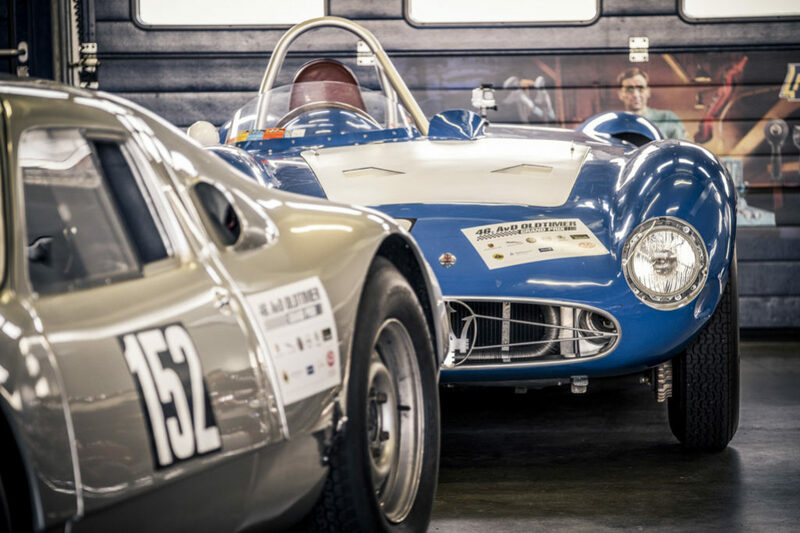 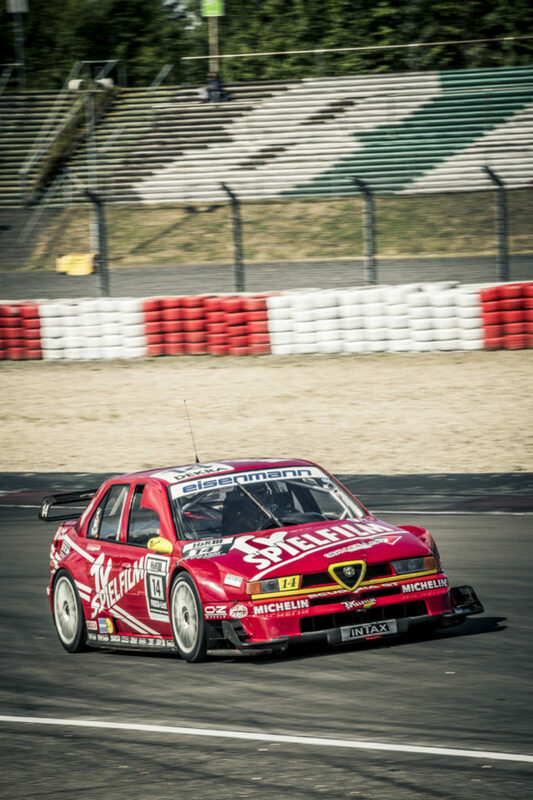 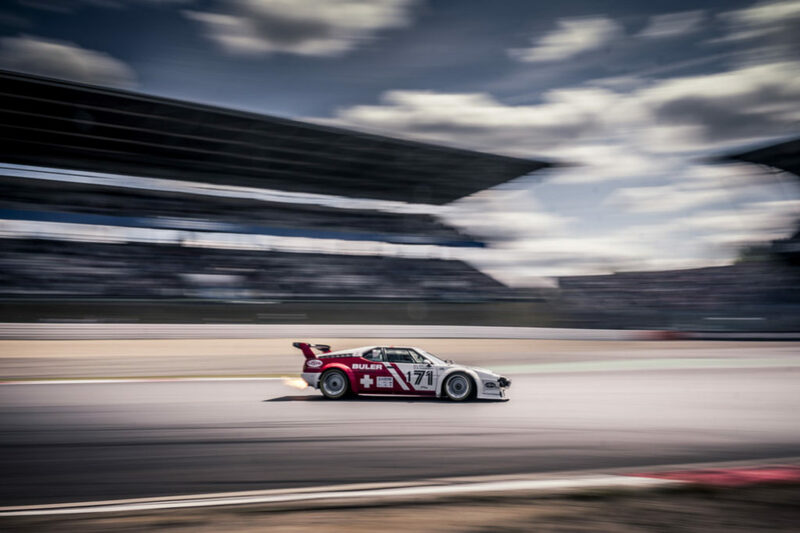 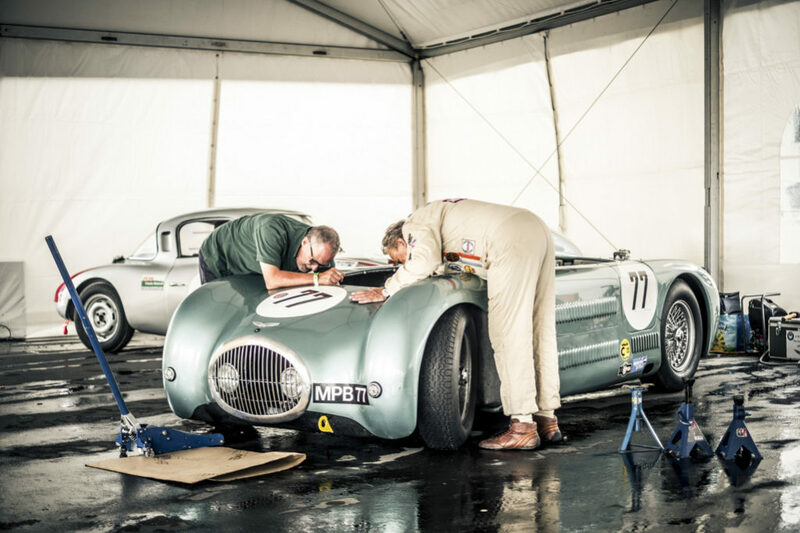 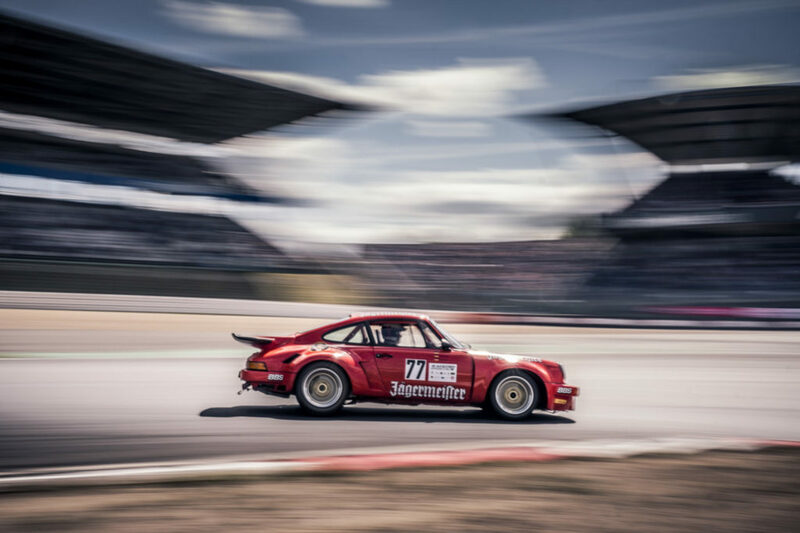 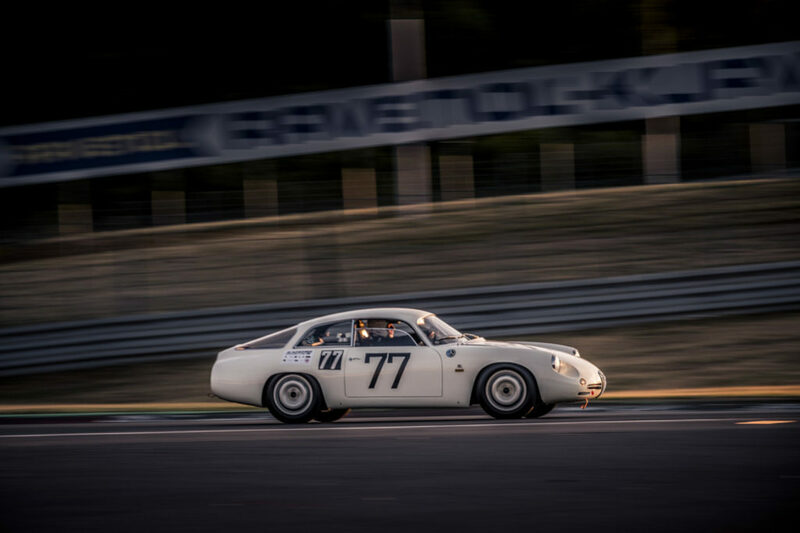 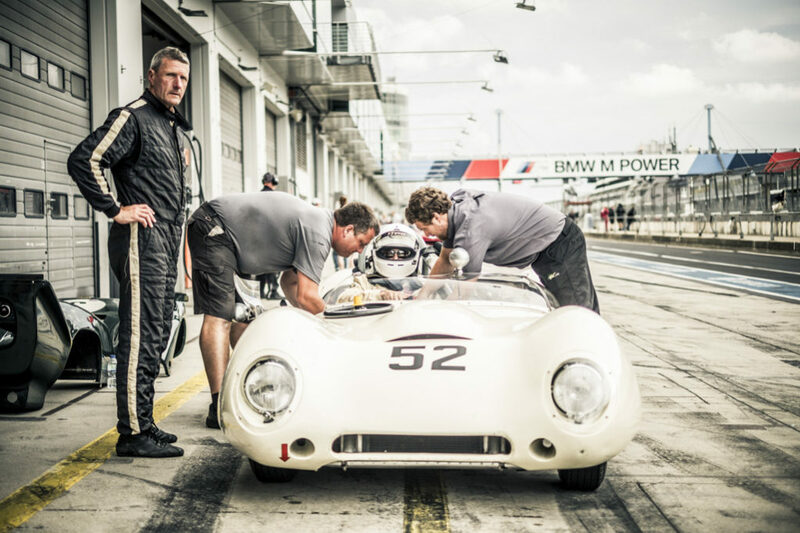 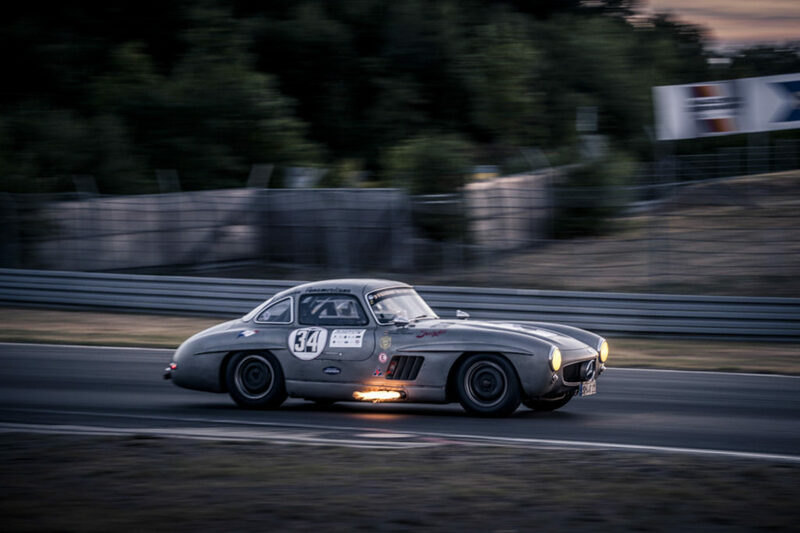 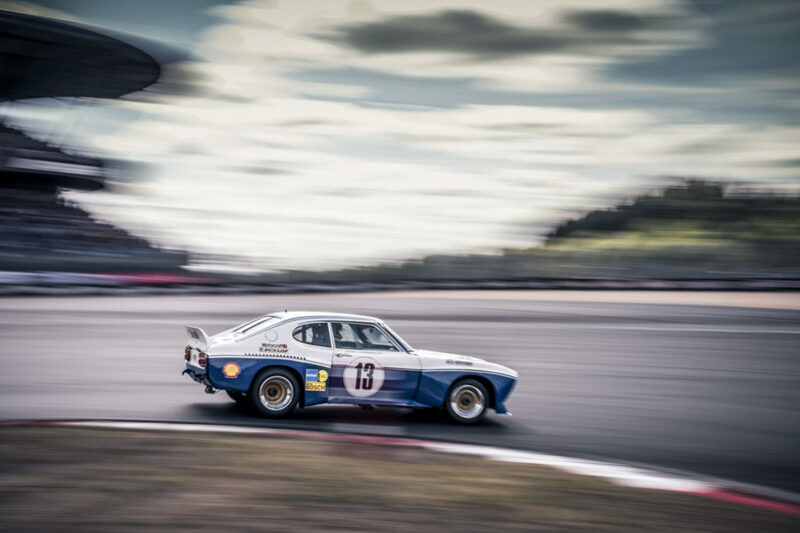 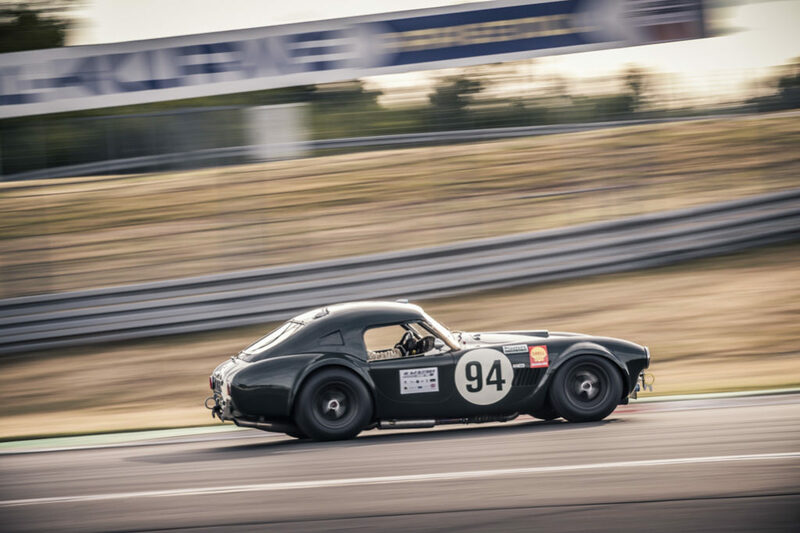 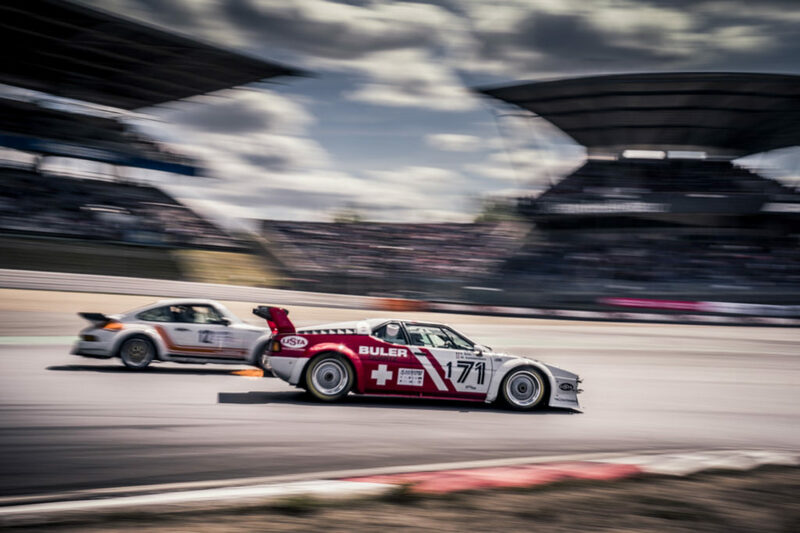 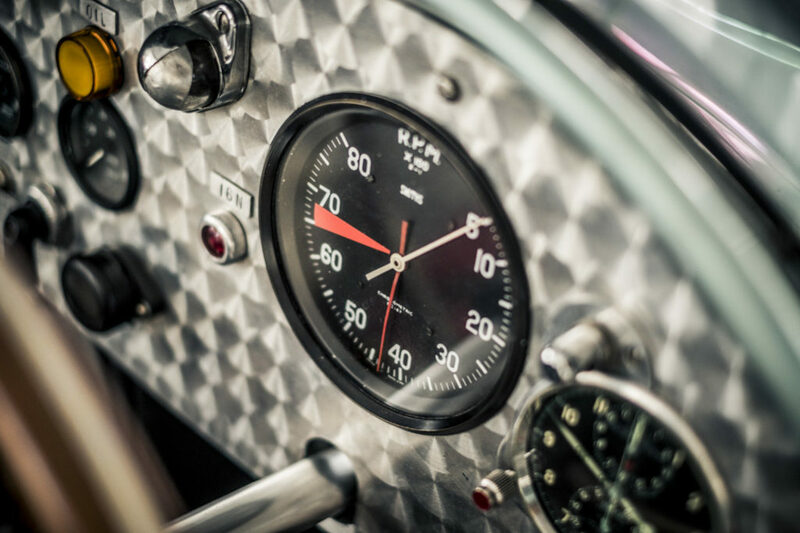 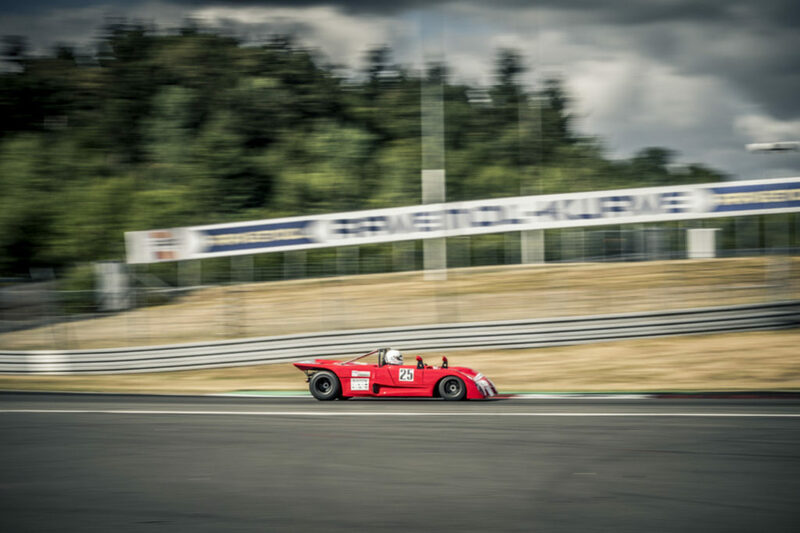 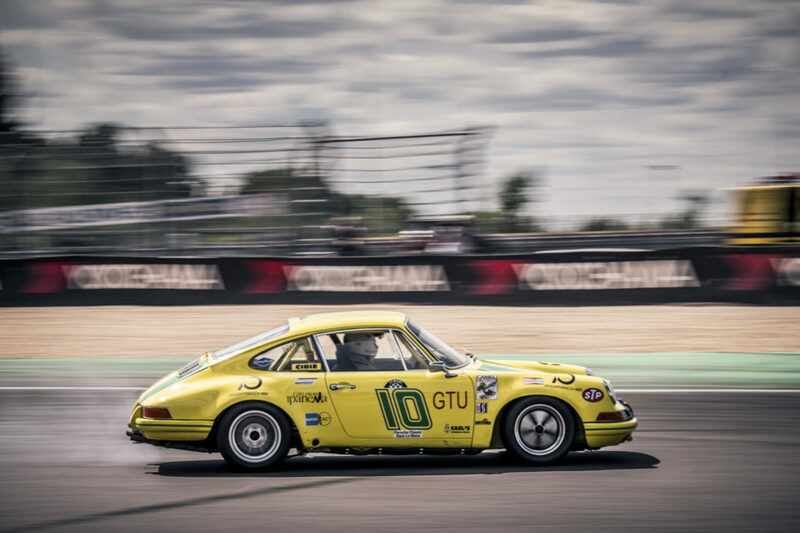 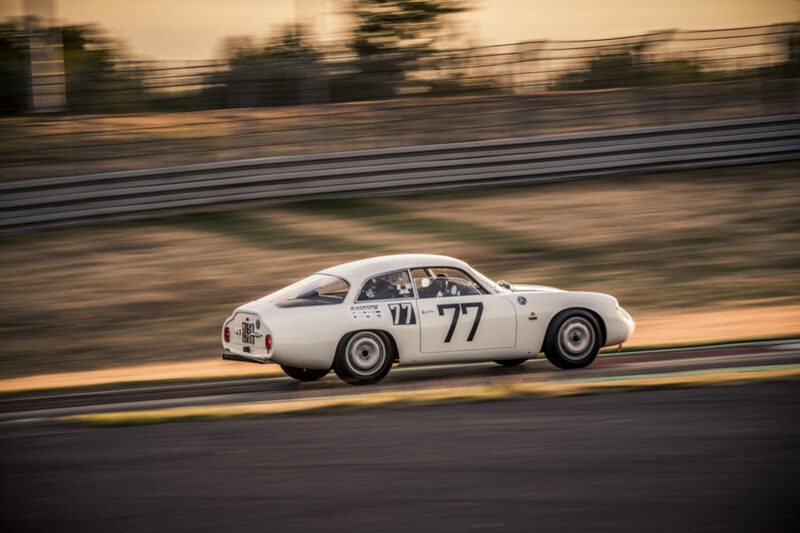 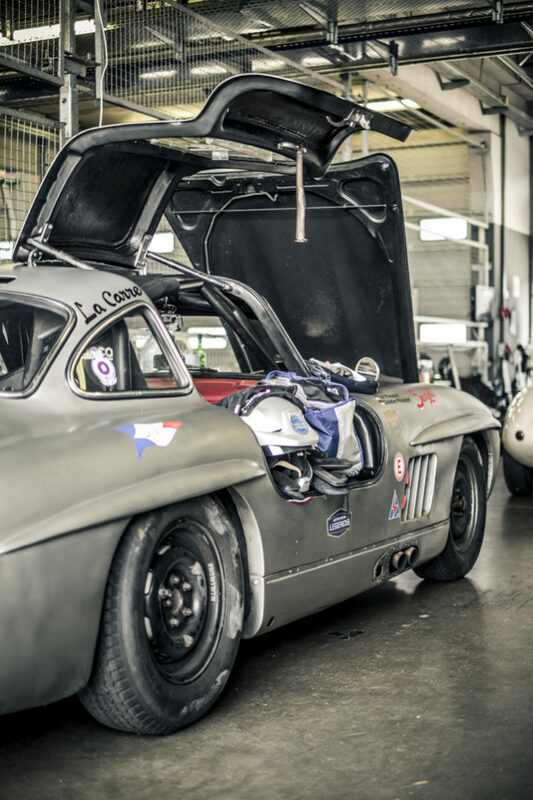 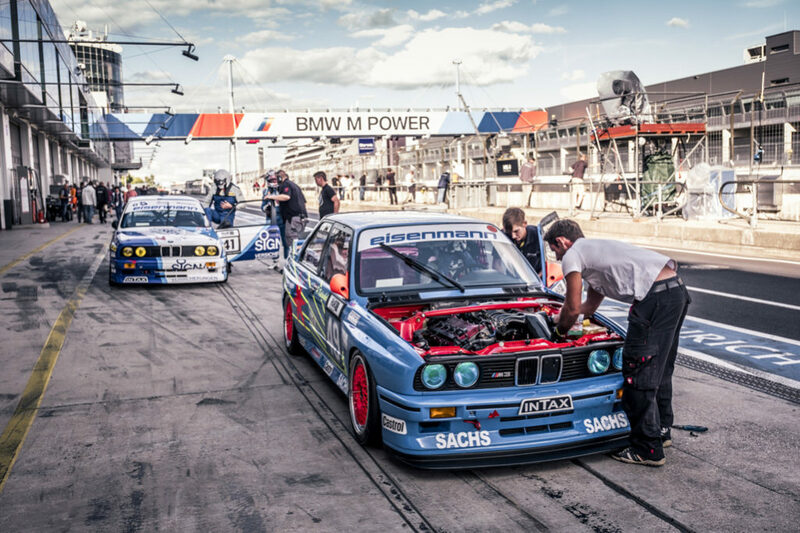 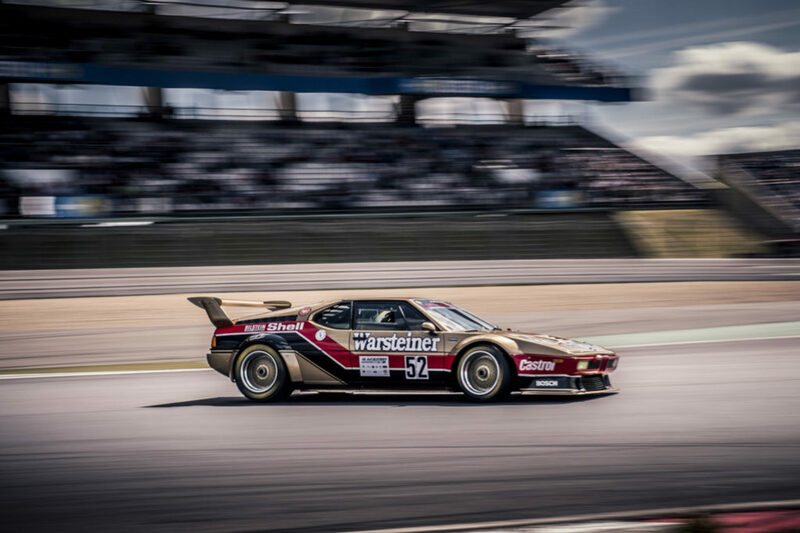 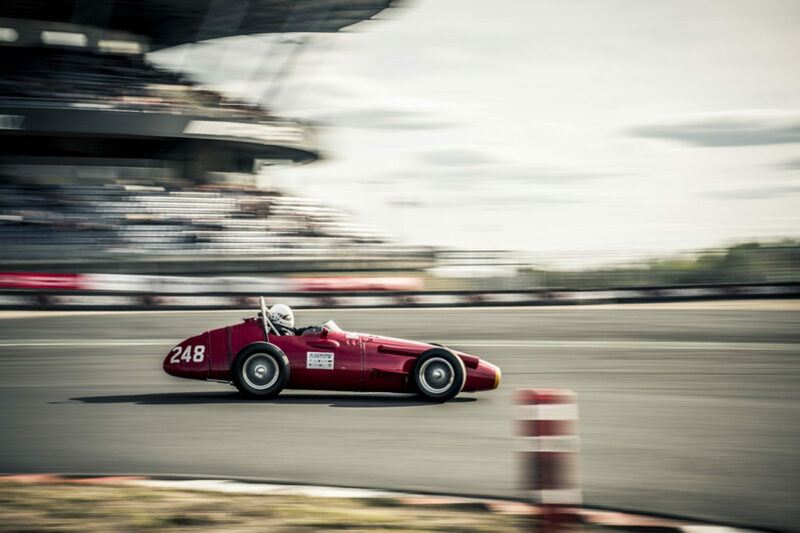 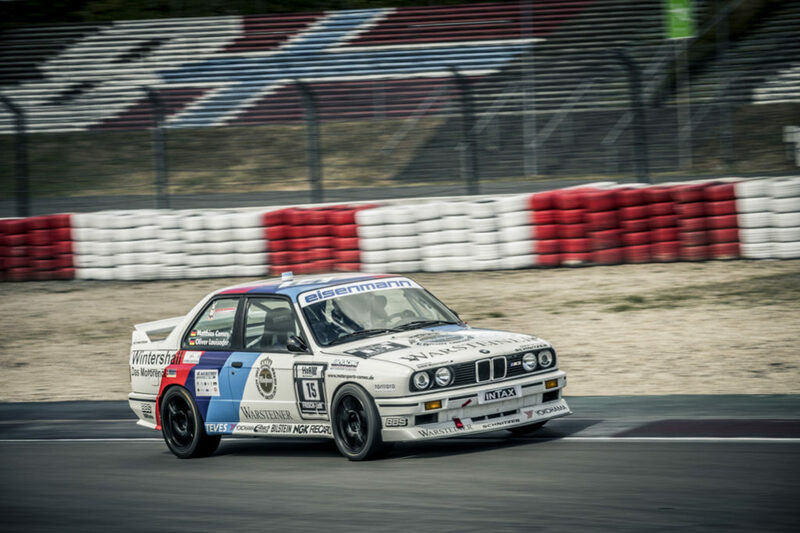 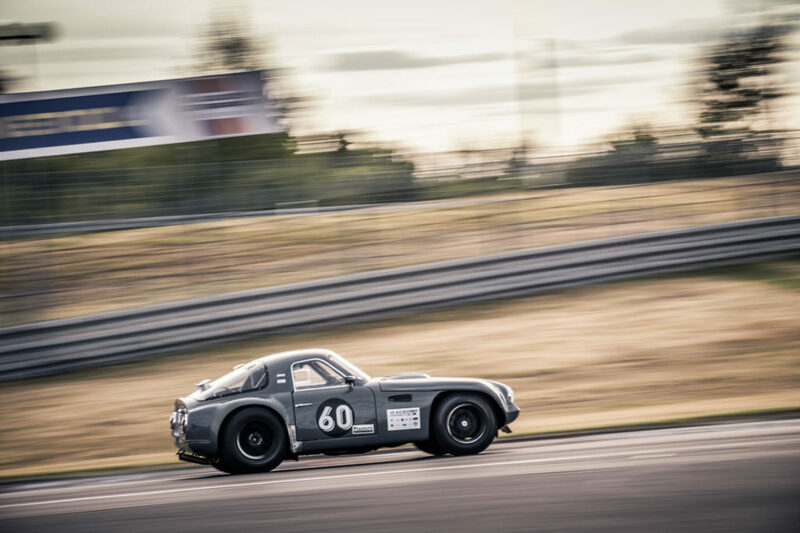 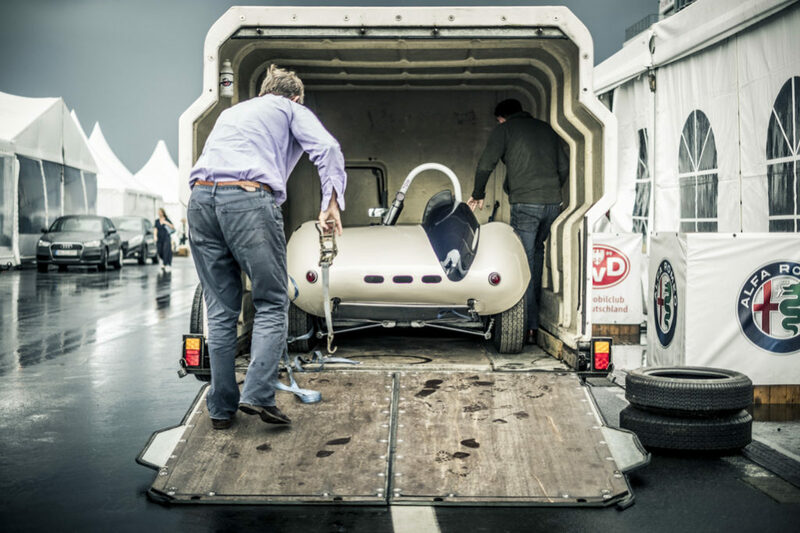 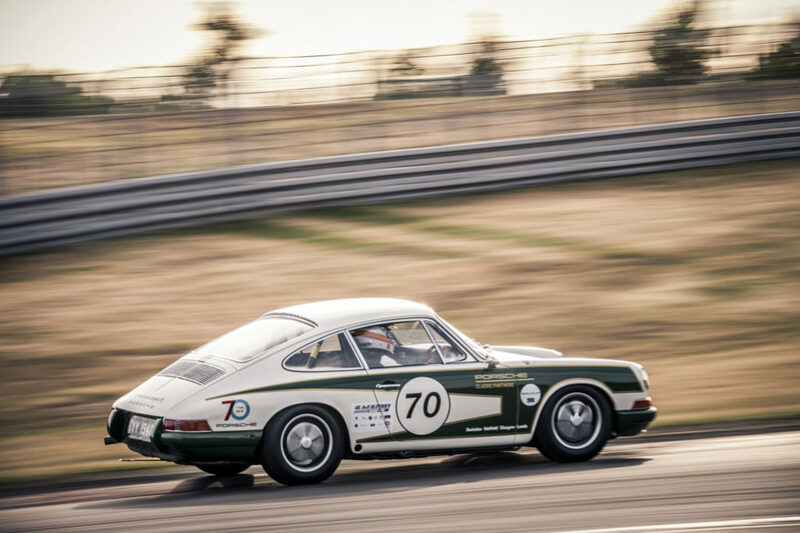 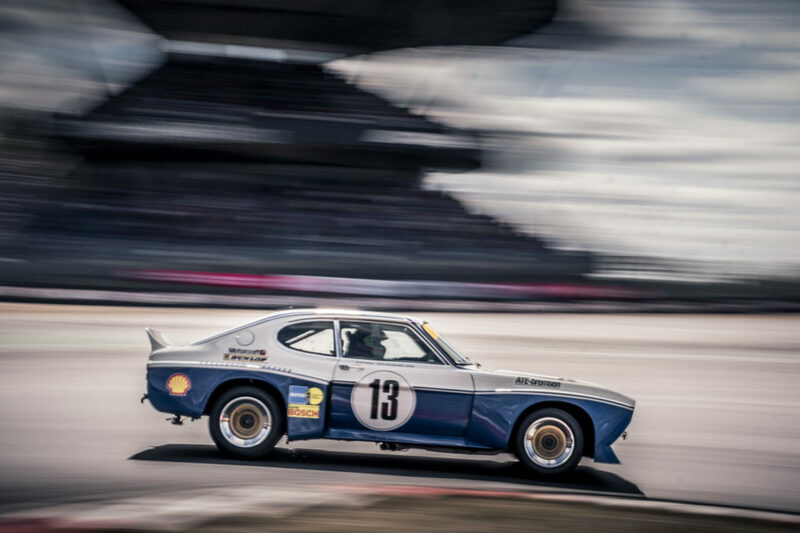 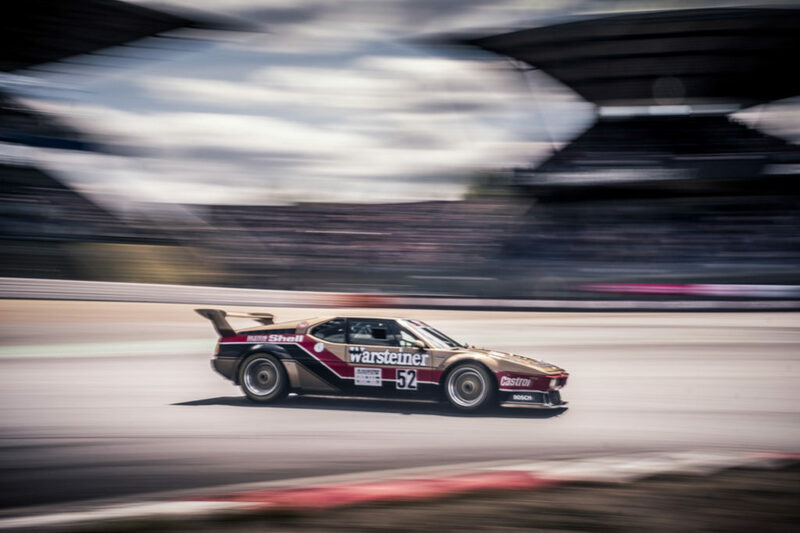 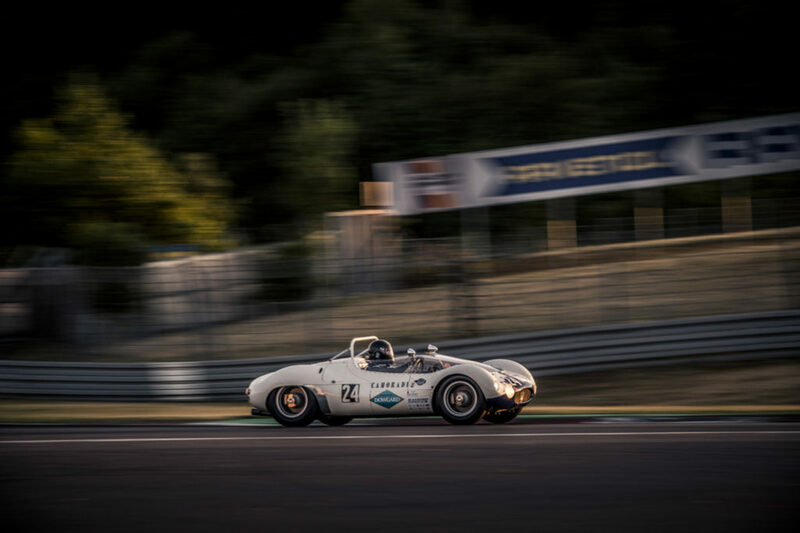 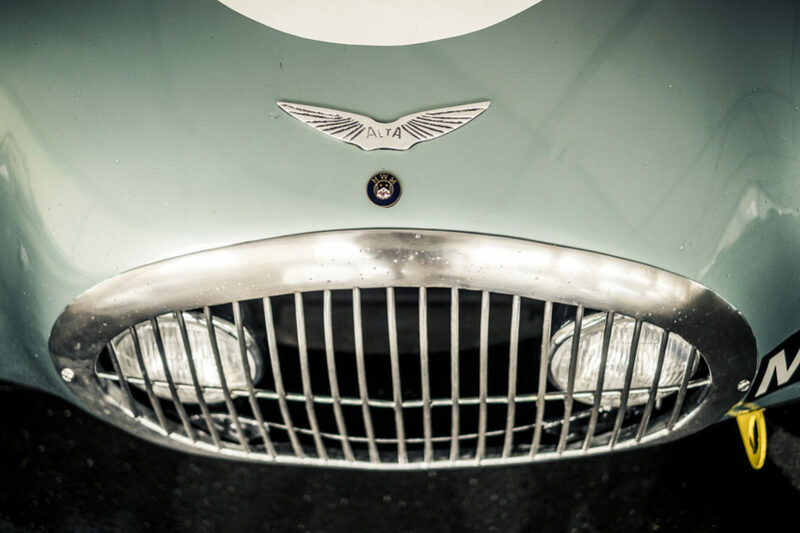 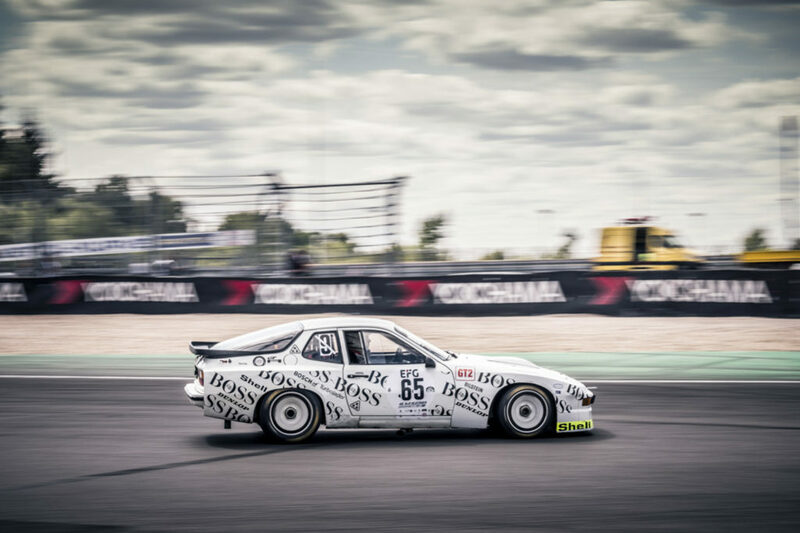 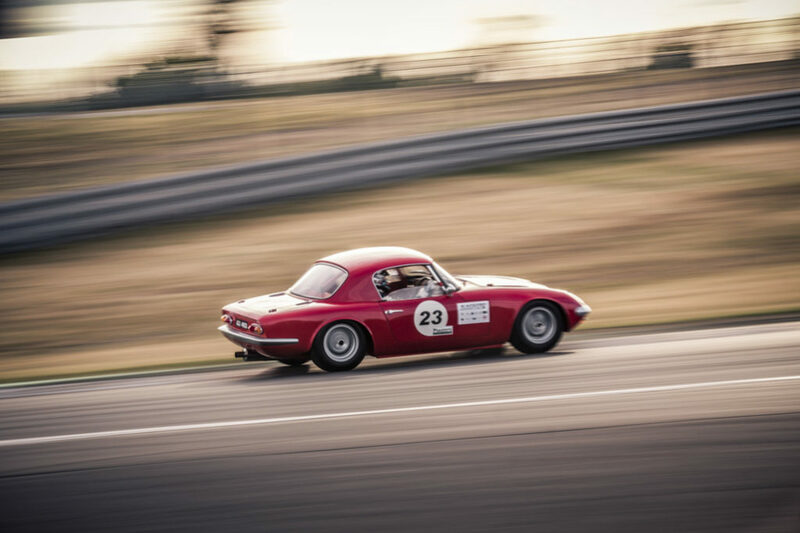 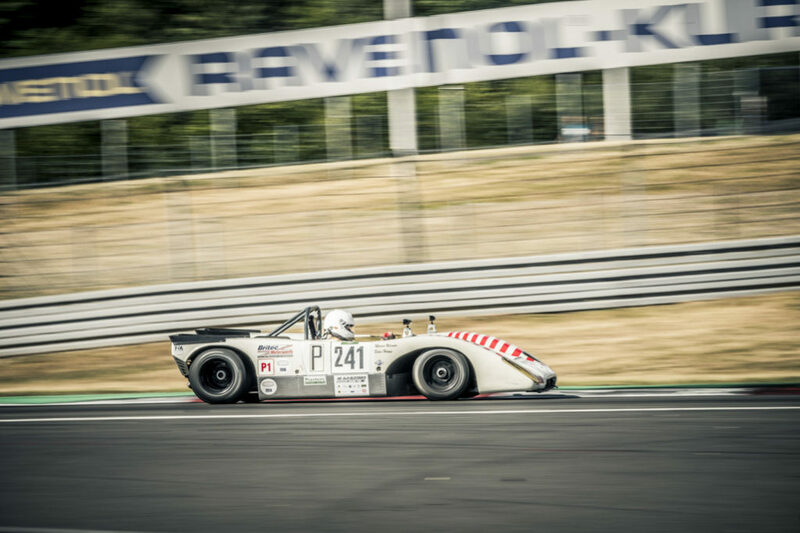 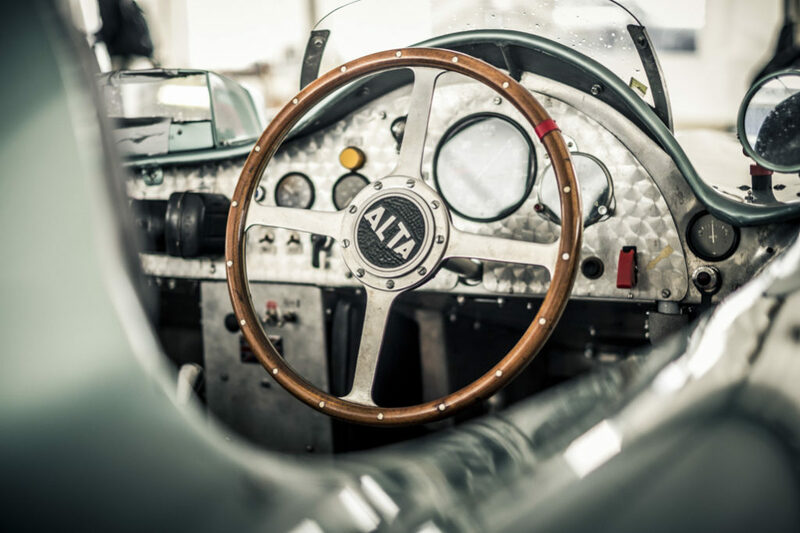 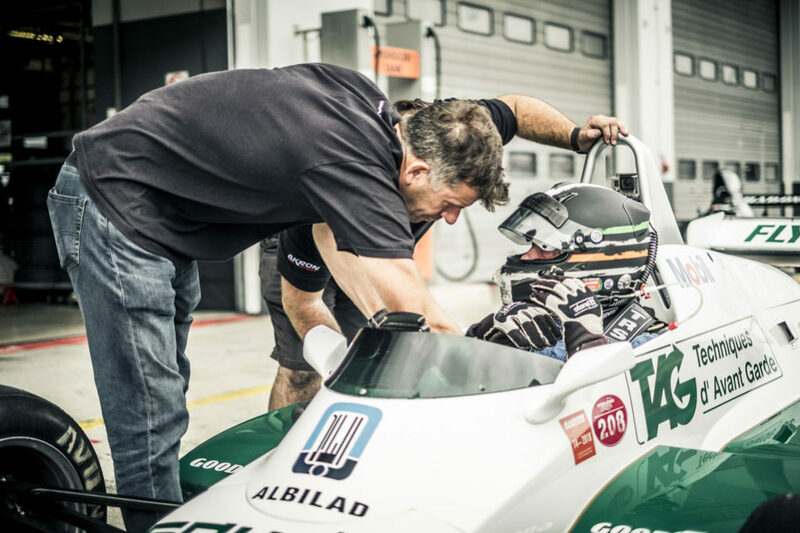 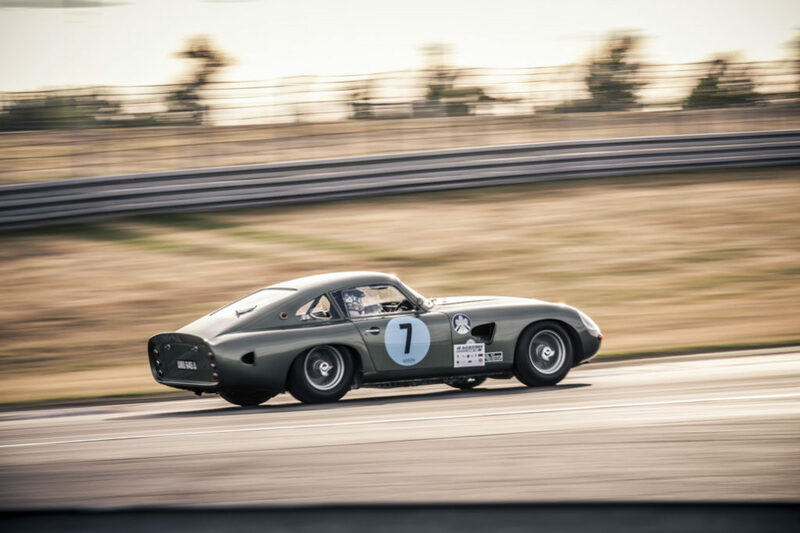 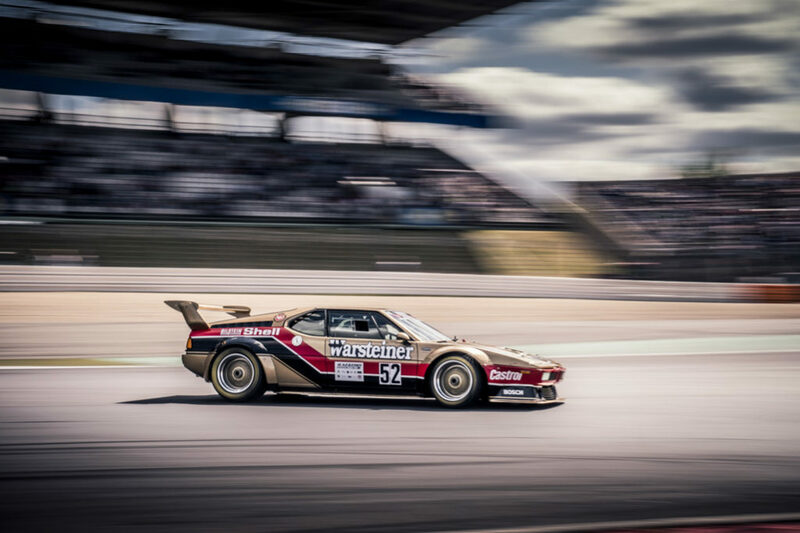 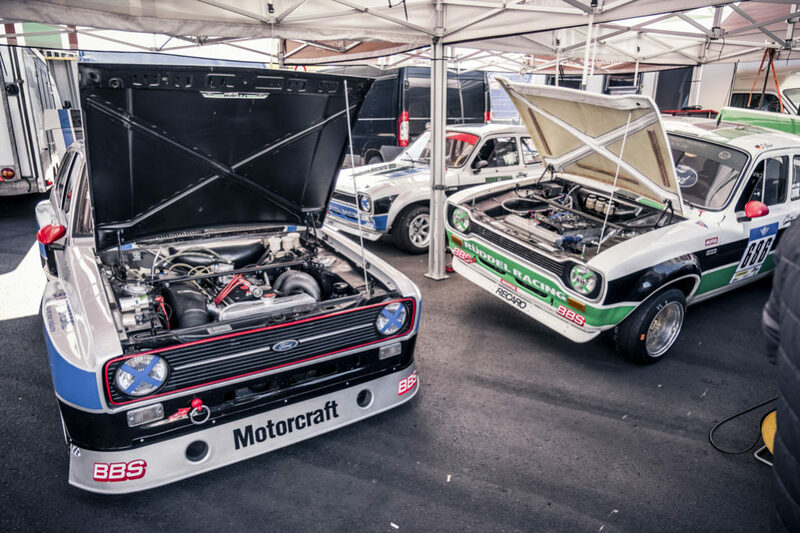 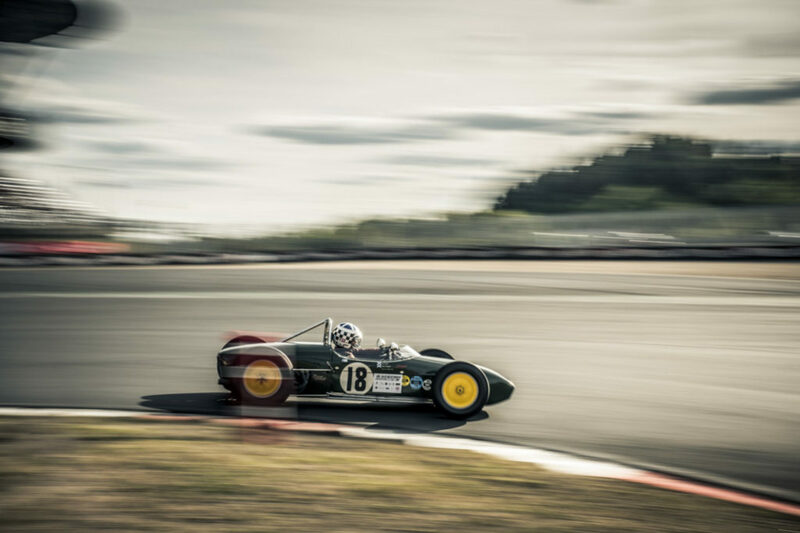 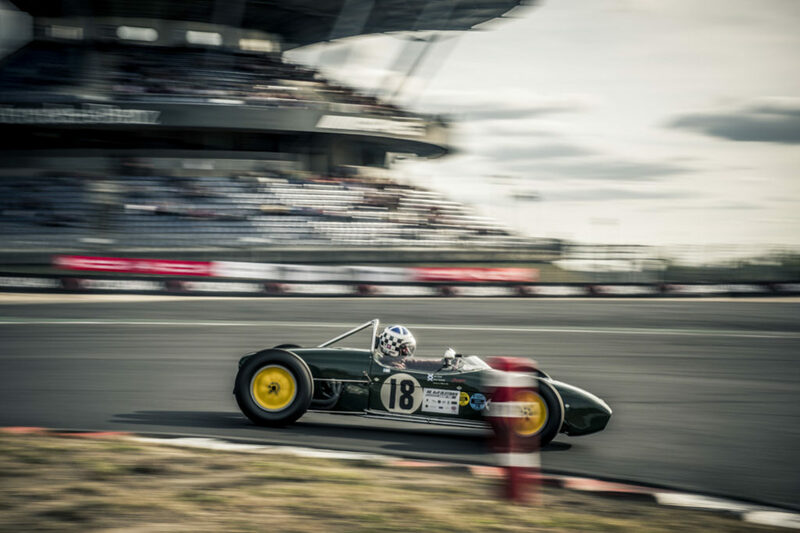 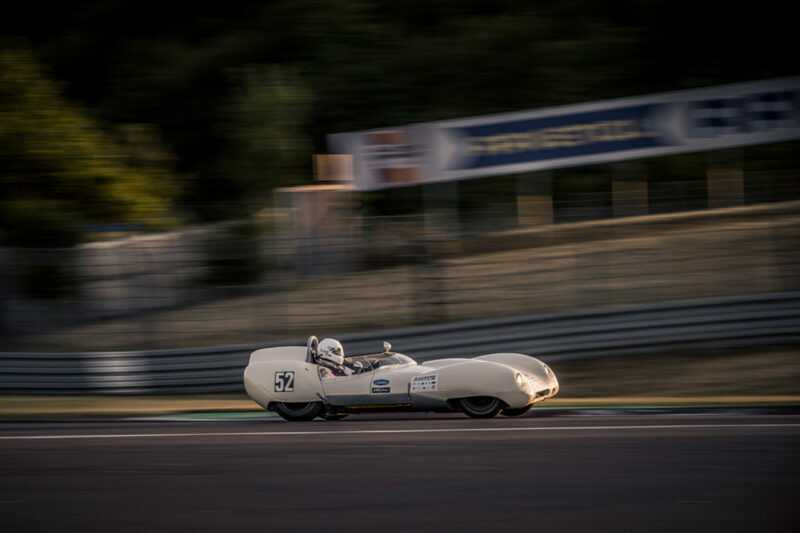 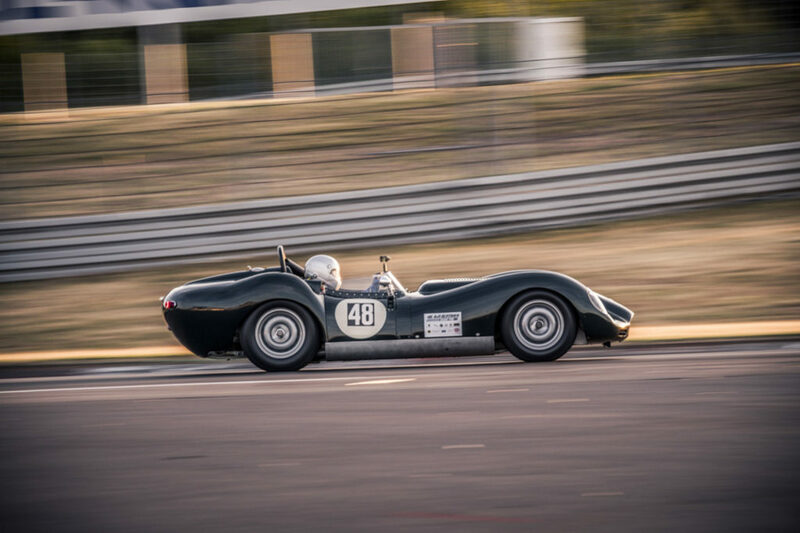 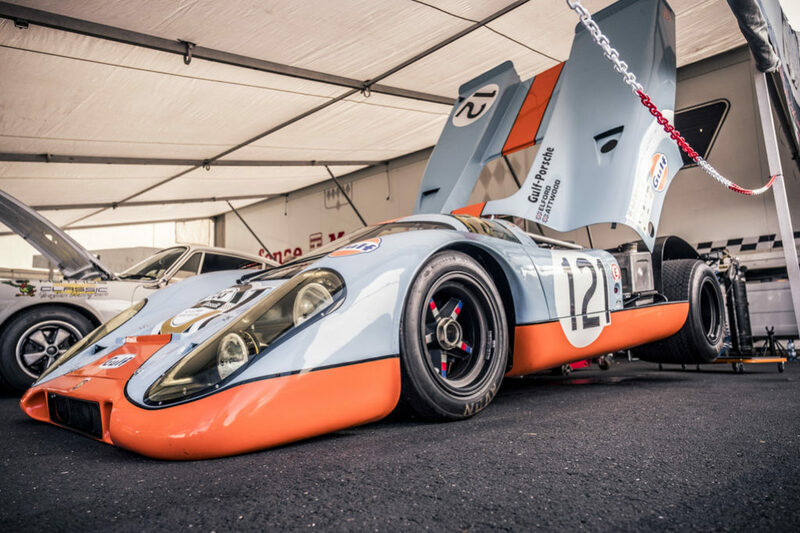 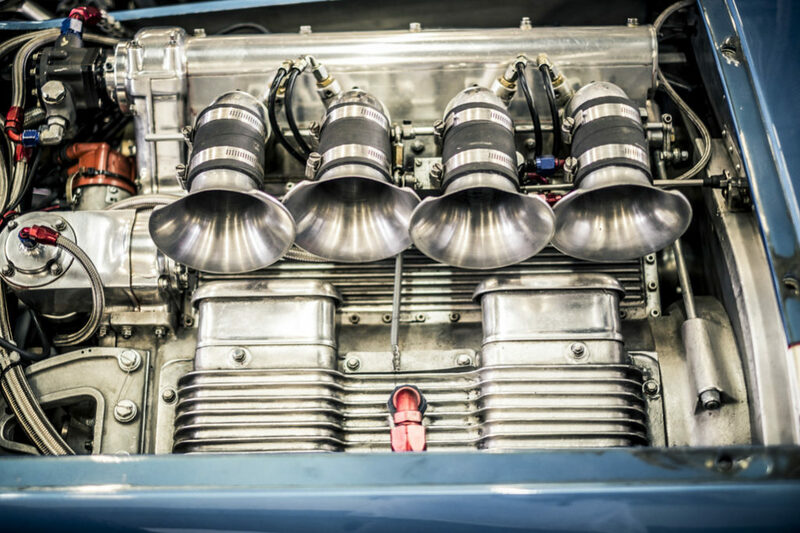 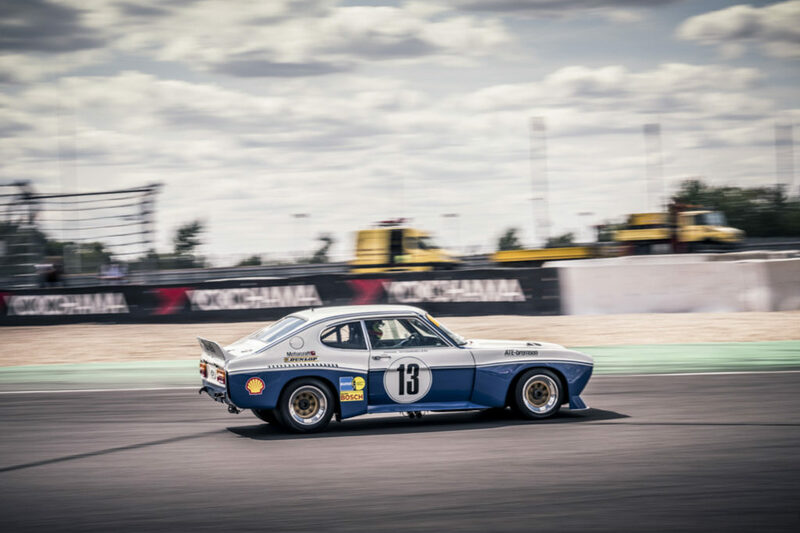 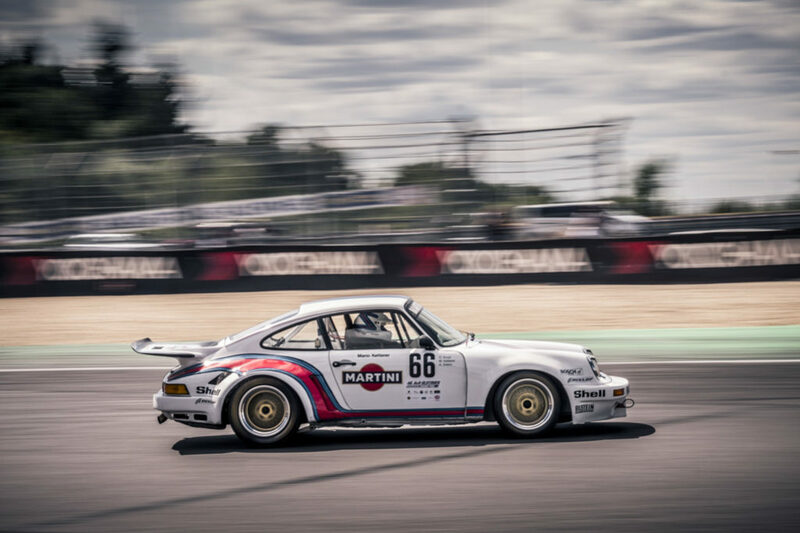 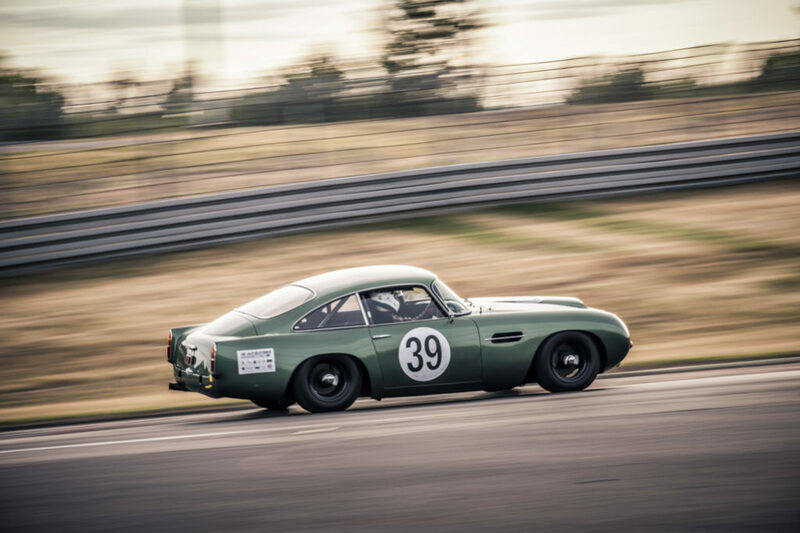 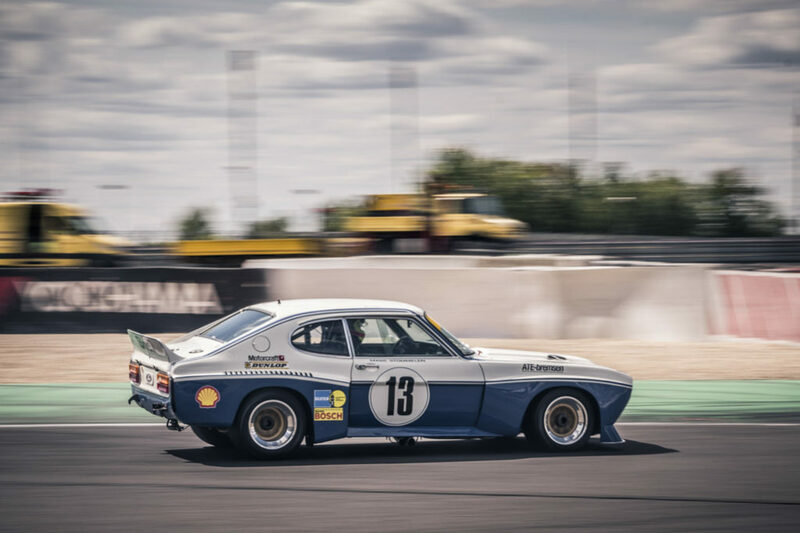 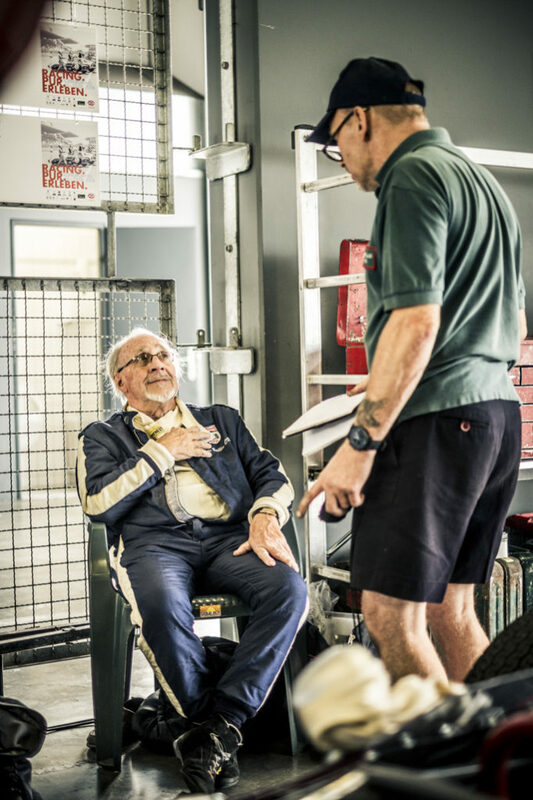 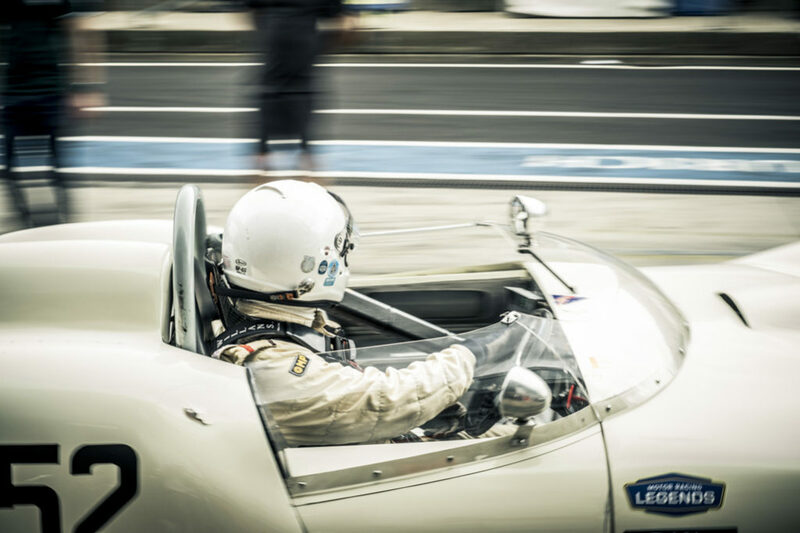 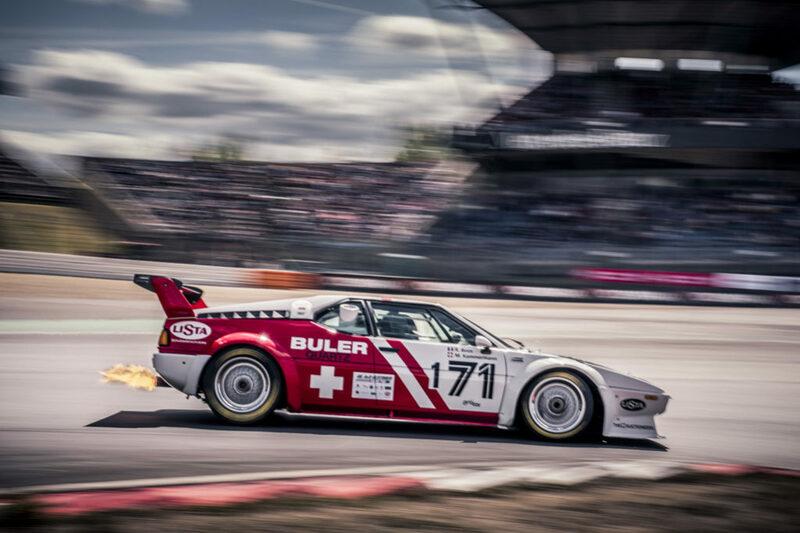 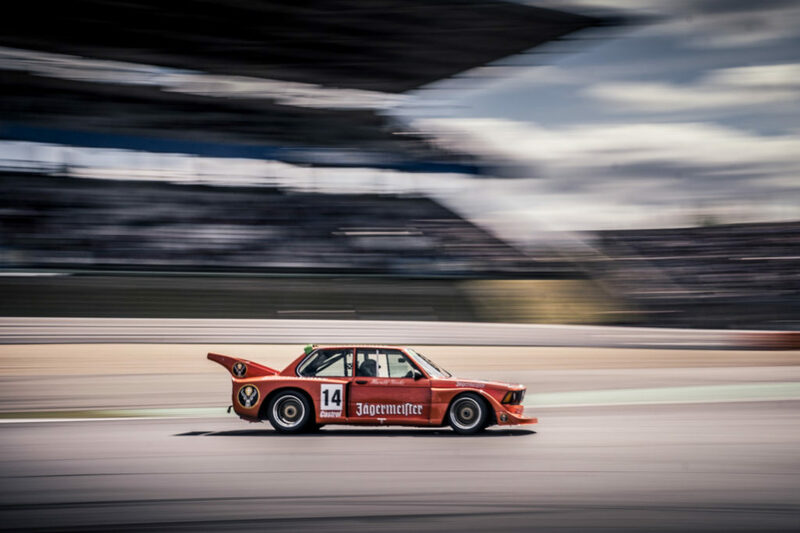 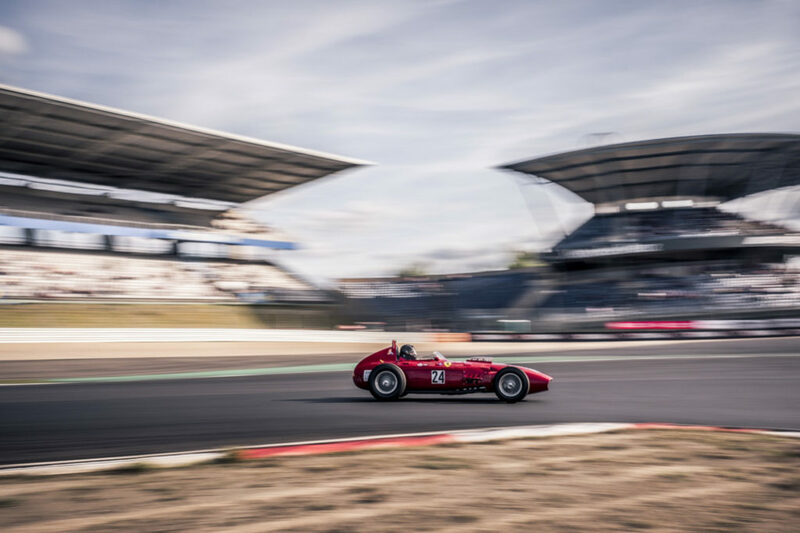 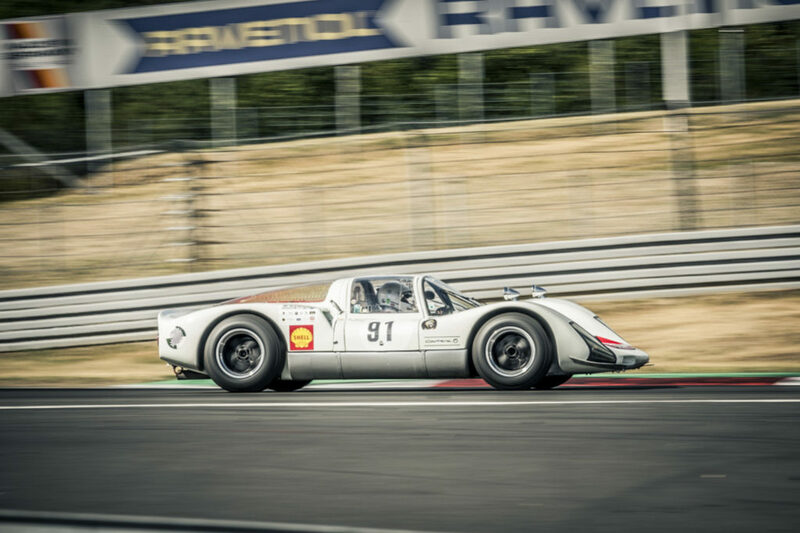 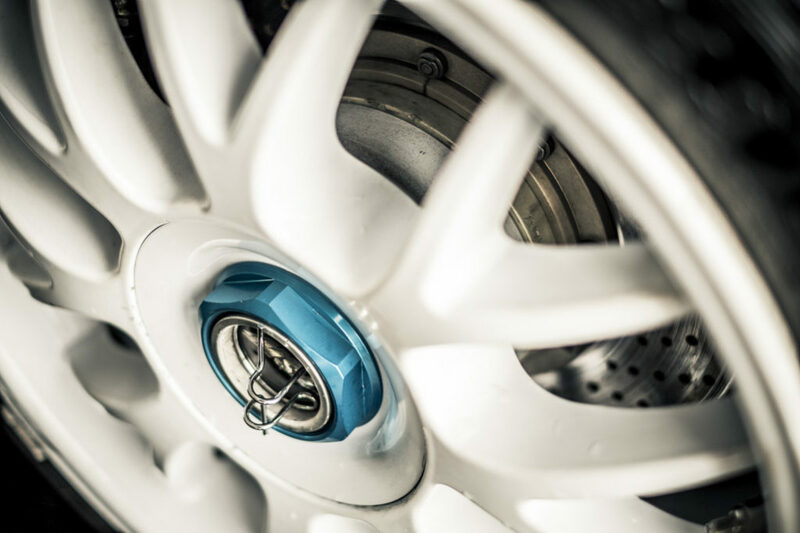 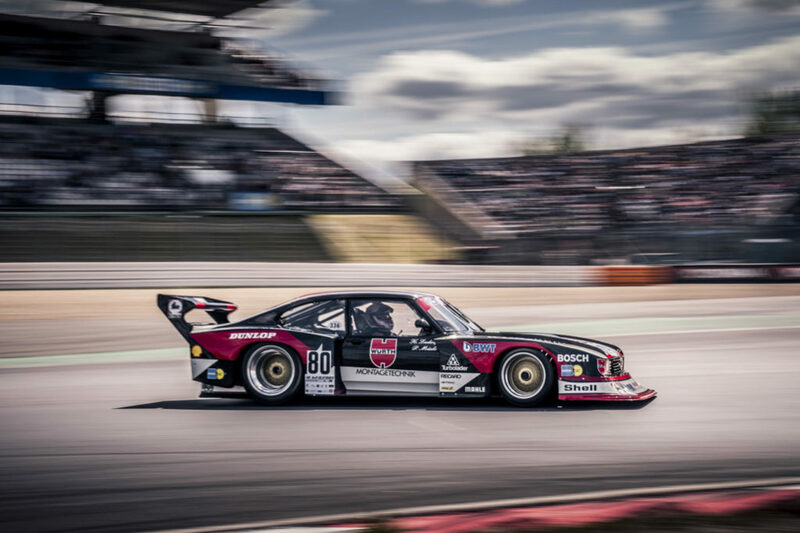 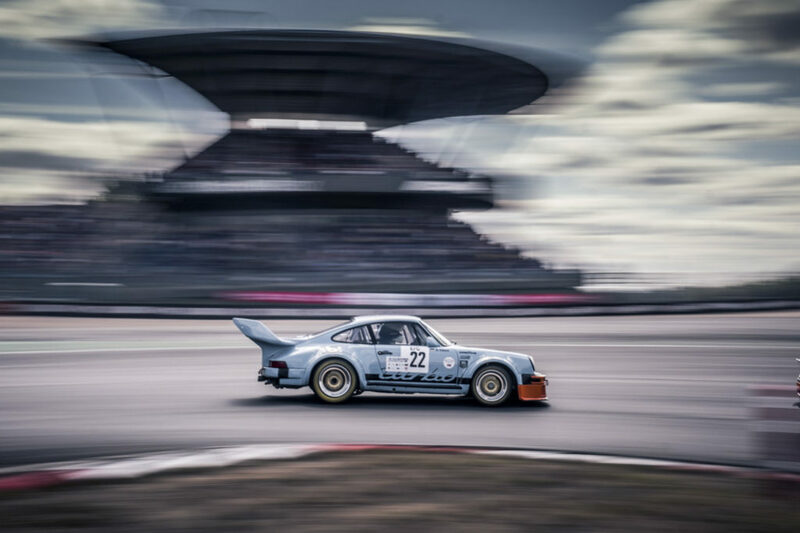 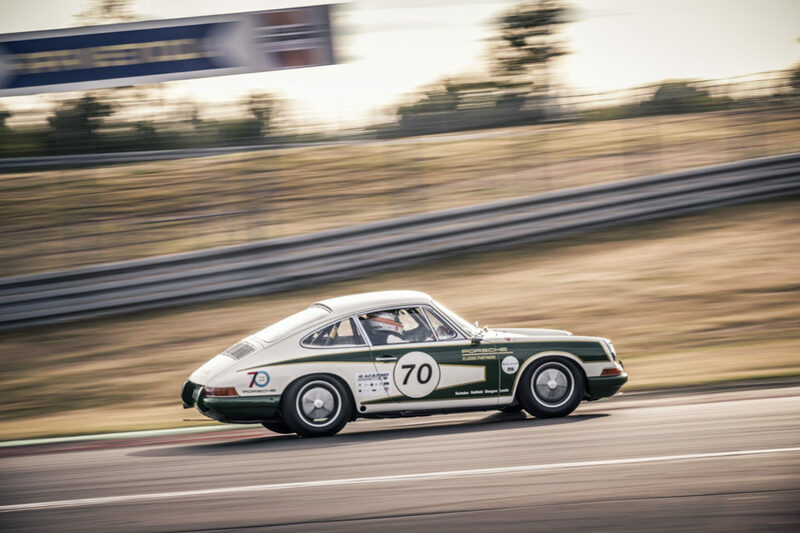 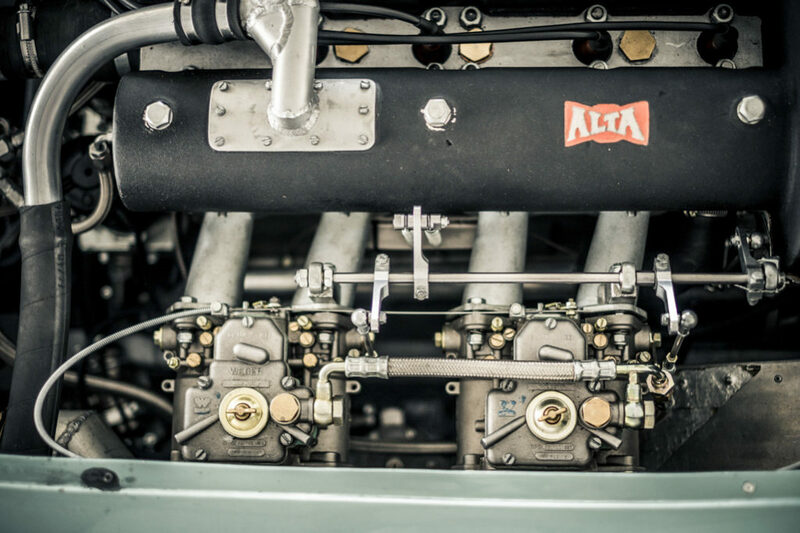 Through the years, the AvD Oldtimer Grand Prix has grown from an event that was organised by and for just a few enthusiasts, to one of the larger classic car events of Germany. 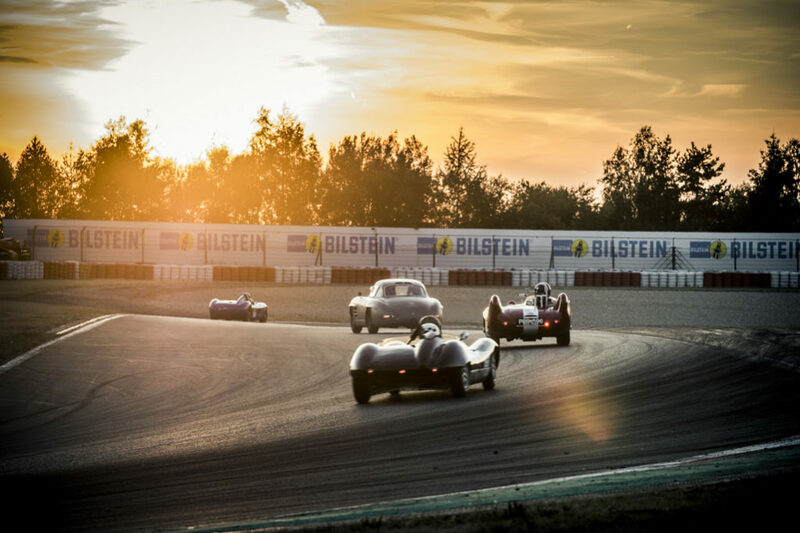 Some 50.000 spectators and fans visit the event during the course of three days. 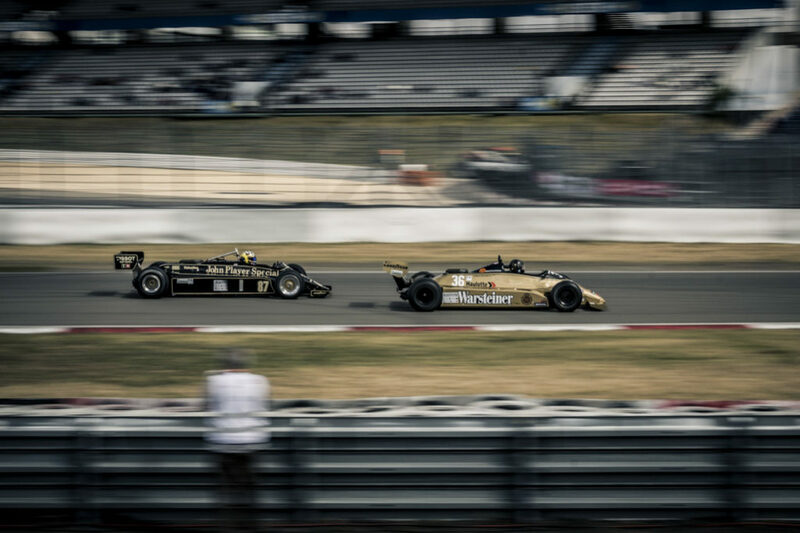 While a lot has changed since the early days, one thing definitely has not: the ability to get very close to the action. 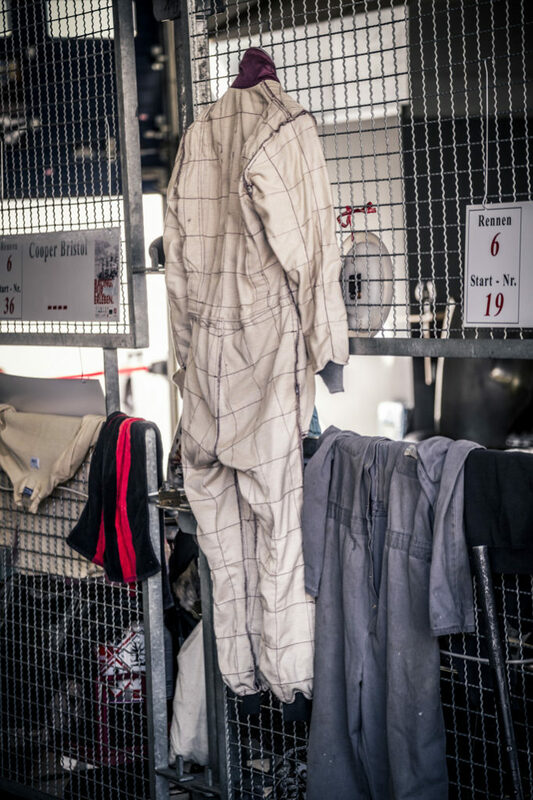 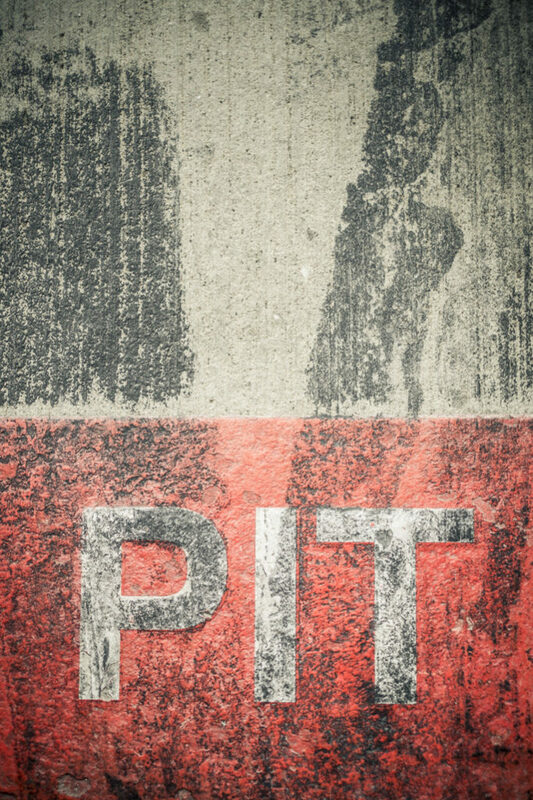 Walking through the paddock and behind the pit boxes, you can see your favourite cars up close, talk to the drivers and mechanics and get a really good idea of just how much effort every team puts into racing here. 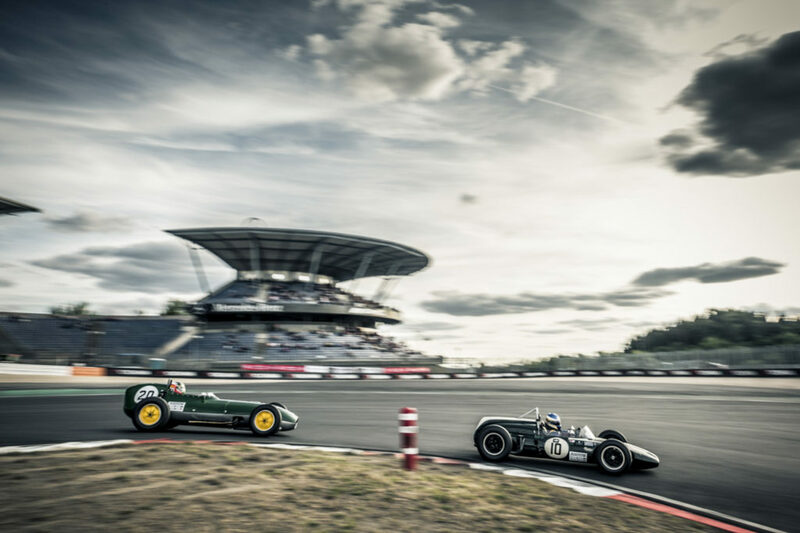 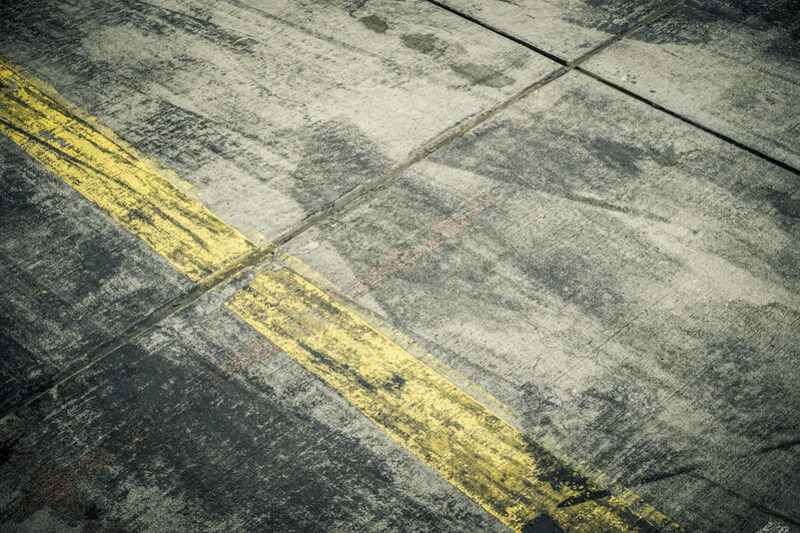 Almost all of the action takes place on the Grand Prix circuit at the Nürburgring, with the famous Nordschleife only being used for the trackday on Friday. 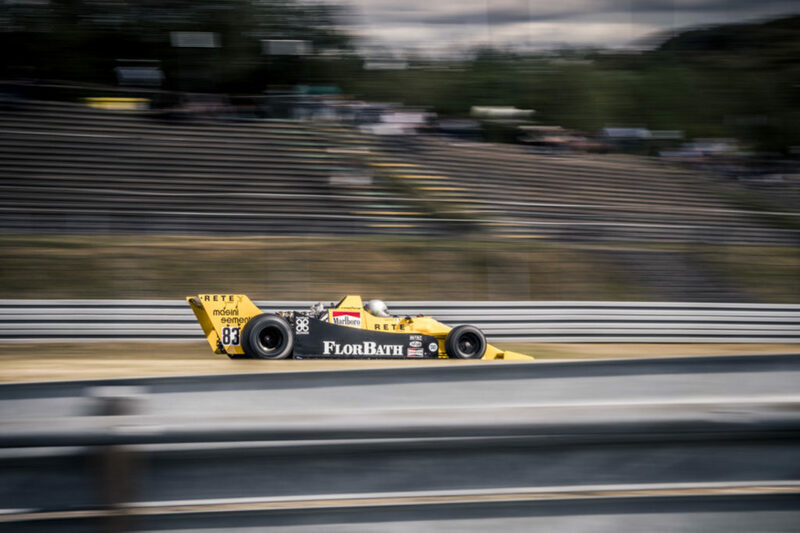 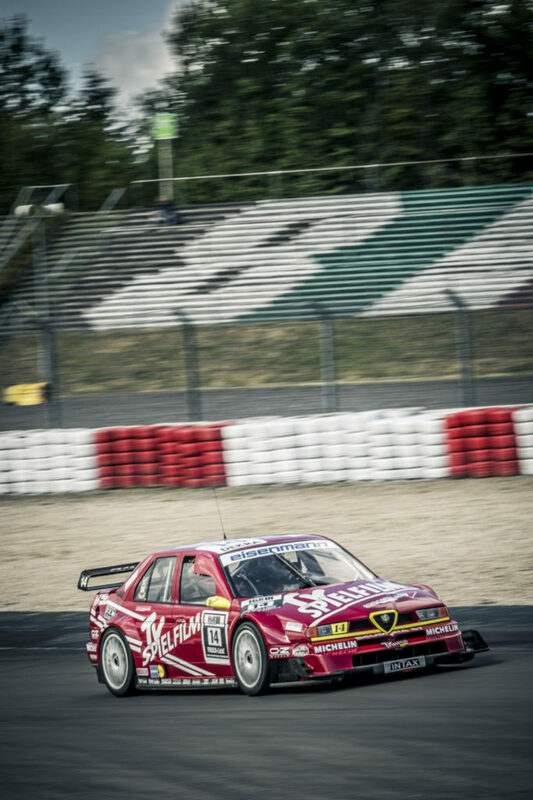 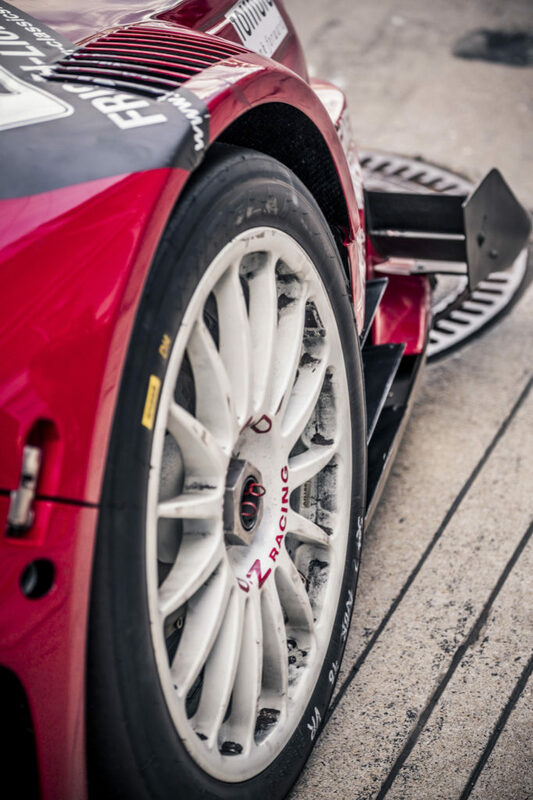 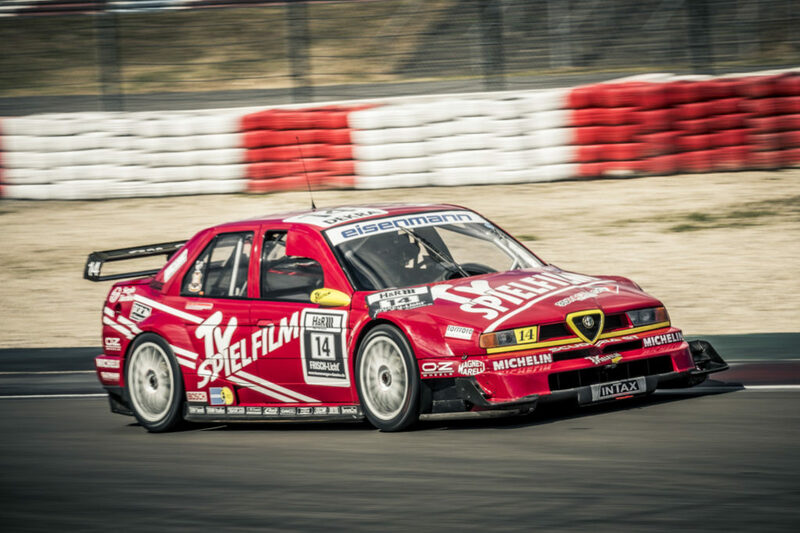 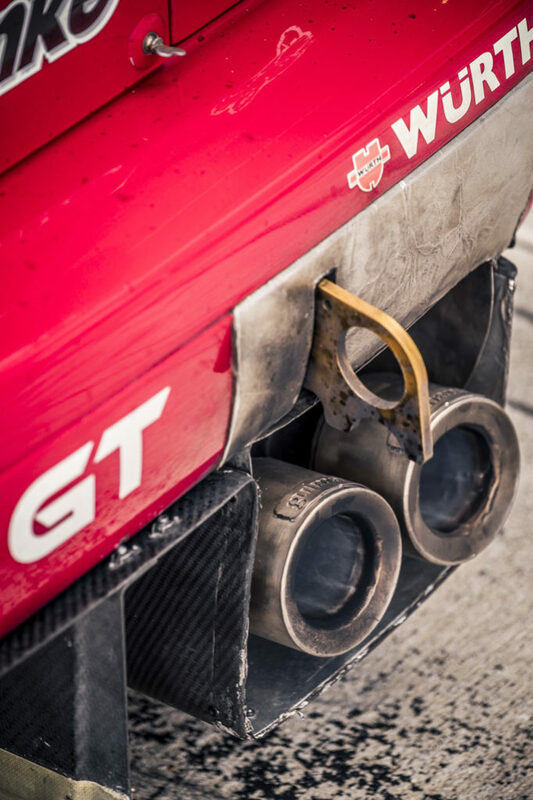 This still means you get to see some amazing cars on the ‘Green Hell’, but there’s no real racing going on. 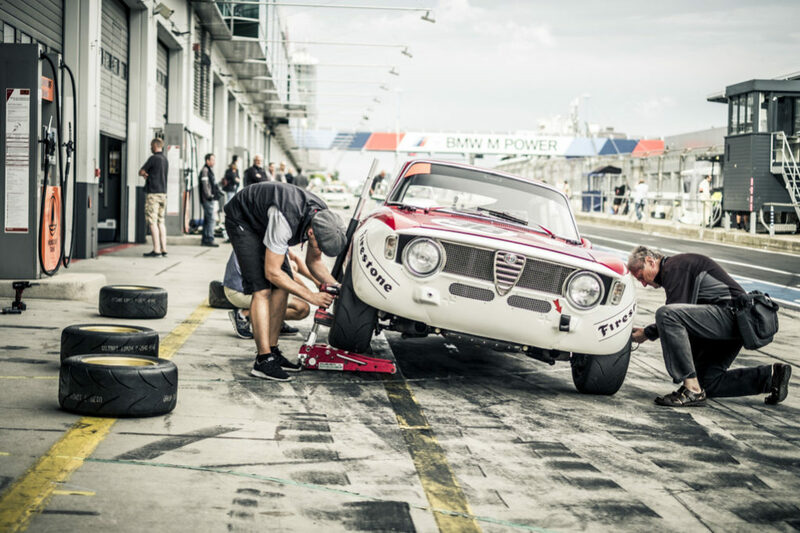 With fifteen classes racing on the GP circuit though, there’s always something to watch. 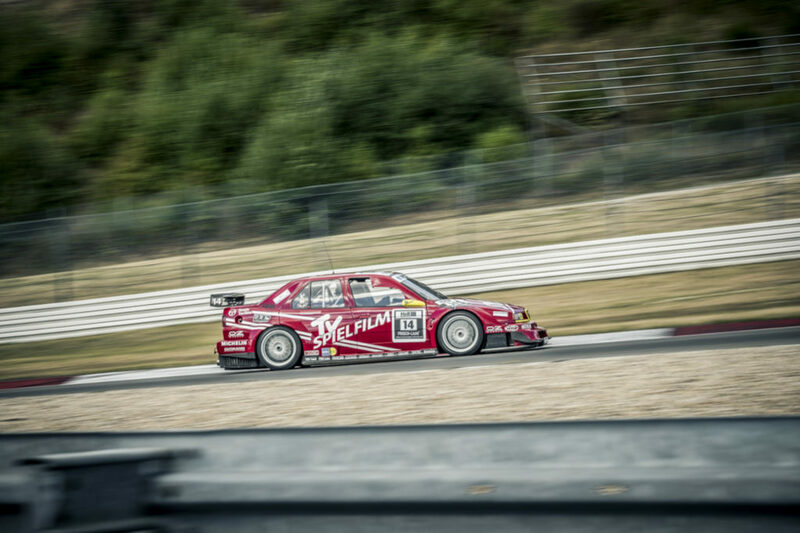 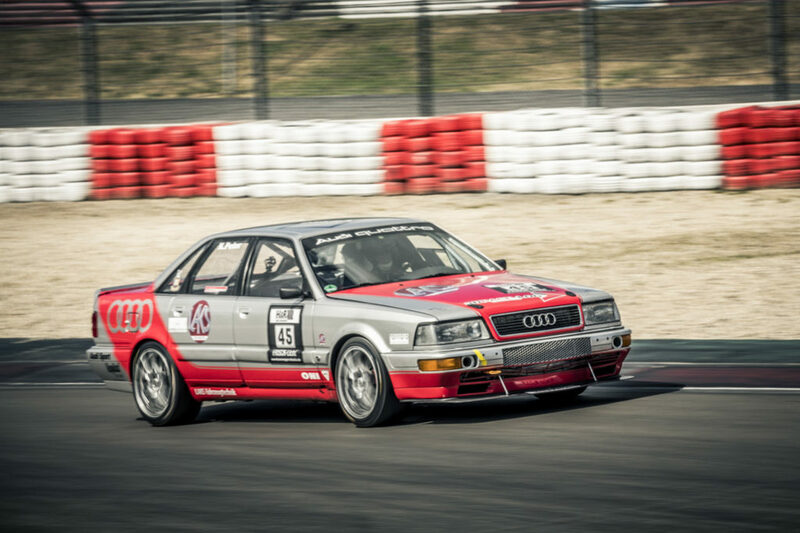 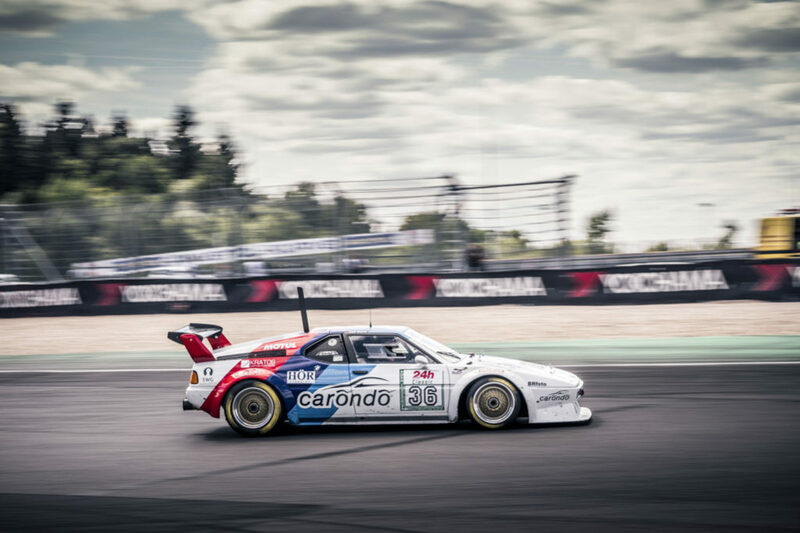 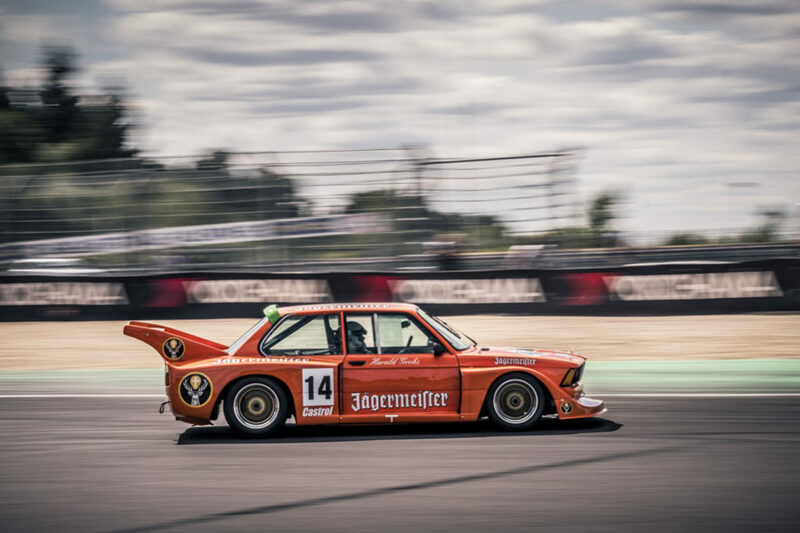 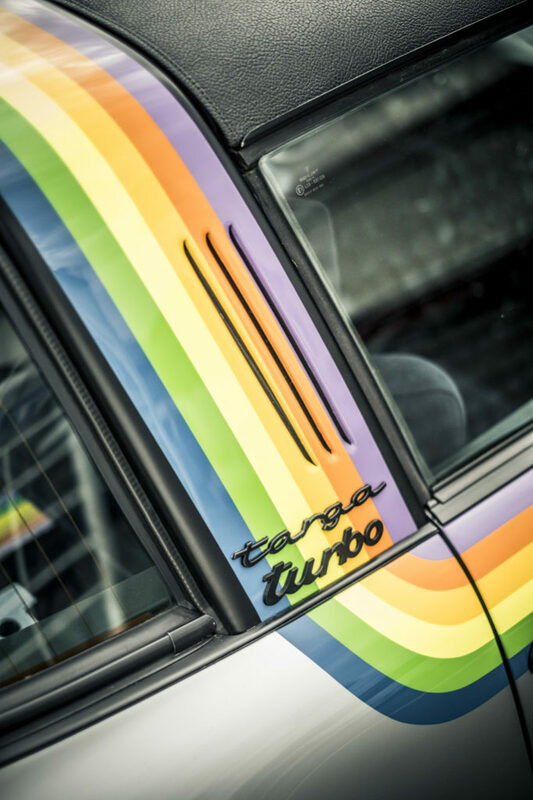 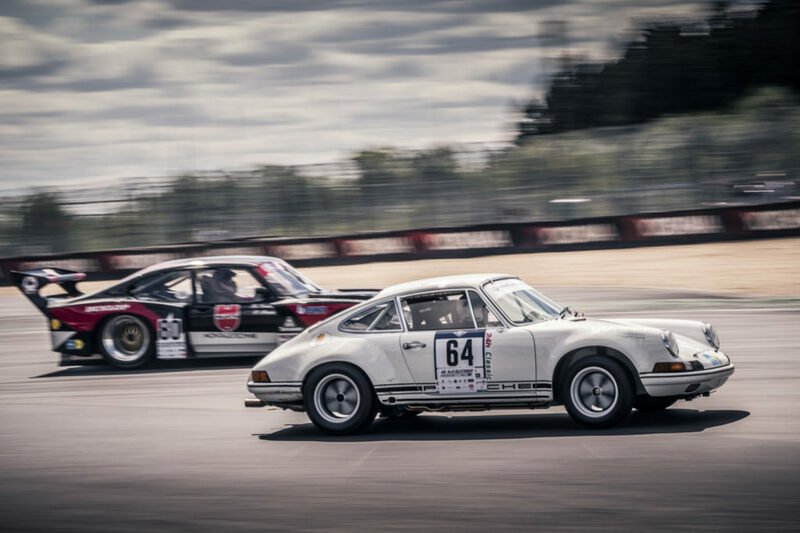 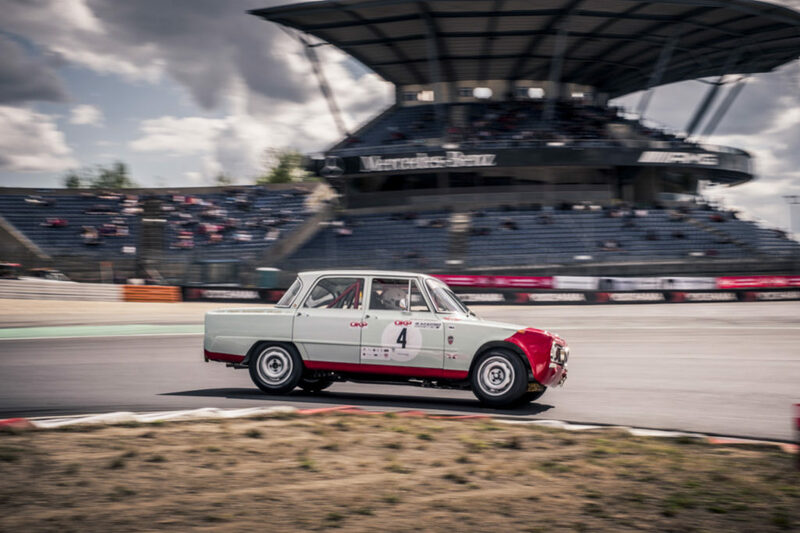 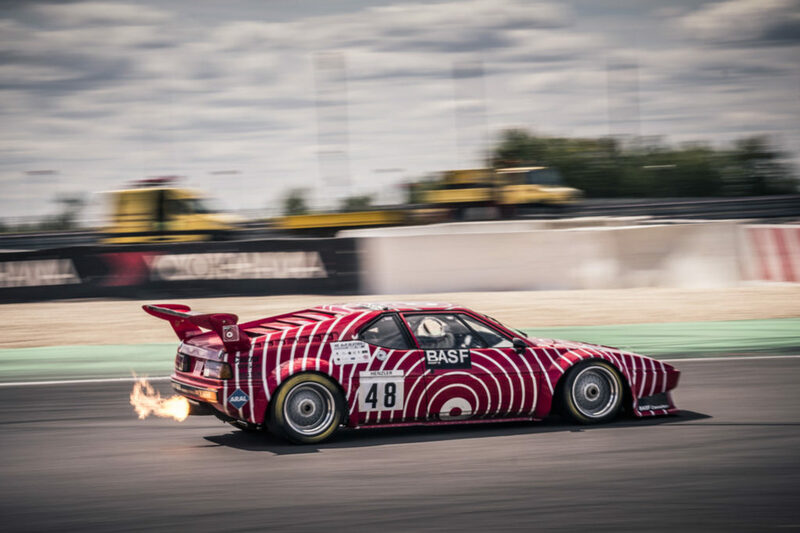 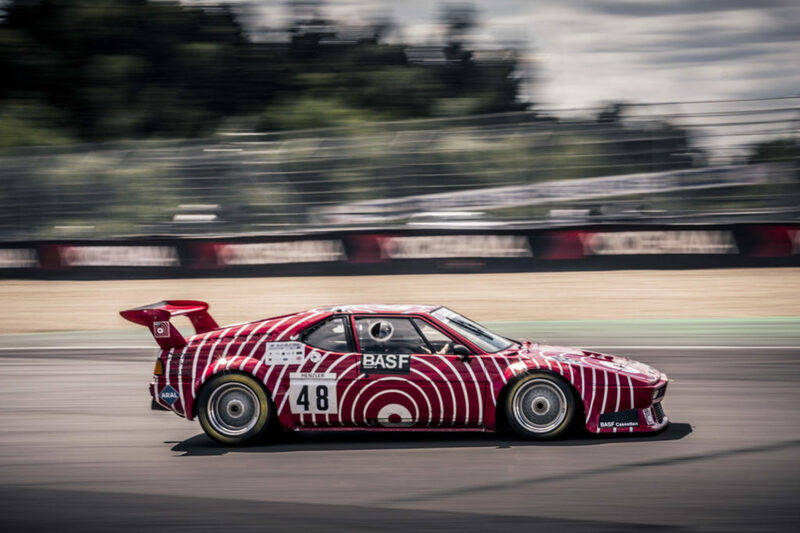 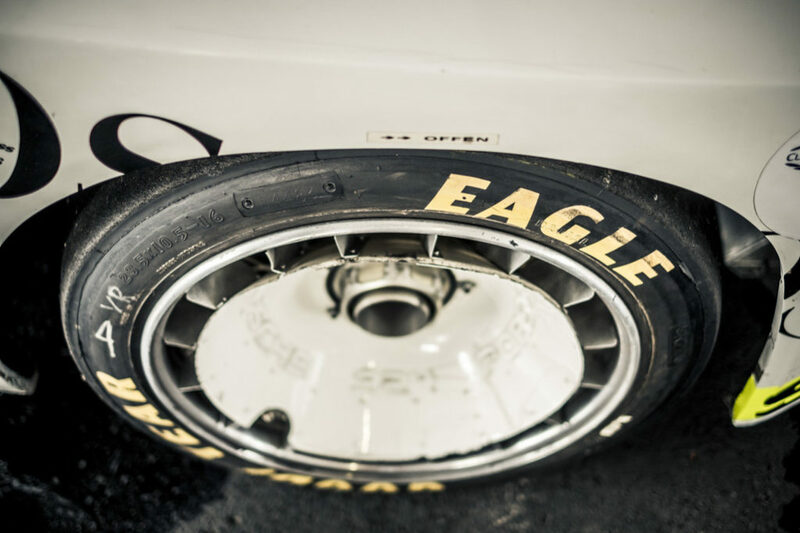 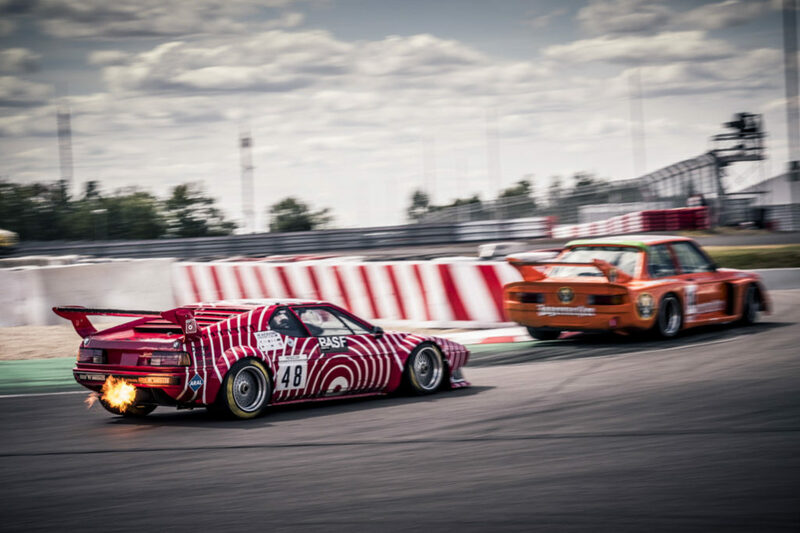 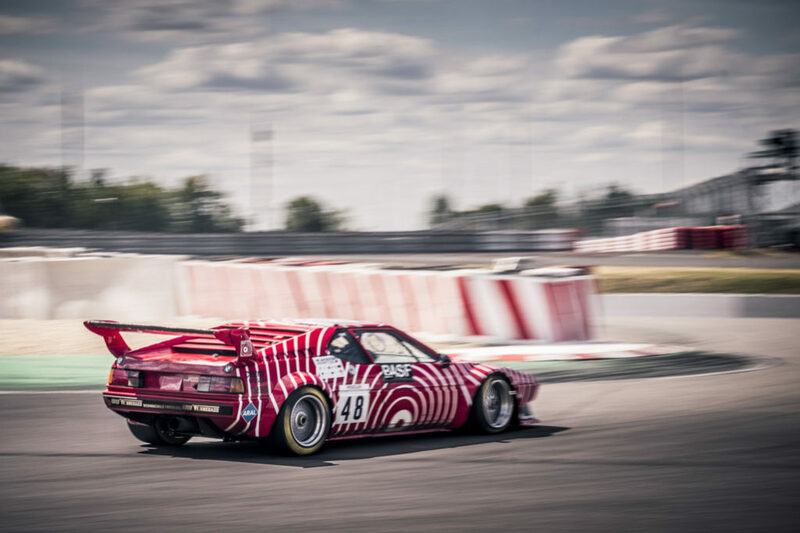 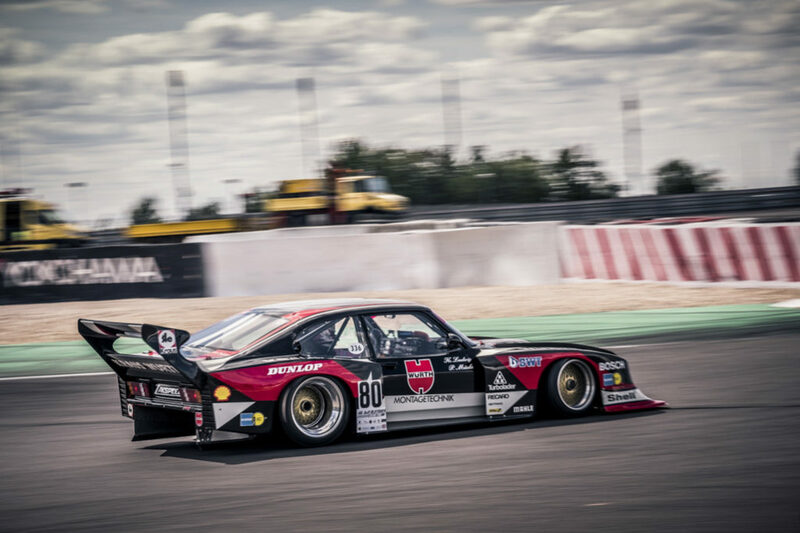 One of the recent additions to the event, the Tourwagen Classics’, was an instant hit with the fans, with the Mercedes-Benz 190 E 2.5-16 Evolution II, BMW M3 and Alfa Romeo 155 V6 TI battling it out on track. 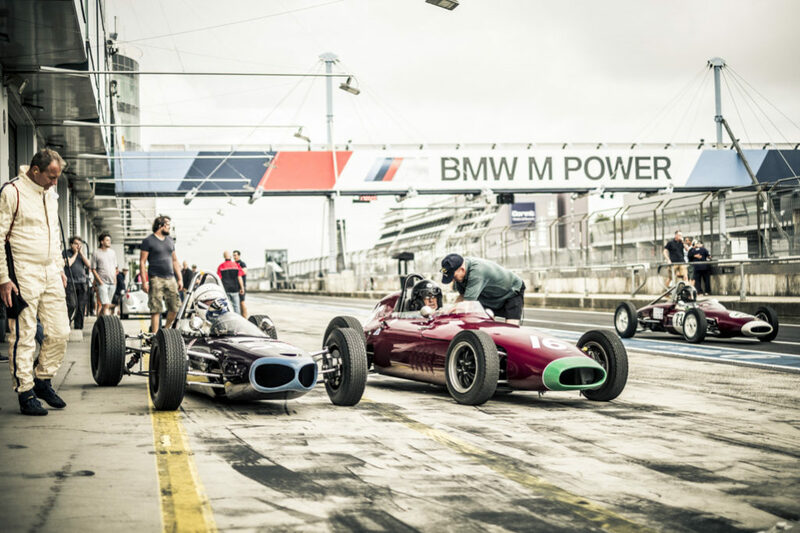 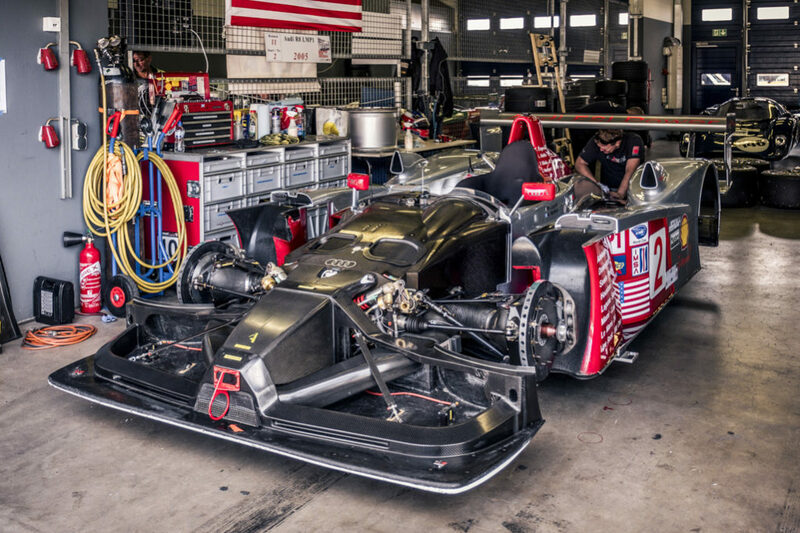 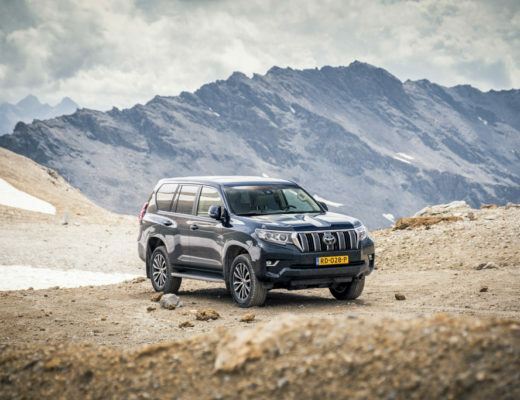 Even though it is a nice addition, it does also show how the Oldtimer Grand Prix is changing. 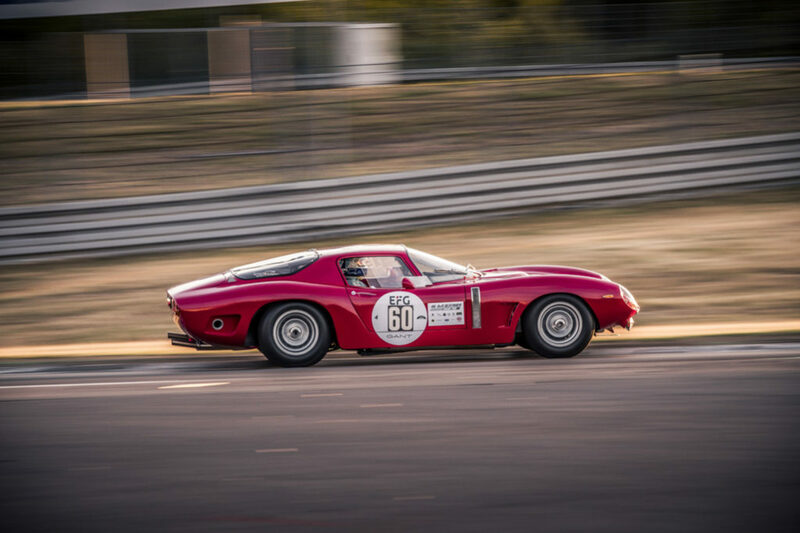 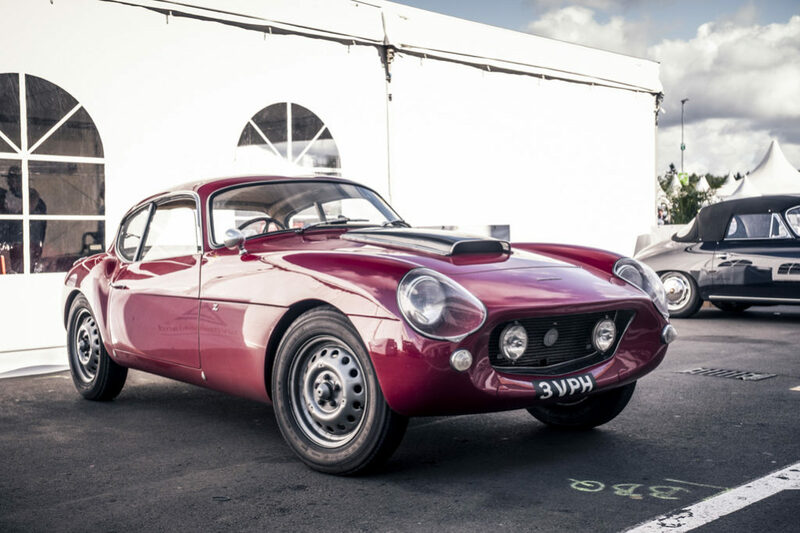 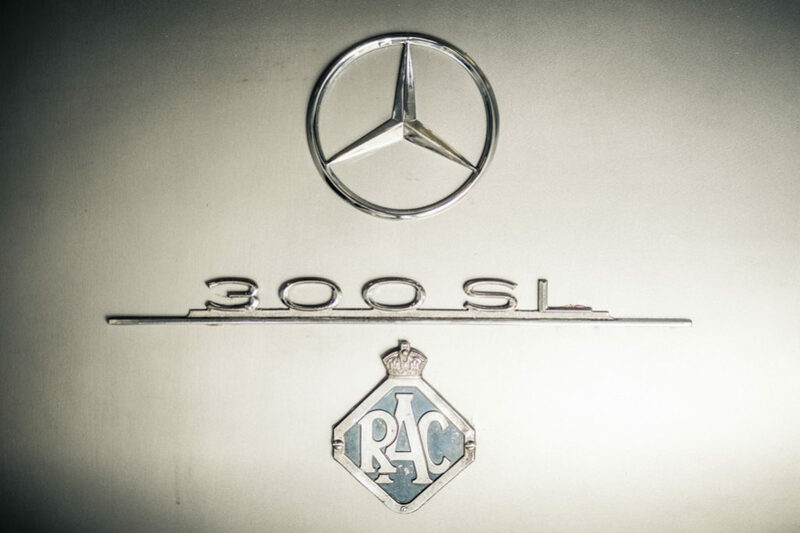 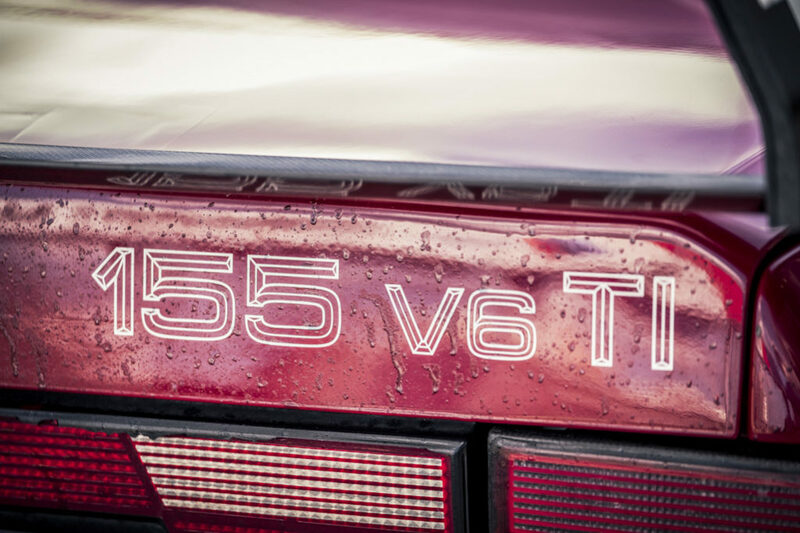 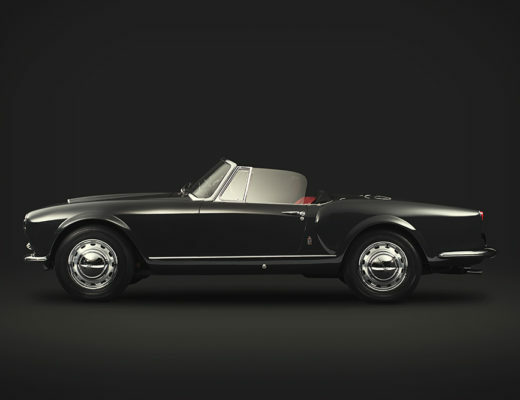 No longer is it just about the gorgeous GT cars of the 50s and 60s, but now you get to see more recent cars as well. 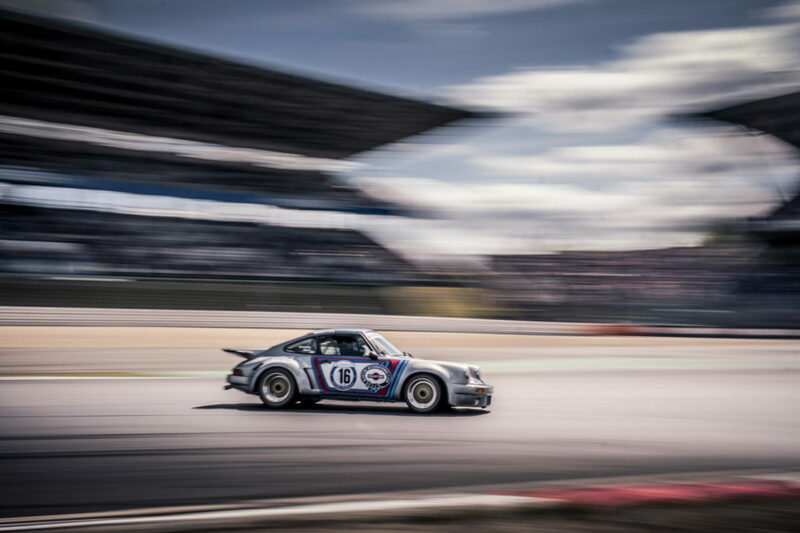 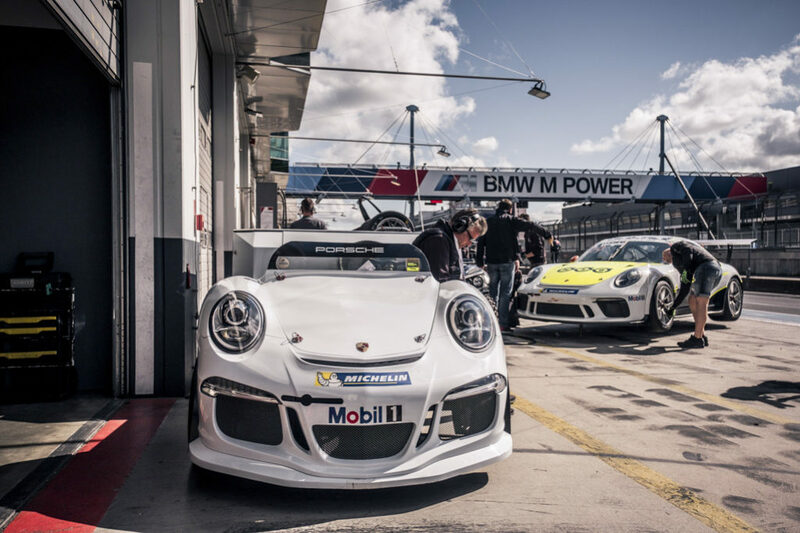 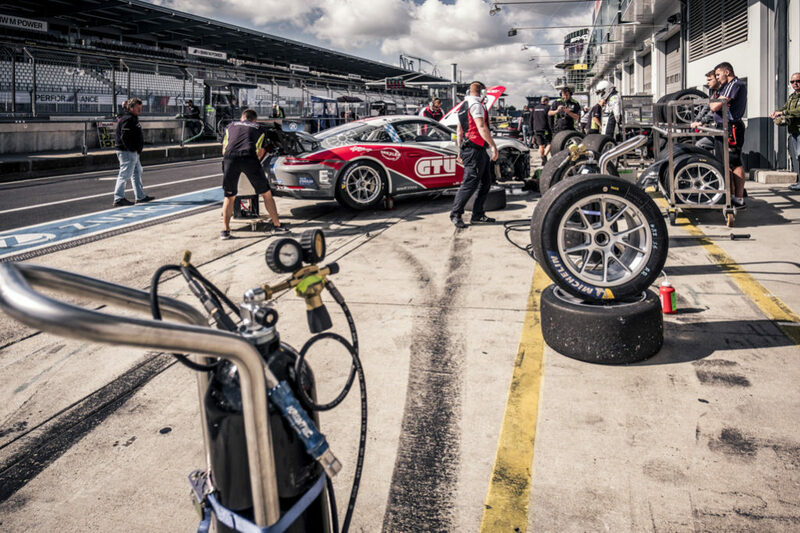 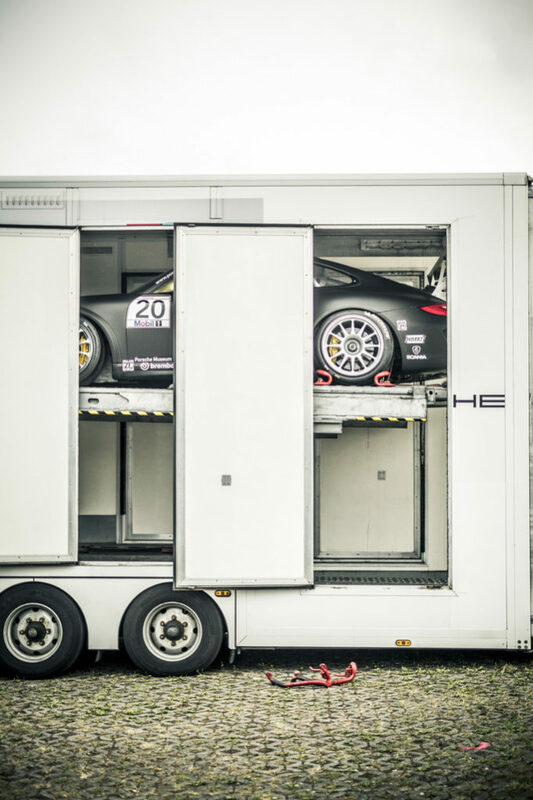 Some a bit too recent, as the Porsche Carrera Cup also takes places during the course of the weekend, as well as the FCD Racing Series. 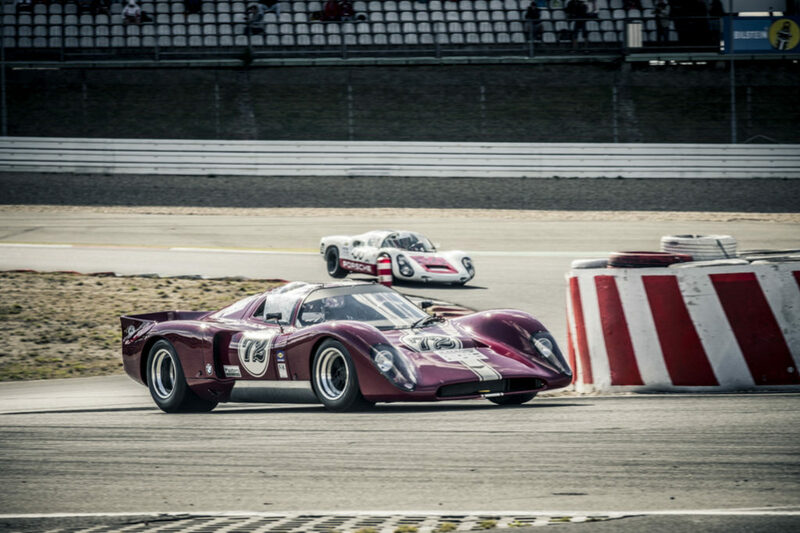 Great fun to watch, but not really classics. 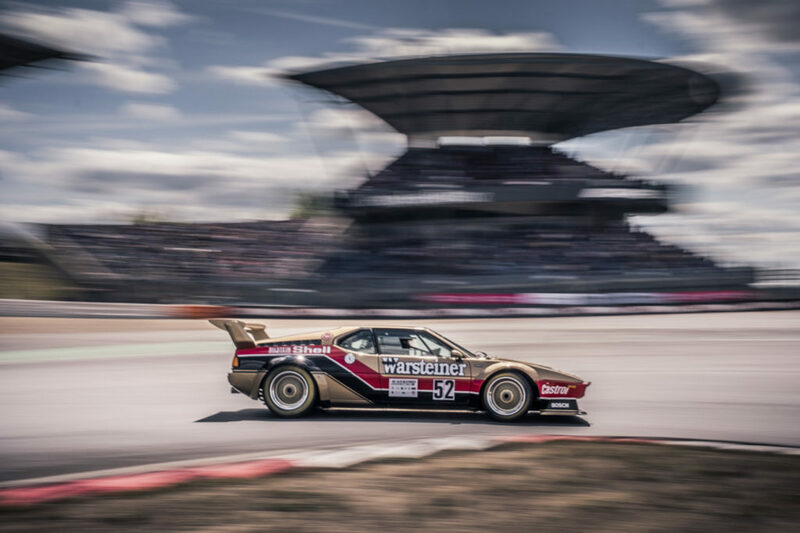 Walk away from the circuit though and it still is about the most beautiful classic cars, just like at the first Oldtimer Grand Prix in the 70s. 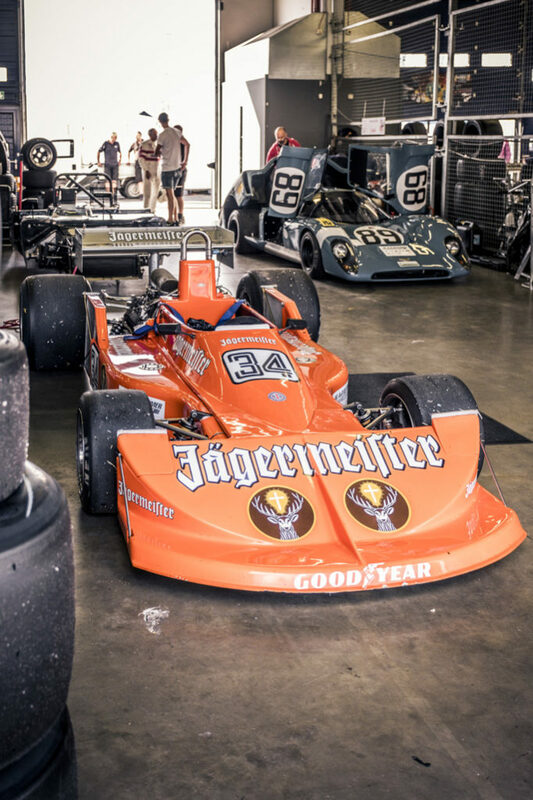 Some of the same people who raced in those days, still drive or visit the event. 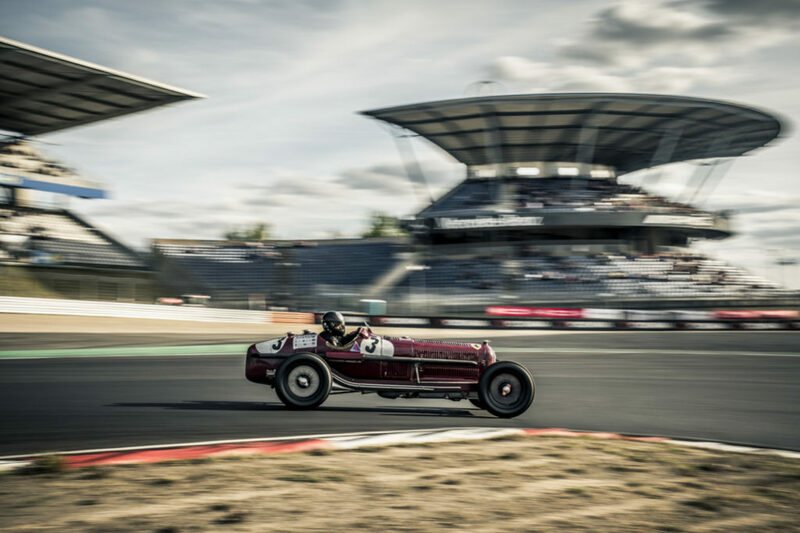 One of those people is Baron Kurt von Hammerstein, who at 87 years of age, got behind the wheel of an MG from 1931. 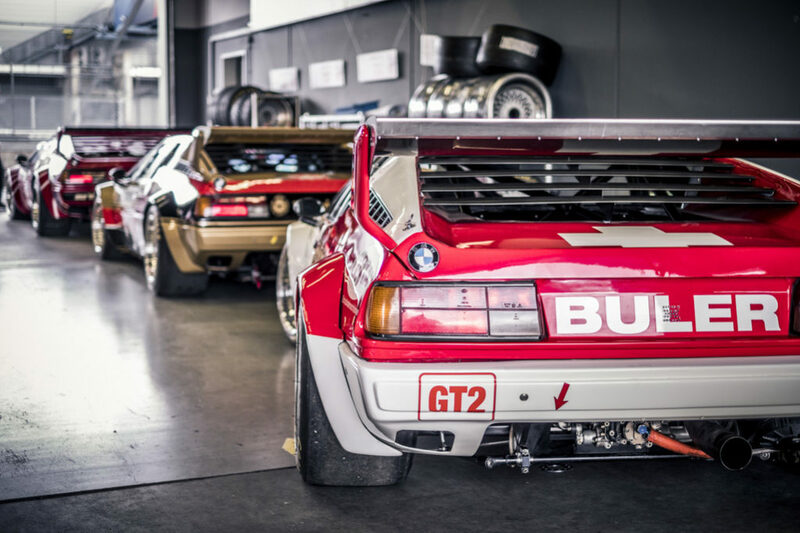 Talk about getting old in style. 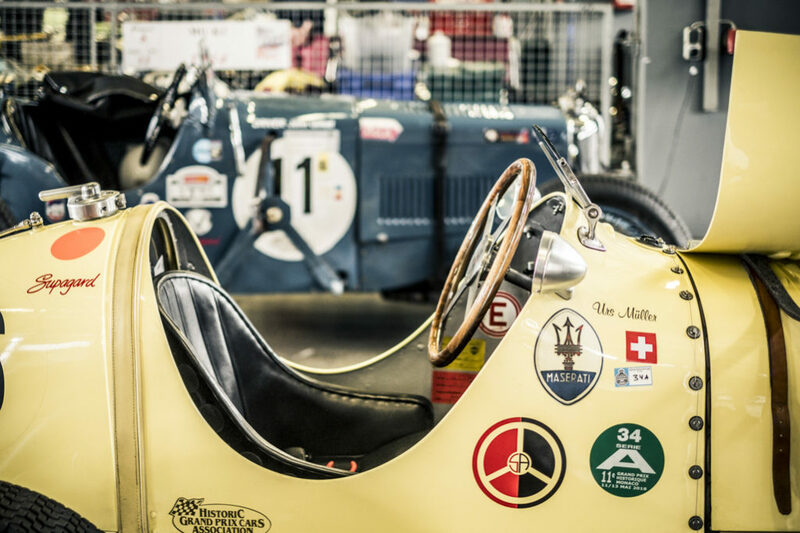 (0ff) Roadtrip "Col De Sommeiller"